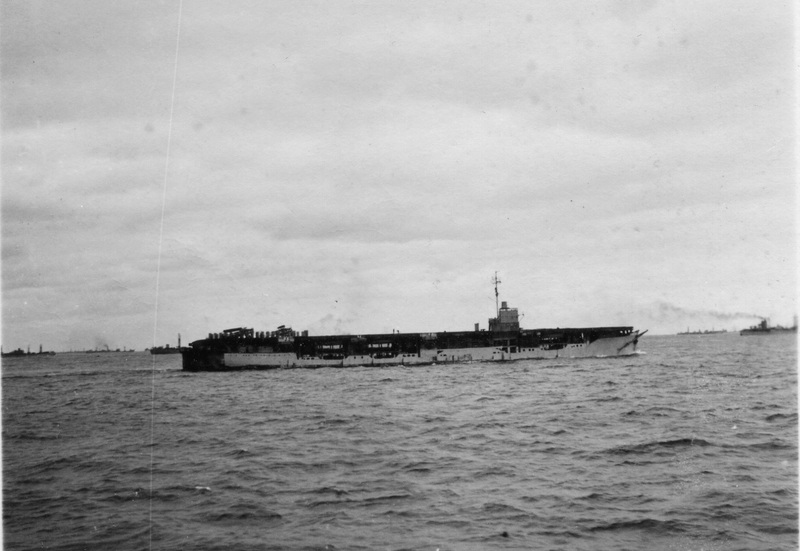 Built at Victoria, she was commissioned there ON 31 Jan 1942, and assigned to Esquimalt Force until the threat of Japanese invasion had abated. 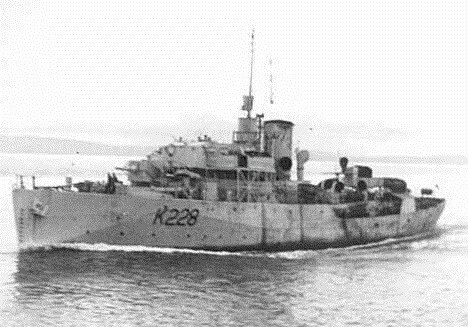 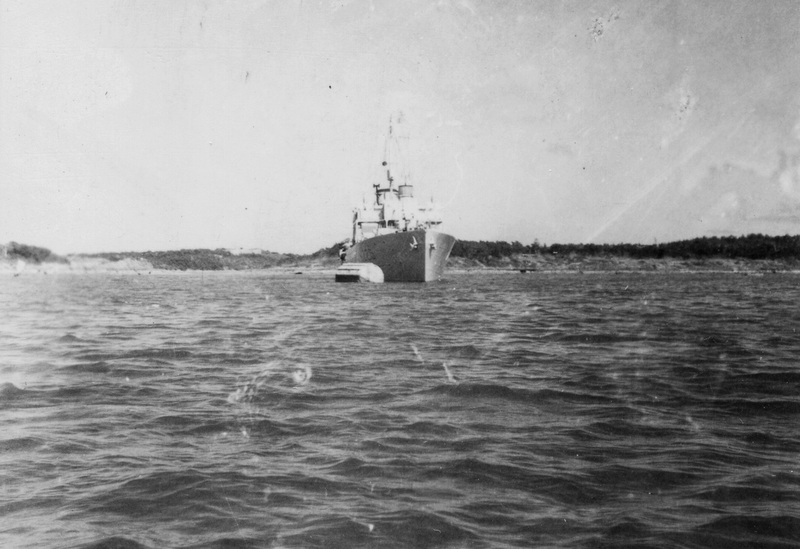 Ordered to Halifax to release an east-coast corvette for Operation "Torch" service, she arrived there on 13 Oct 1942, a month after leaving Esquimalt. 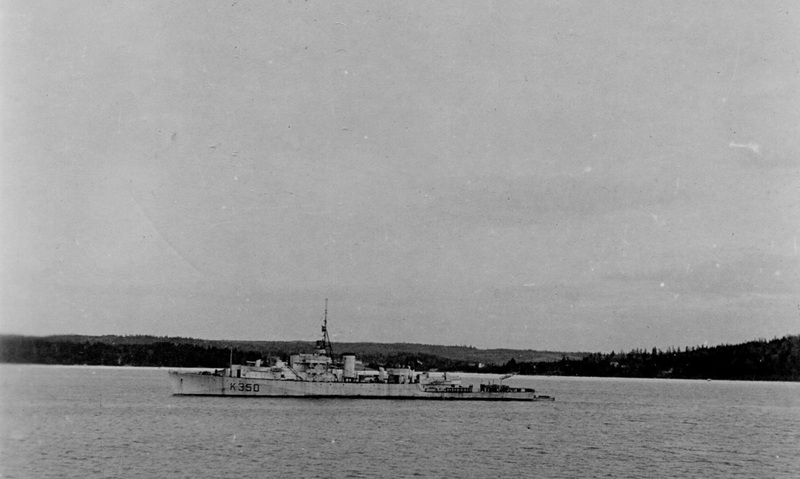 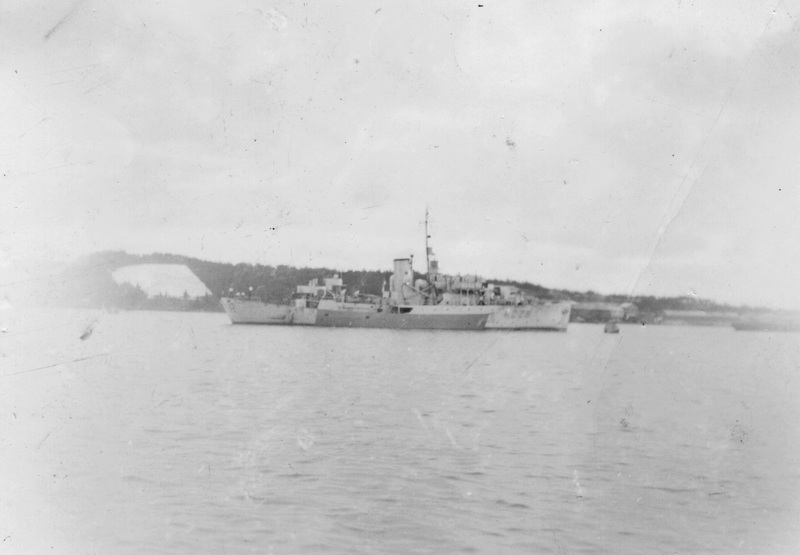 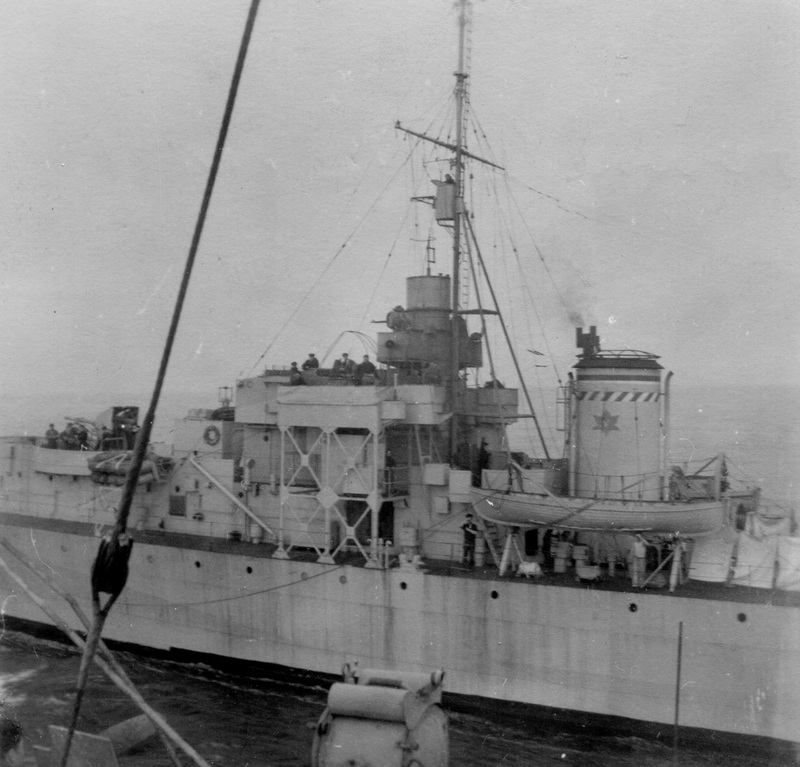 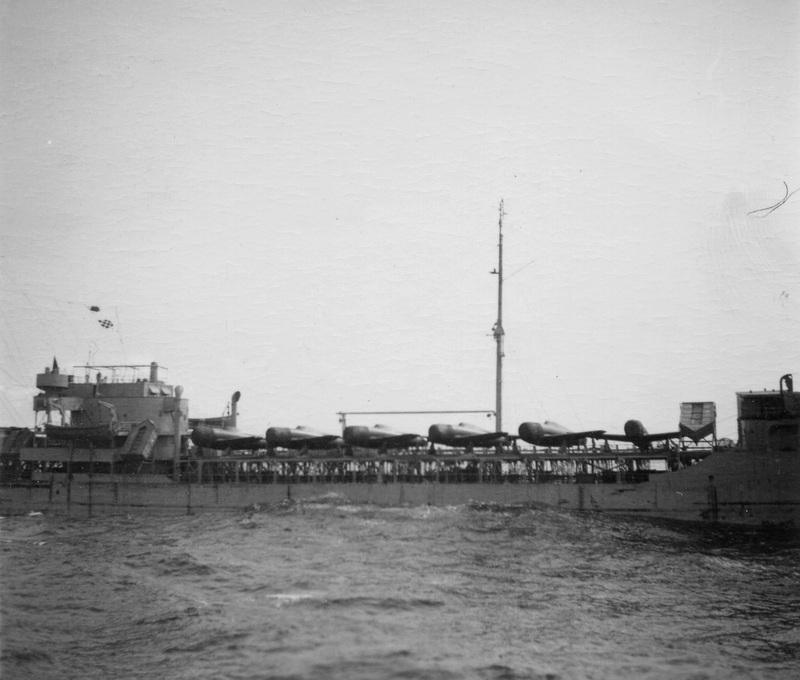 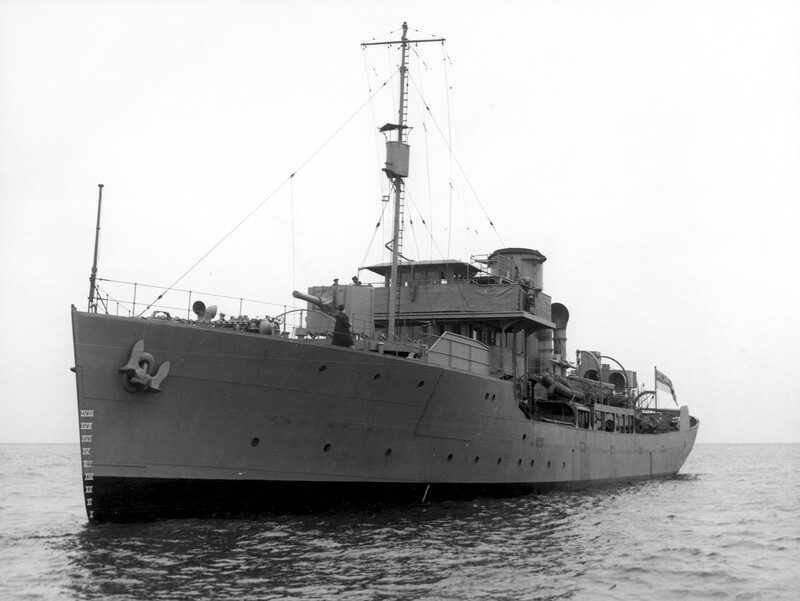 Assigned to WLEF, she operated on the "triangle run" until May 1943, when she began a major refit at Sydney. 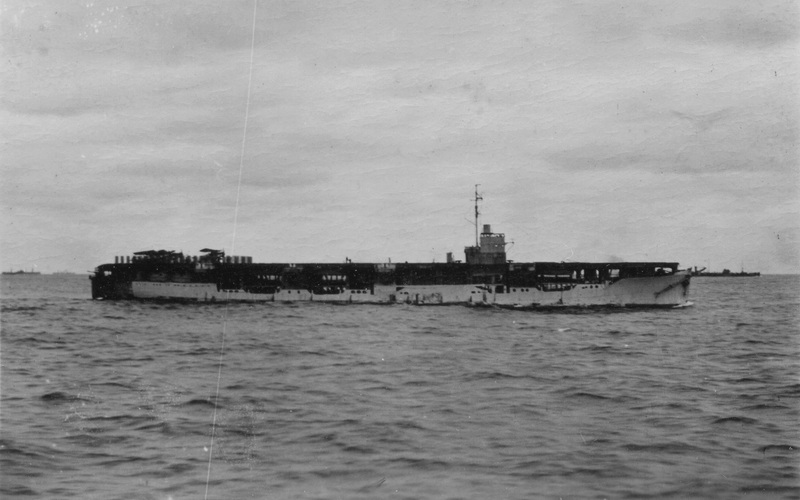 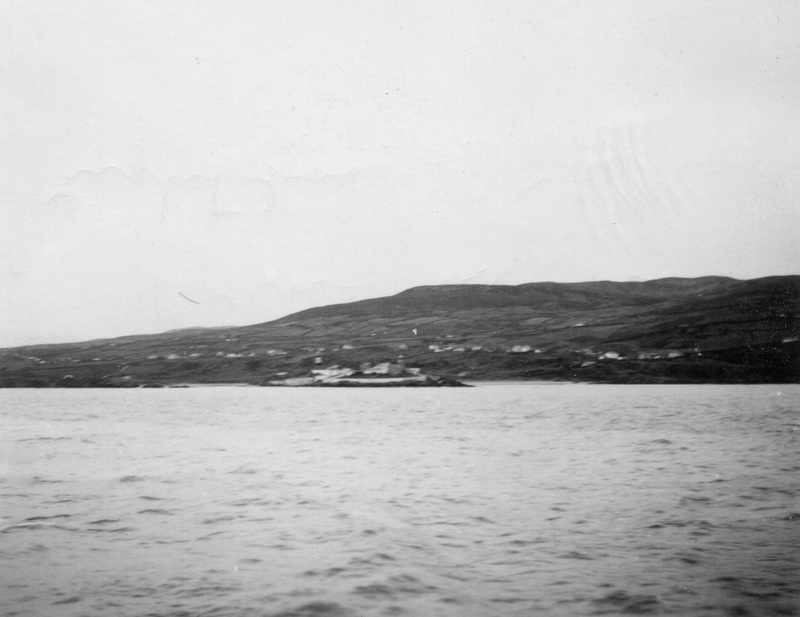 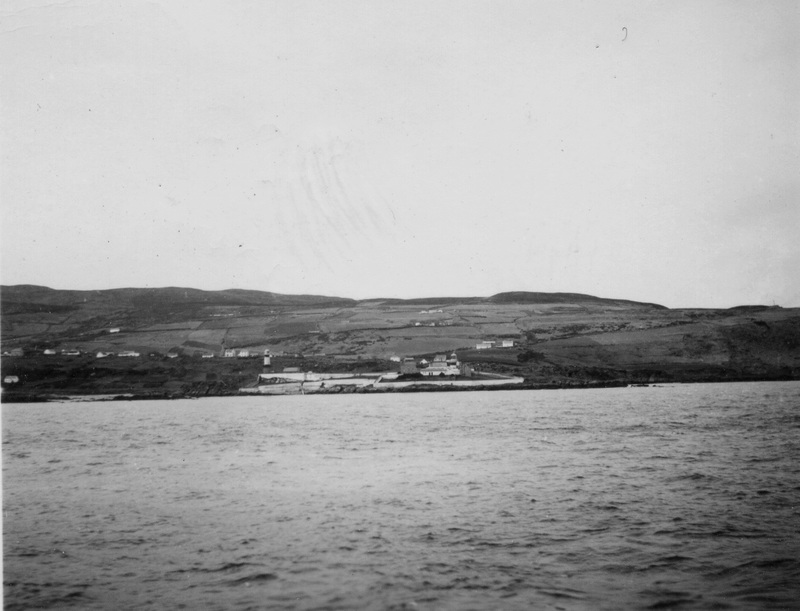 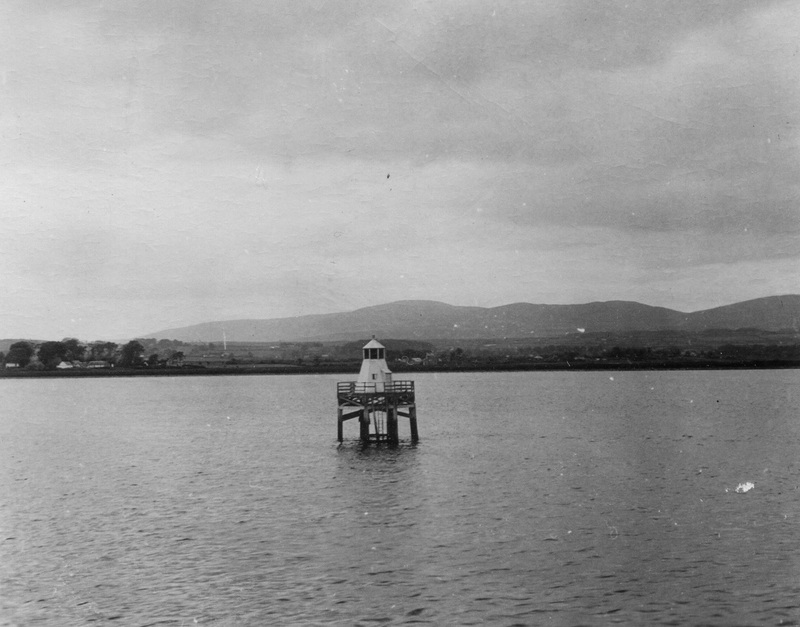 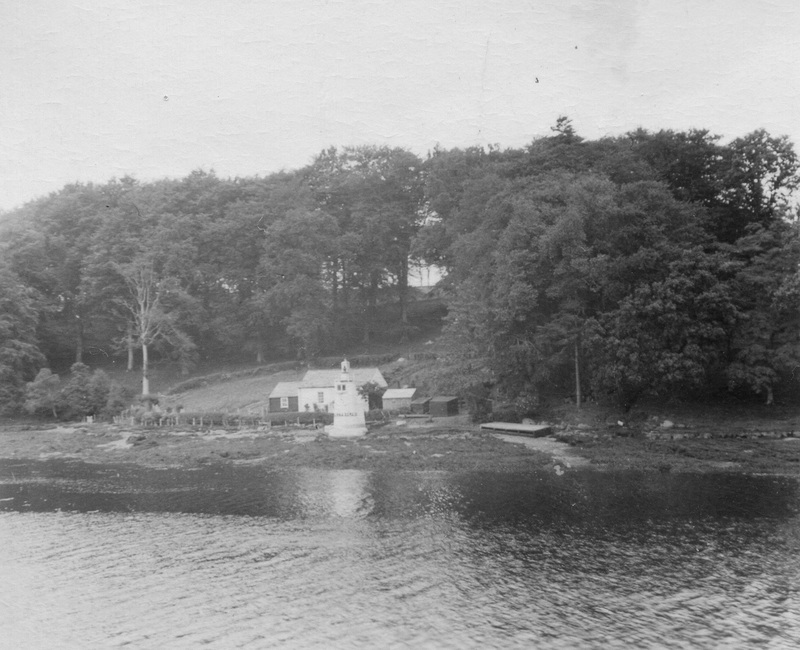 This refit included fo'c's'le extension and was not completed until 10 Dec 1943. 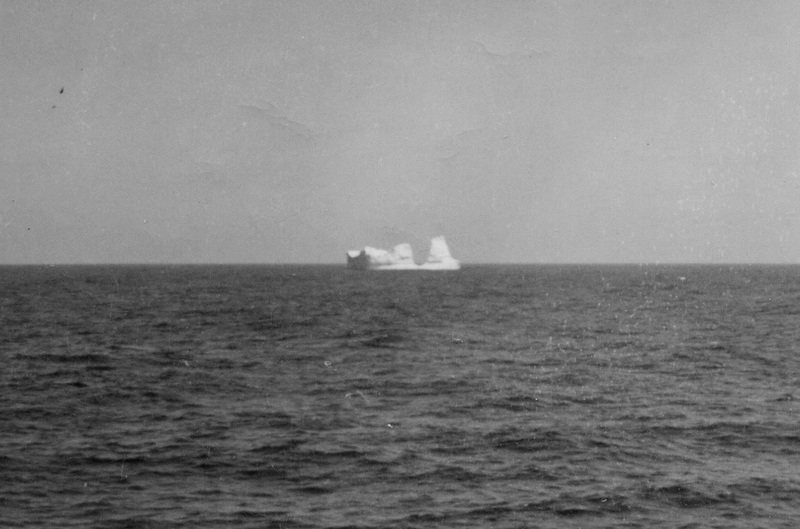 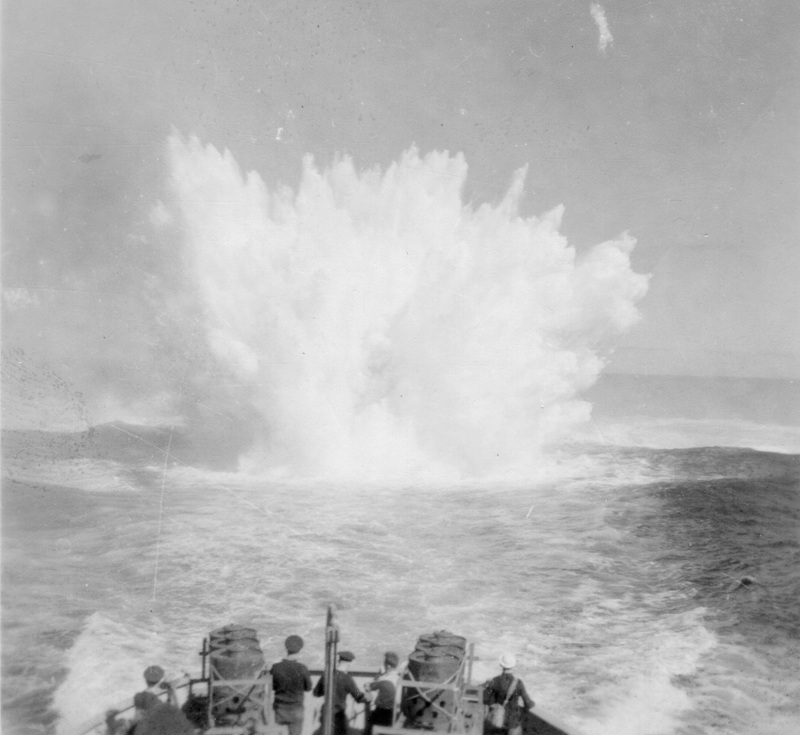 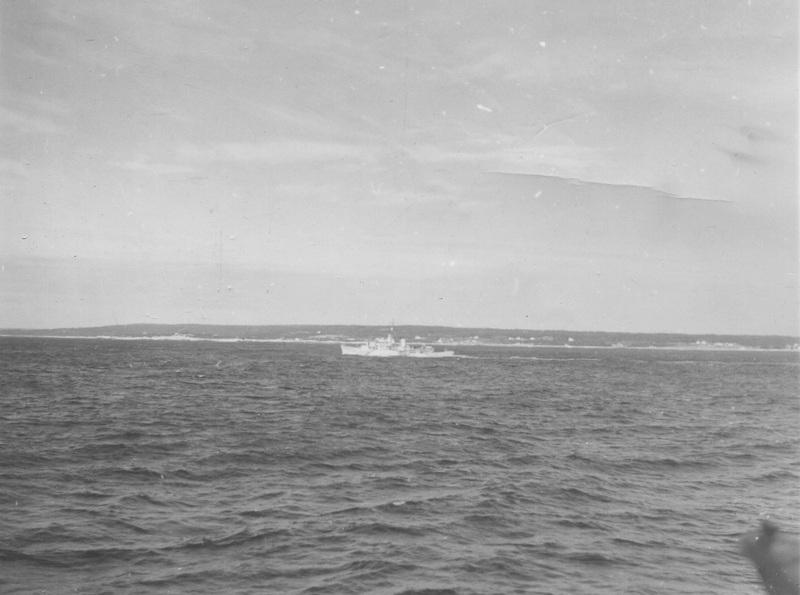 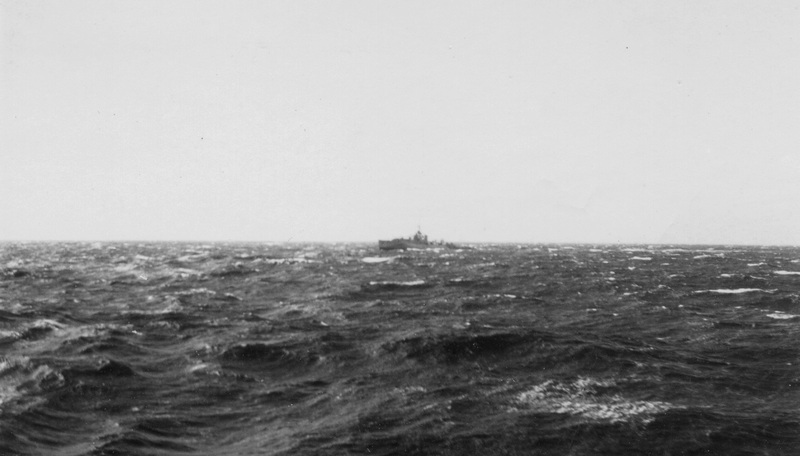 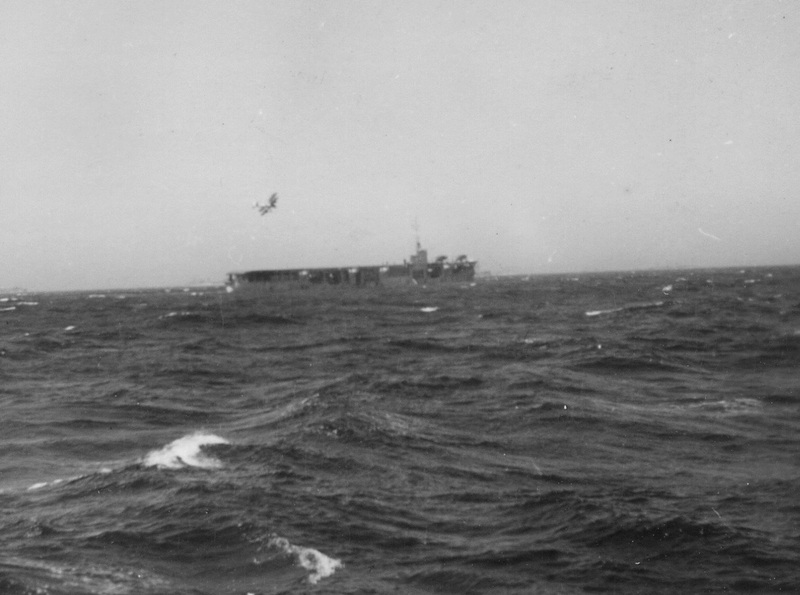 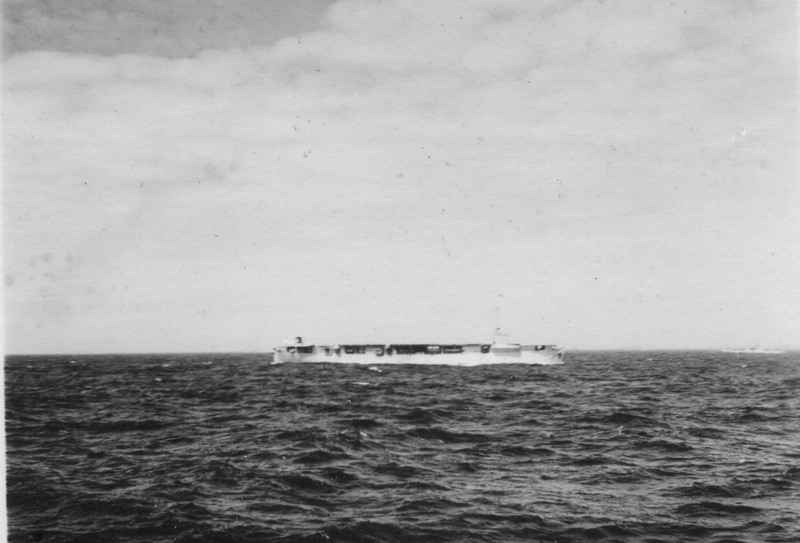 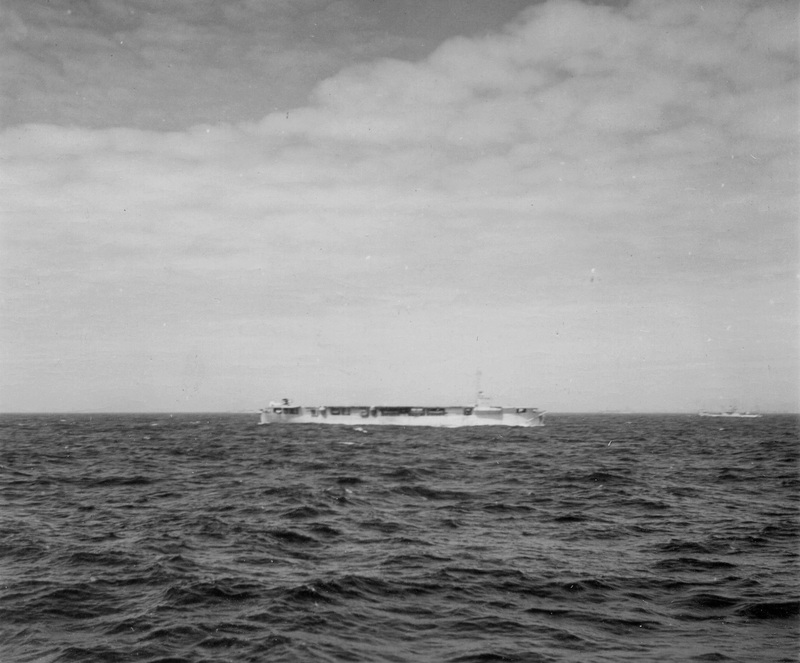 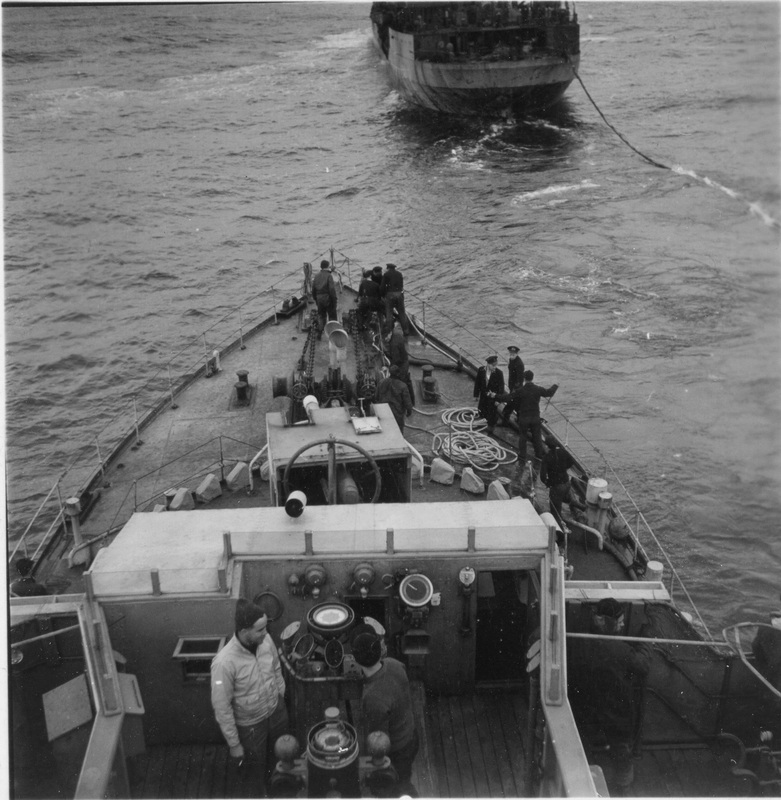 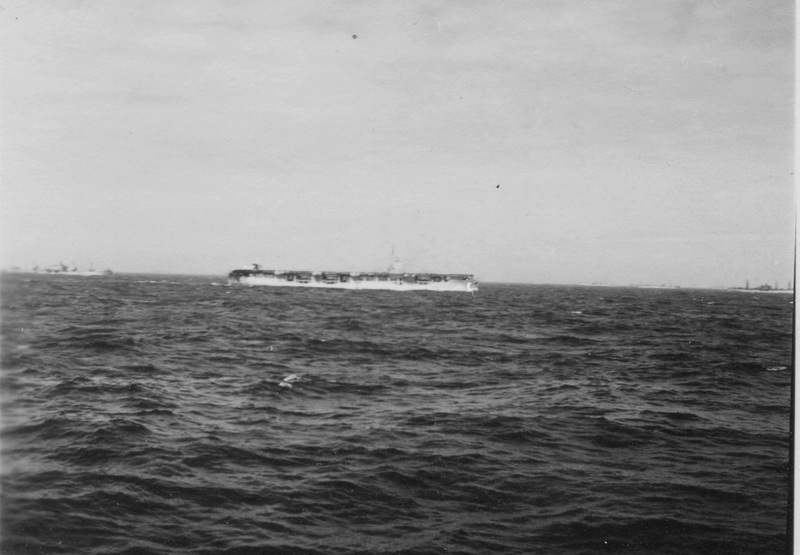 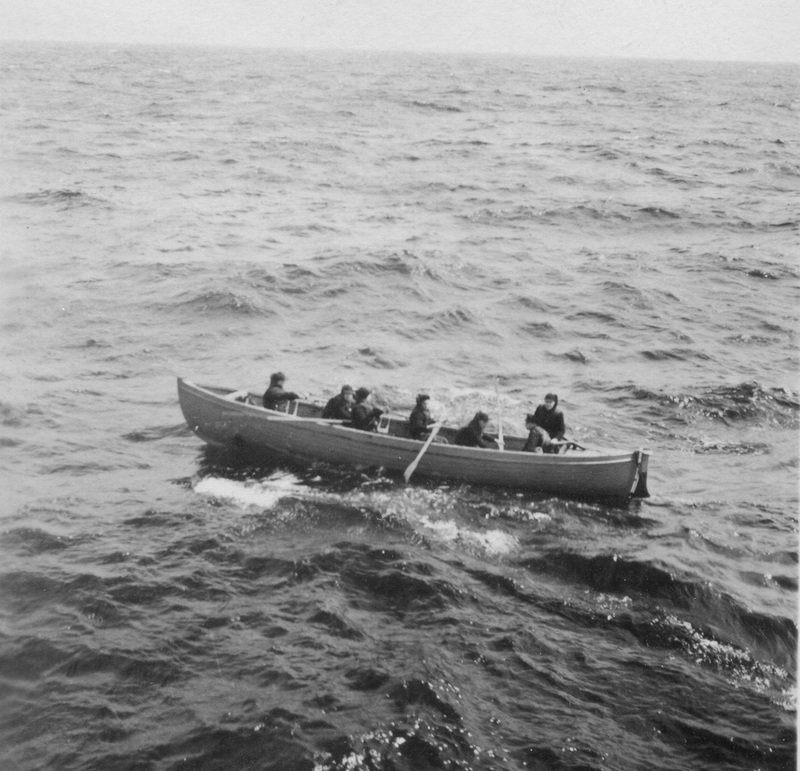 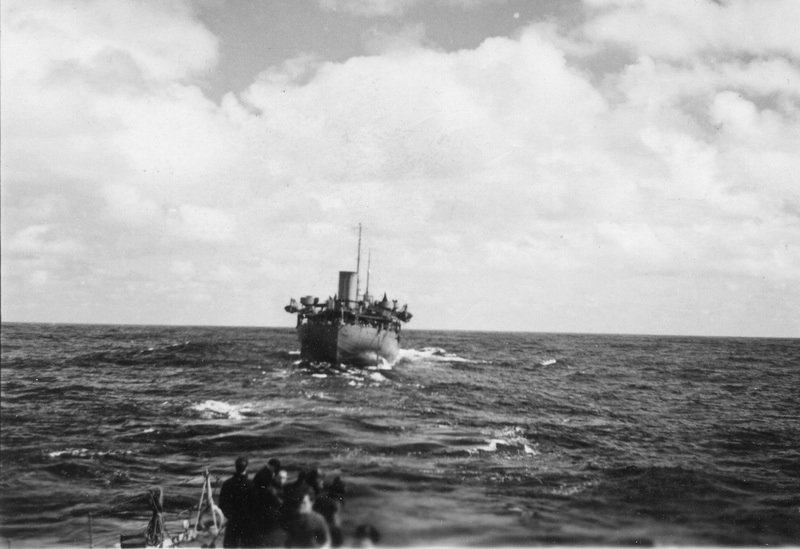 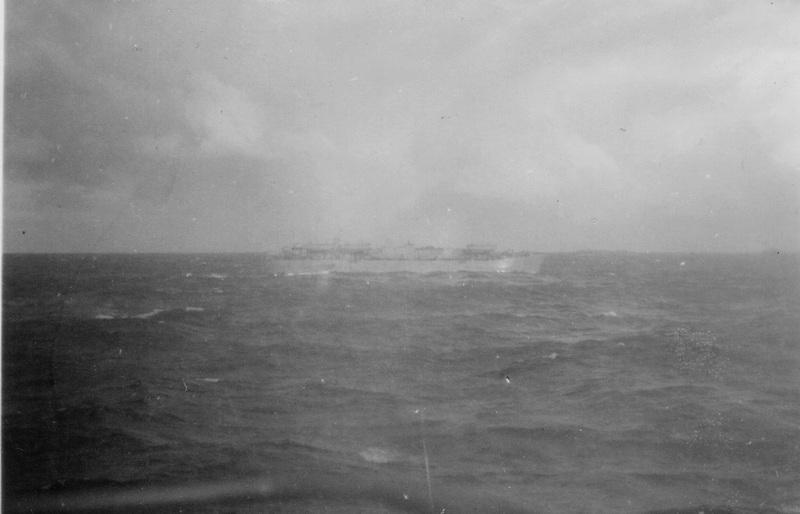 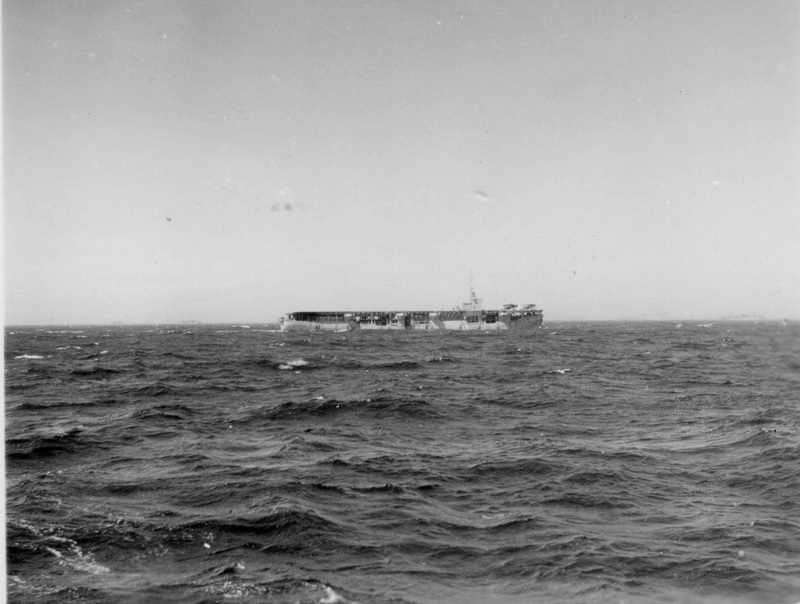 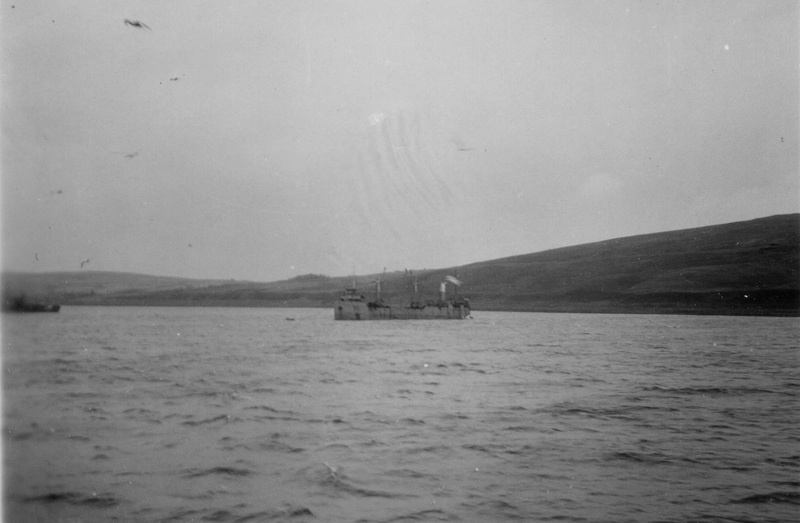 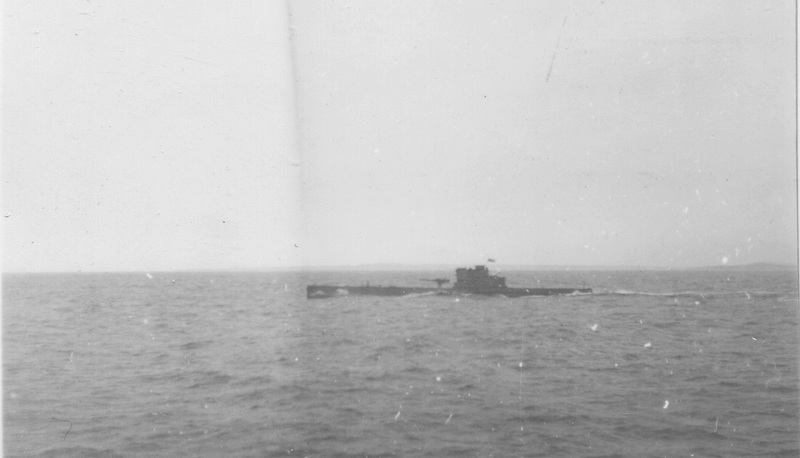 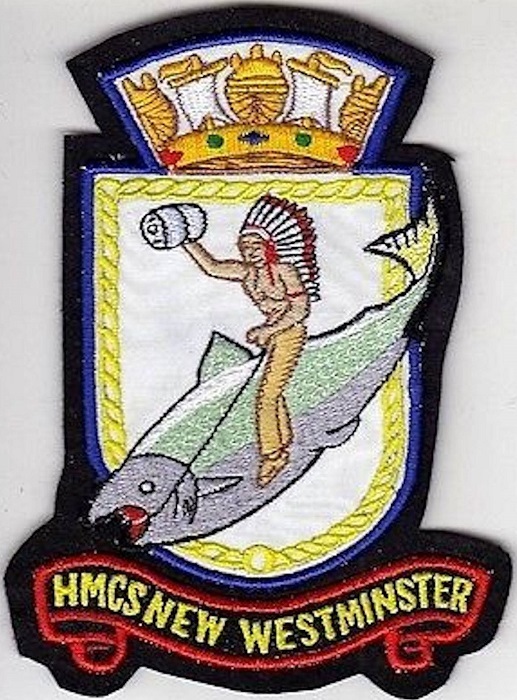 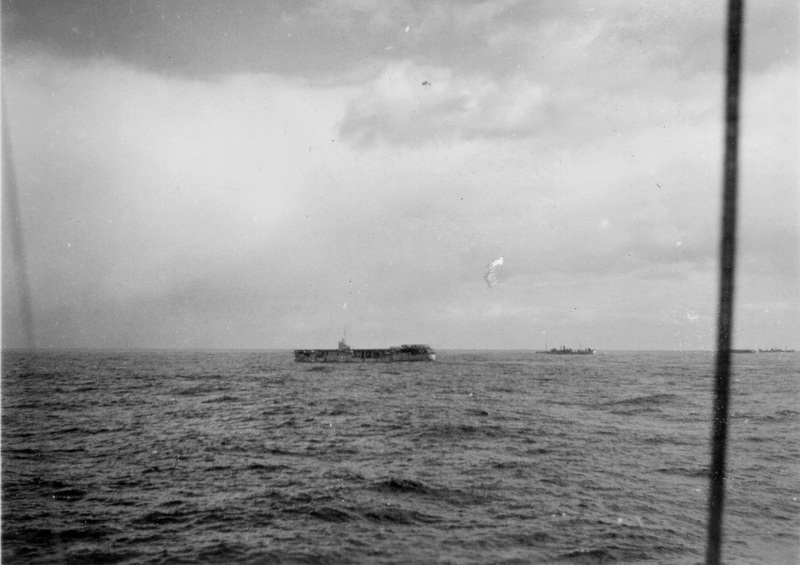 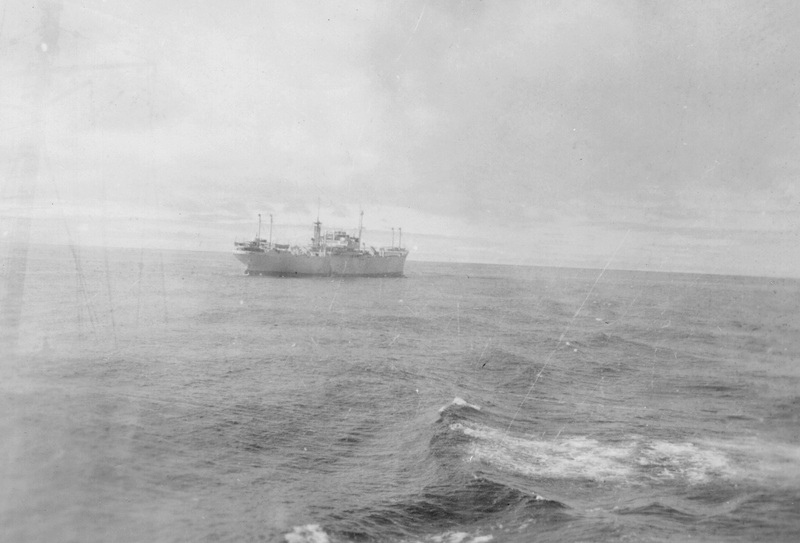 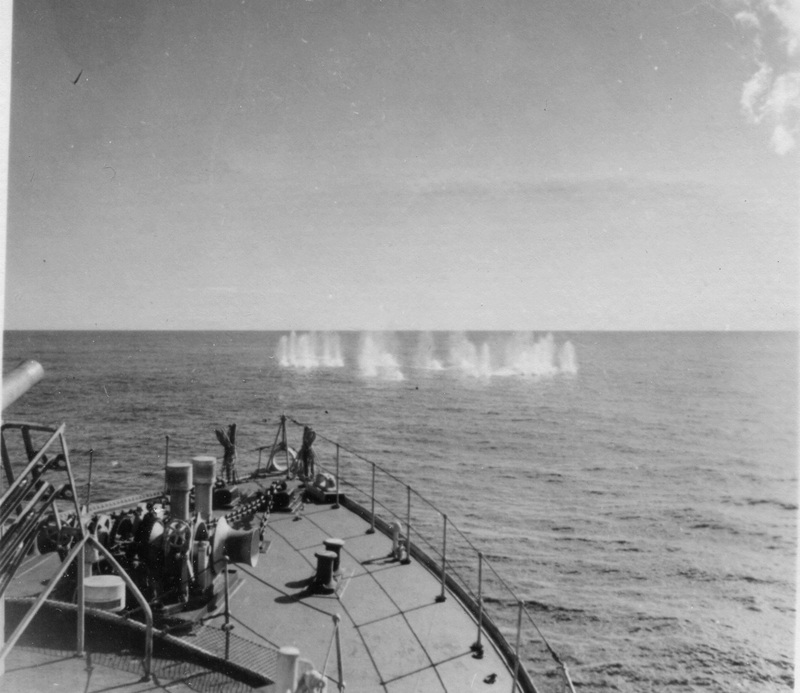 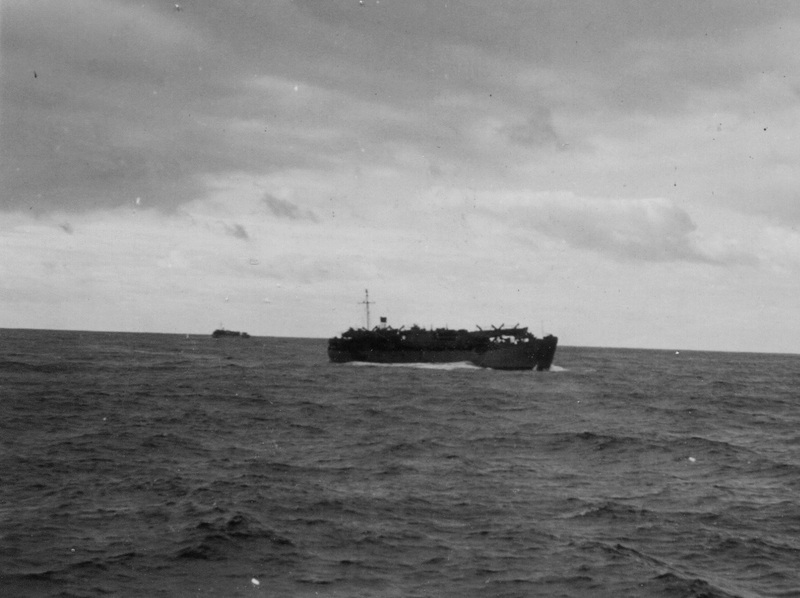 The ship was then made a part of EG C-5, and in Jul 1944, sailed with HXS.300, the largest convoy of the war. 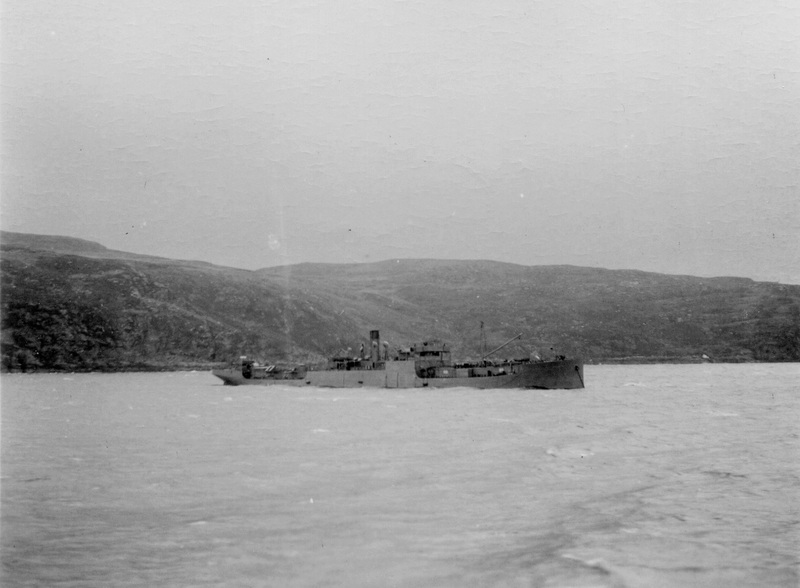 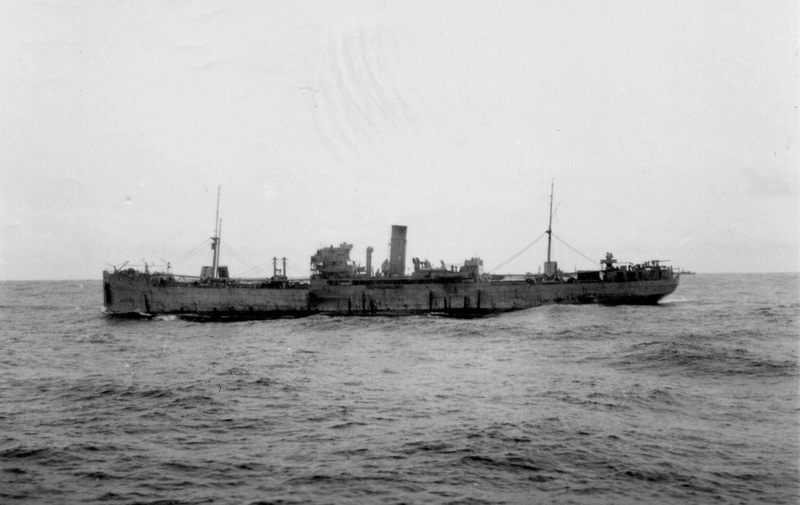 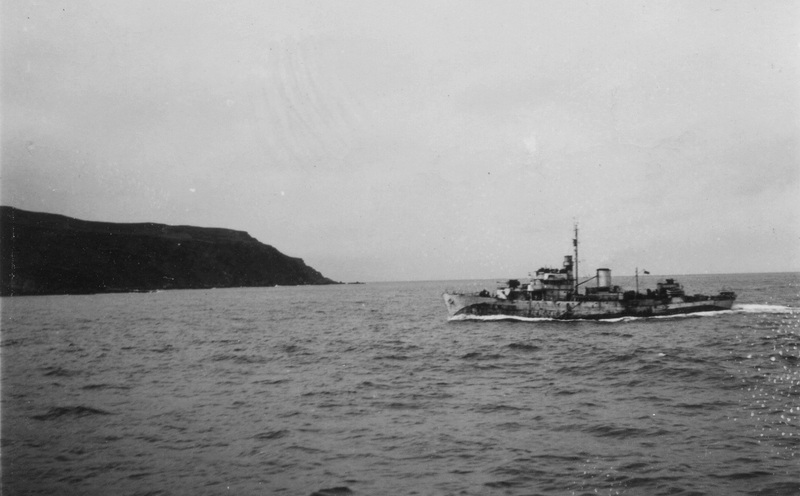 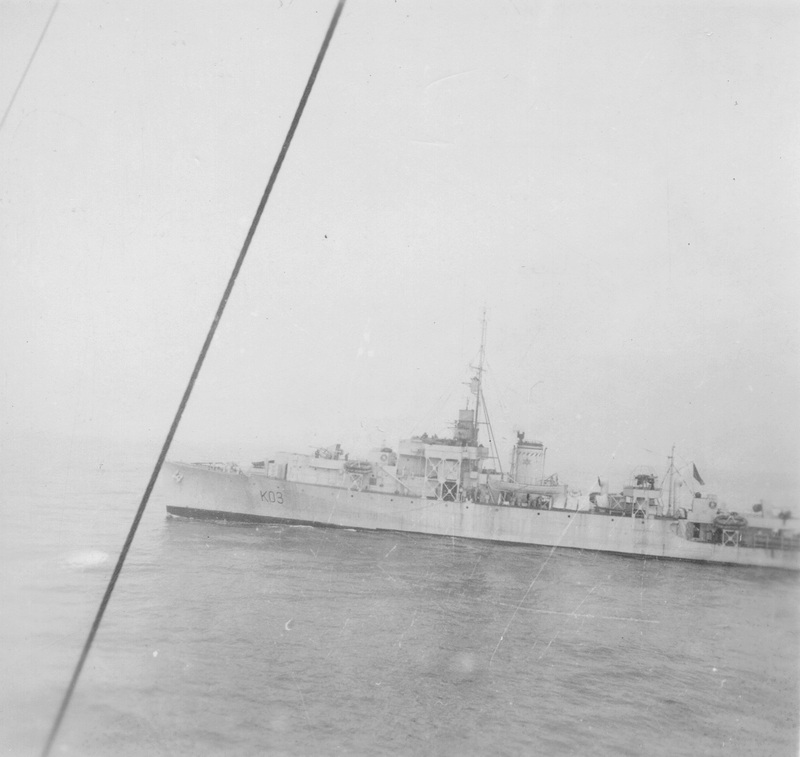 She left Londonderry on 14 Dec 1944, for the last time, returning home to refit at Saint John until early Mar 1945. 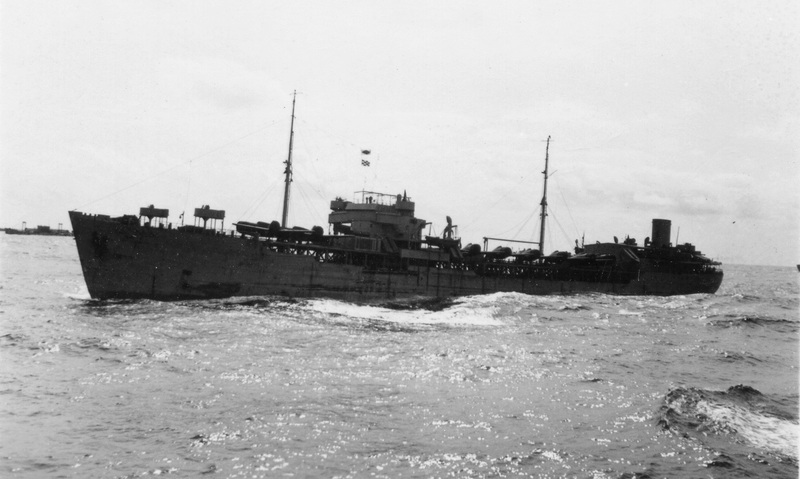 Allocated to Sydney Force until the end of hostilities, she was paid off at Sorel on 21 Jun 1945, and in 1947 sold for commercial purposes - became the mercantile Elisa in 1950; Portoviejo in 1952 and Azura in 1954. 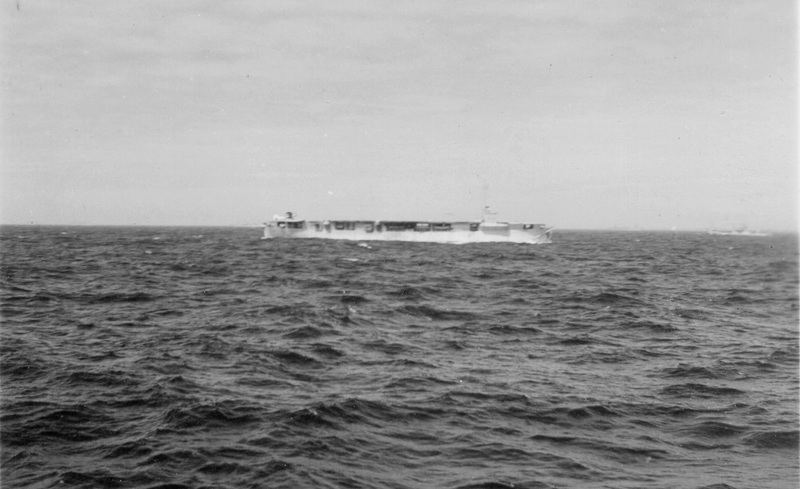 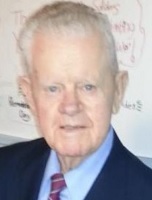 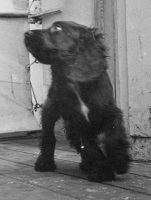 Sold in 1966 for breaking up at Tampa, Florida, U.S.A. 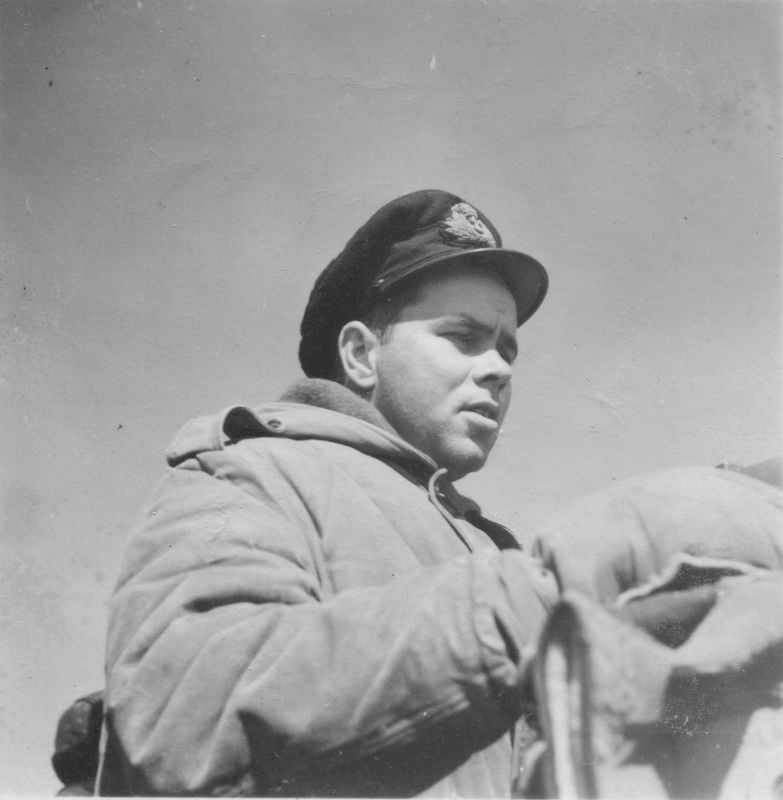 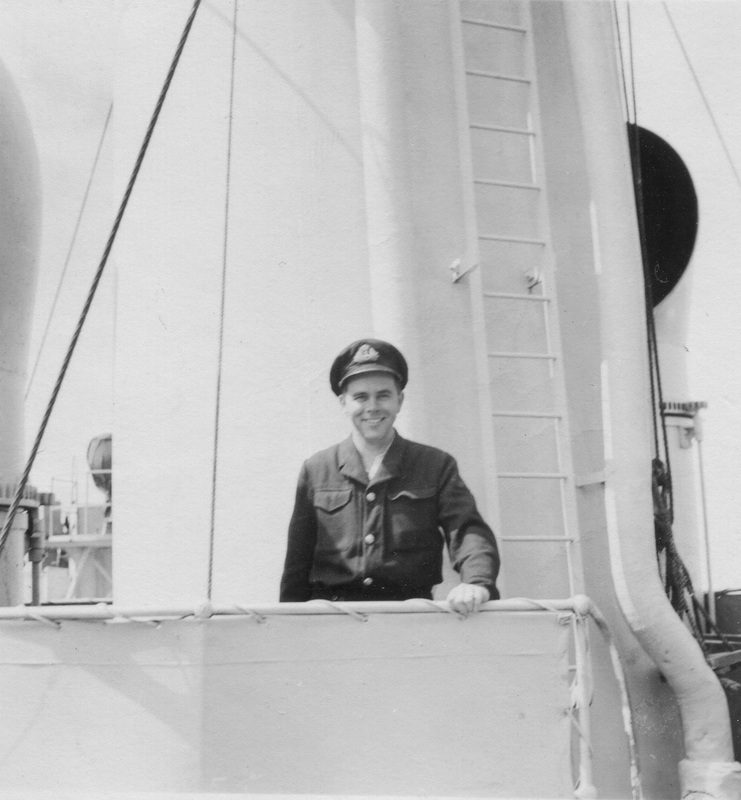 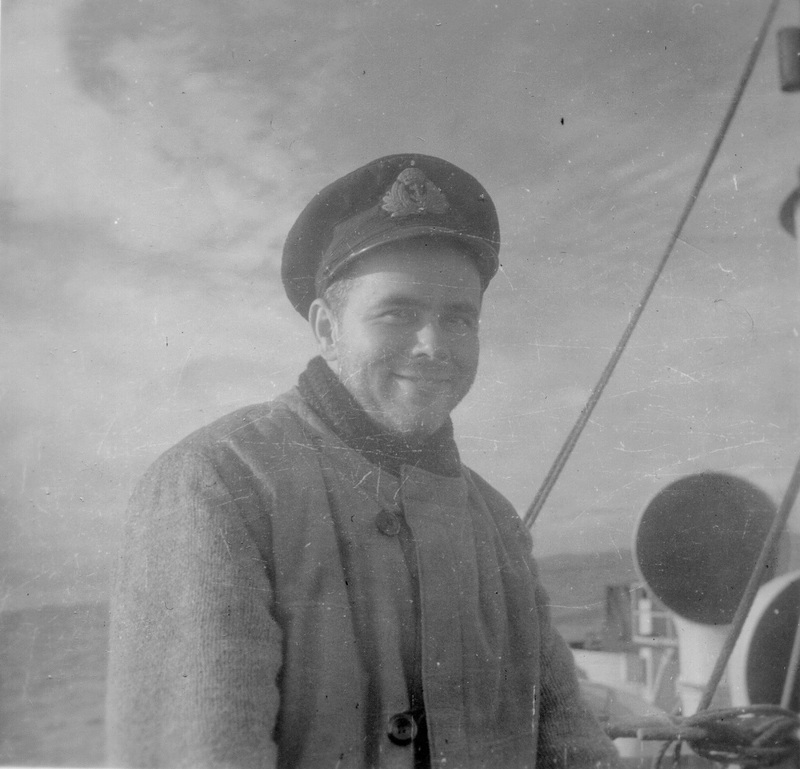 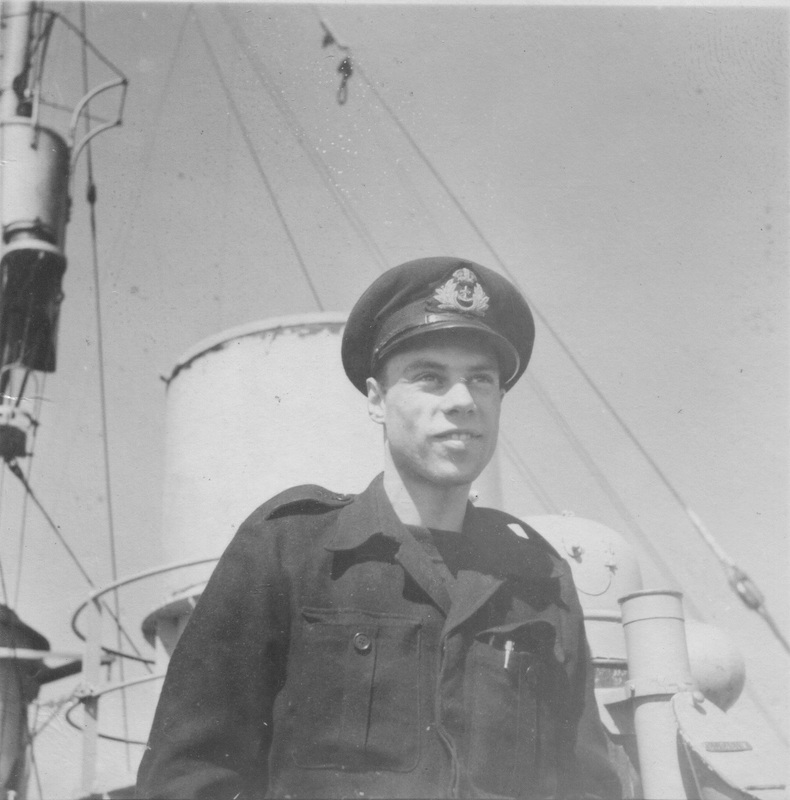 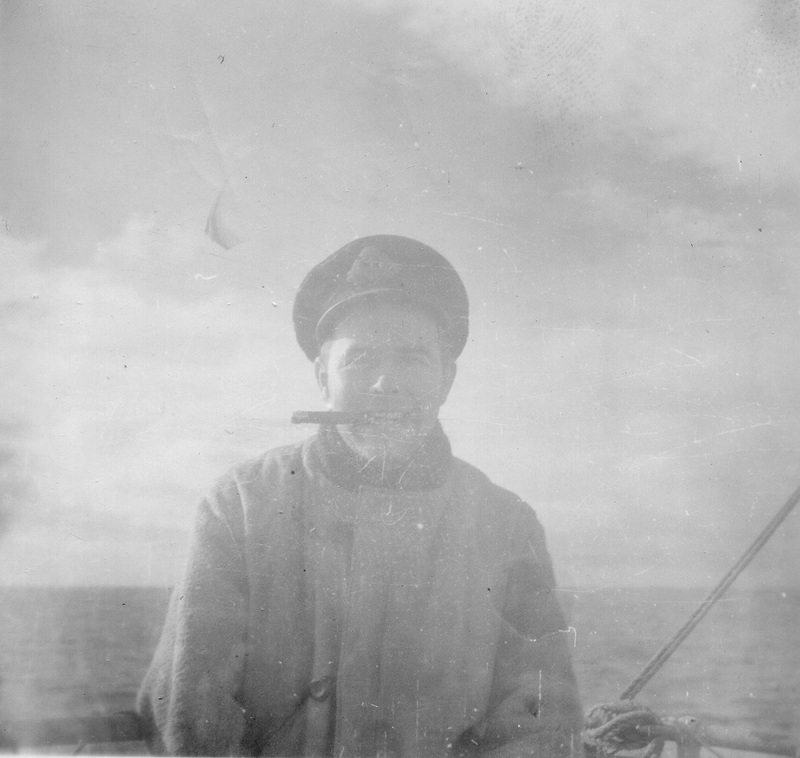 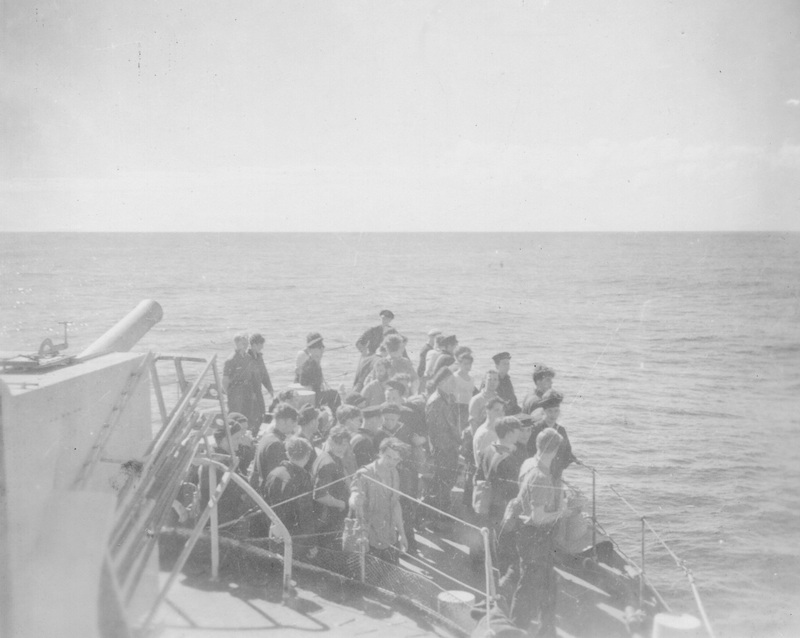 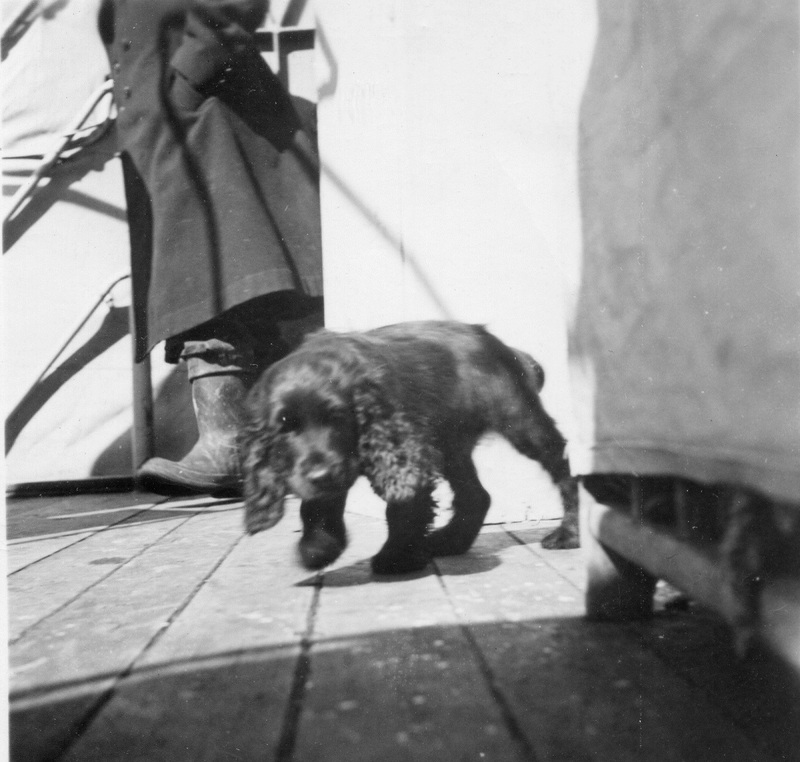 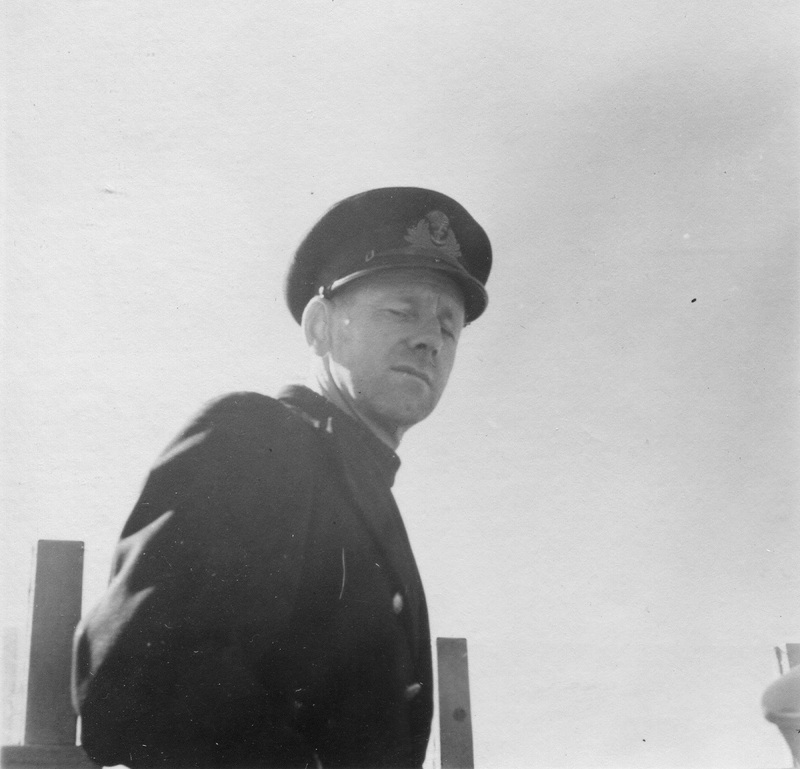 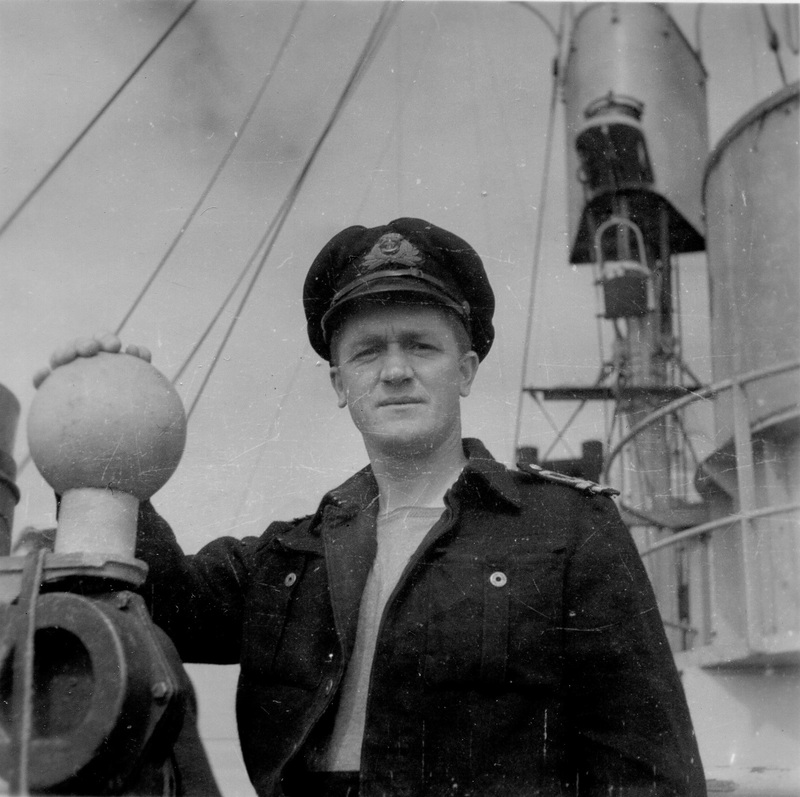 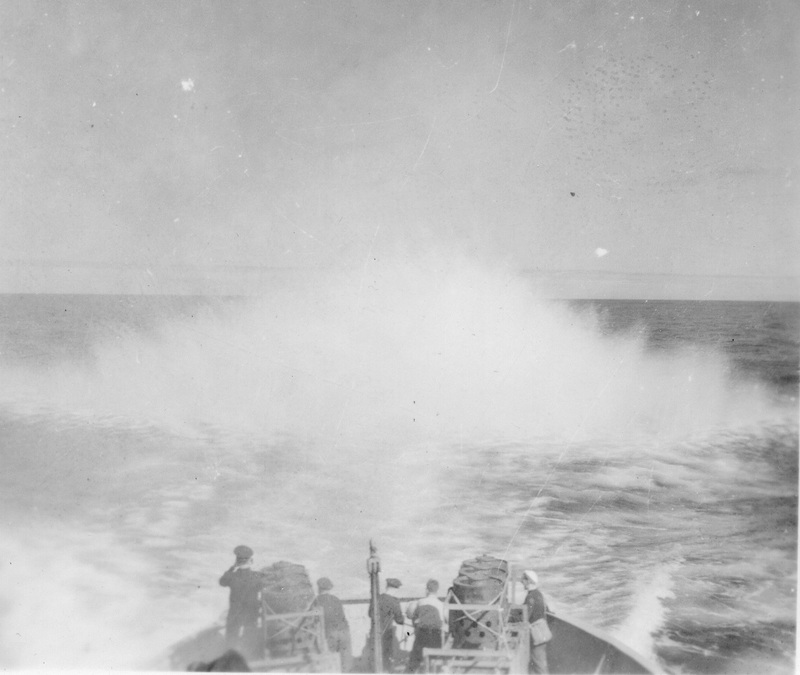 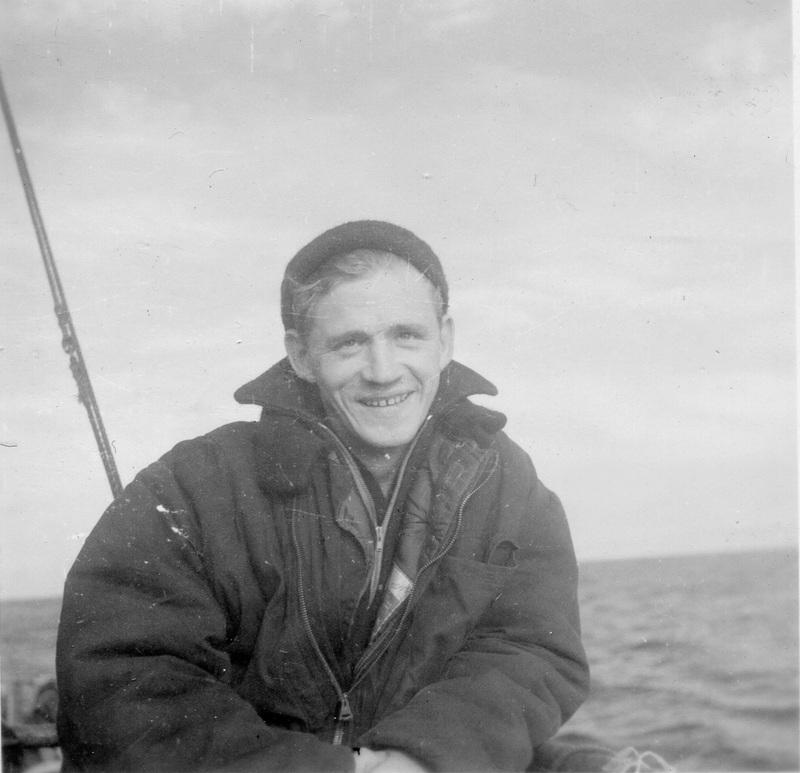 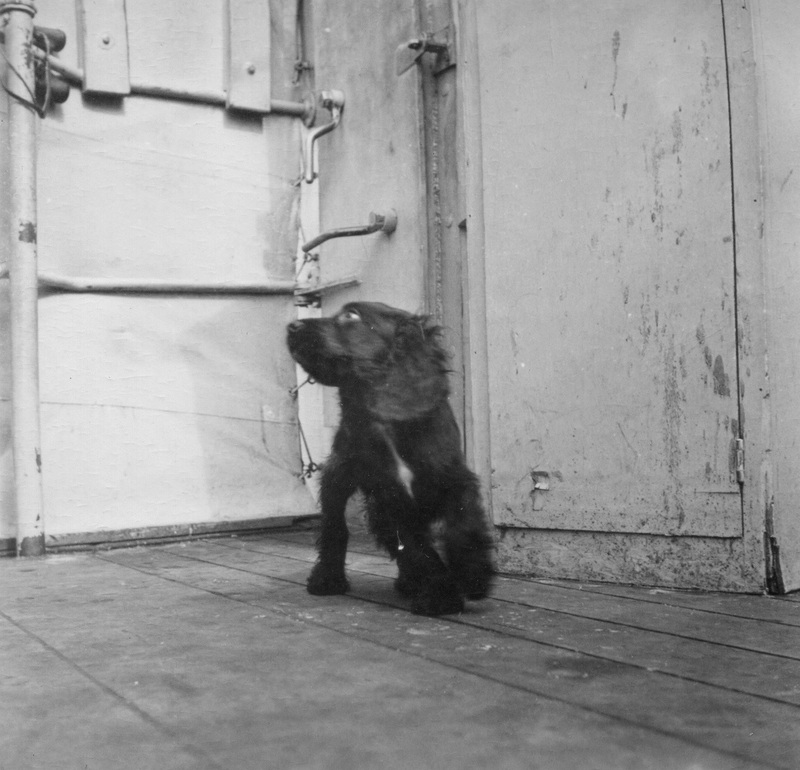 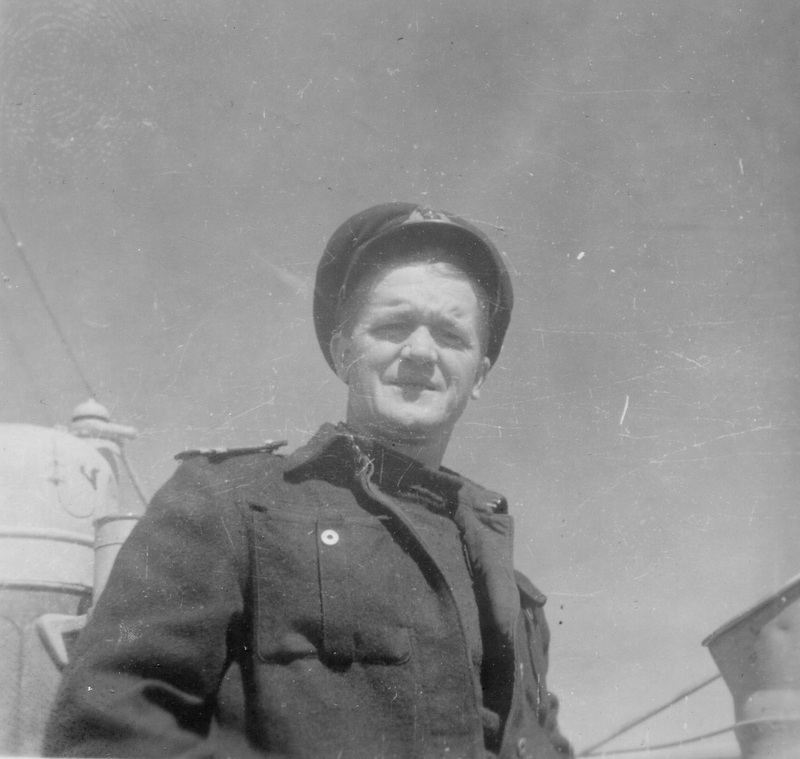 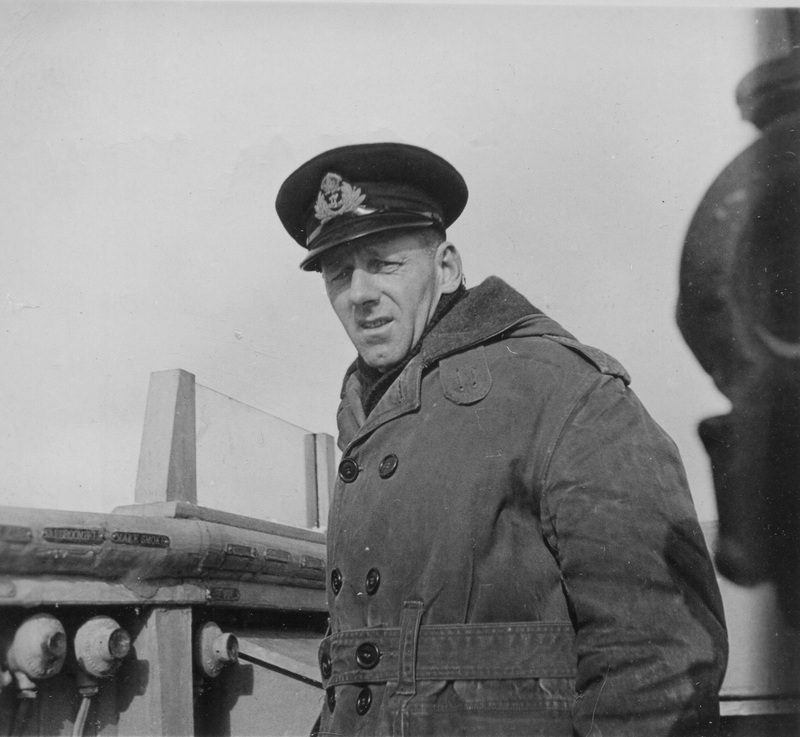 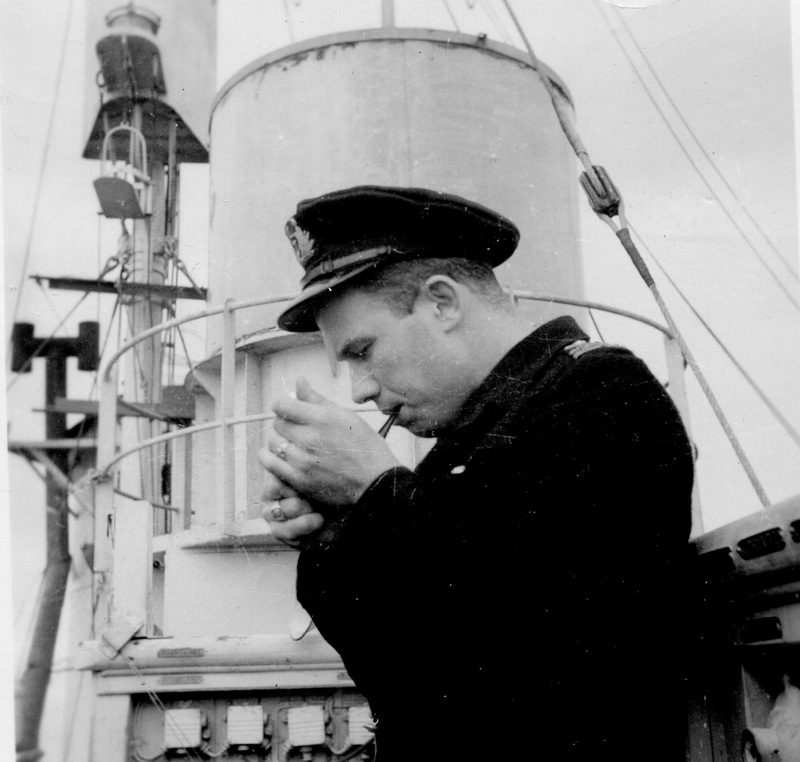 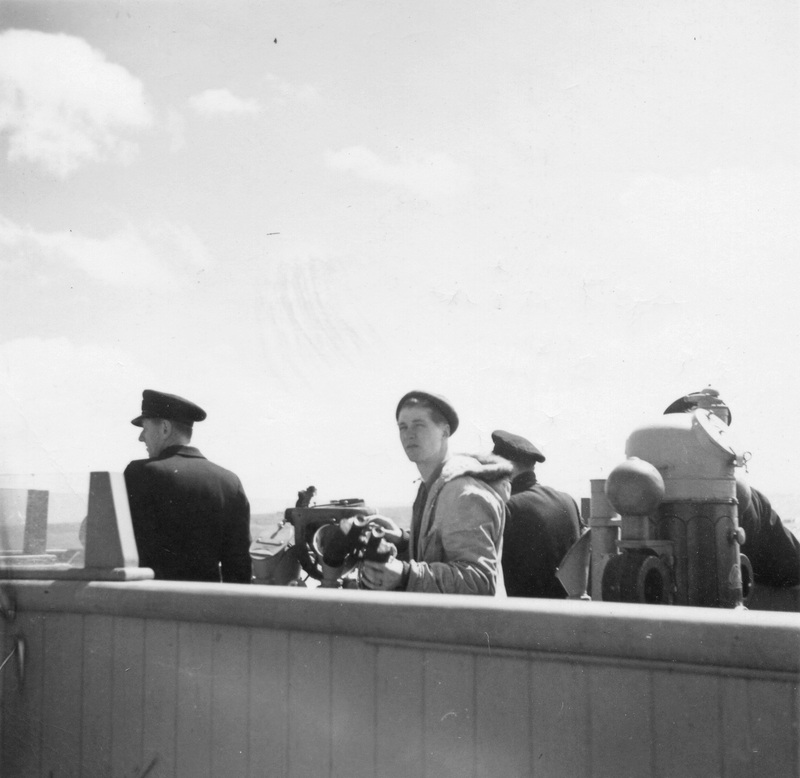 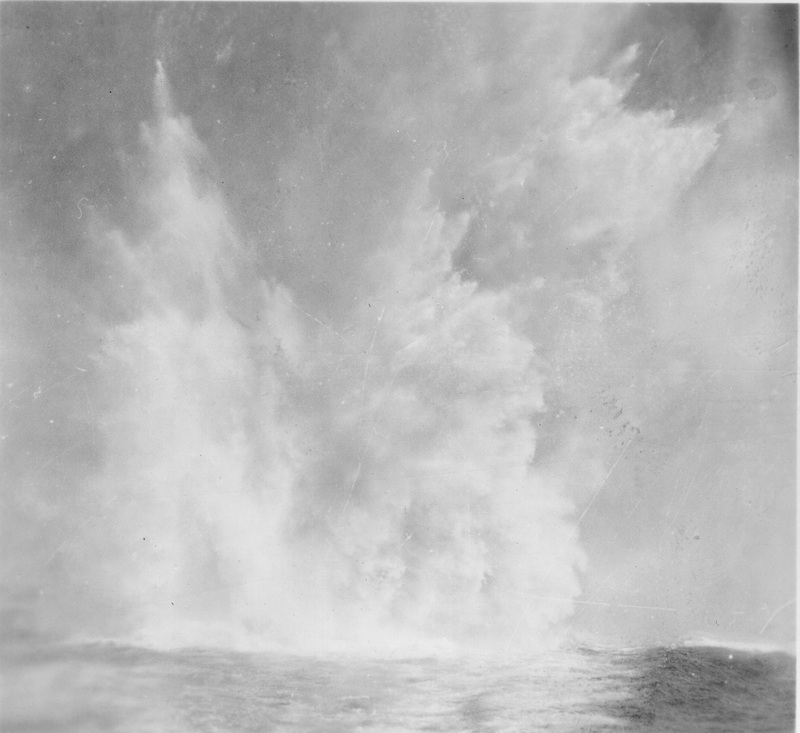 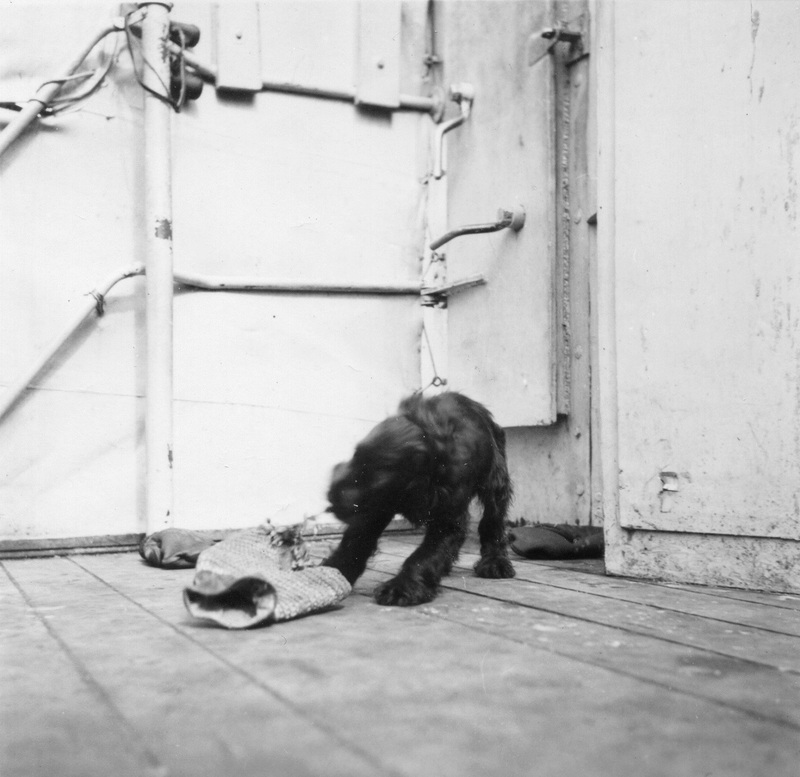 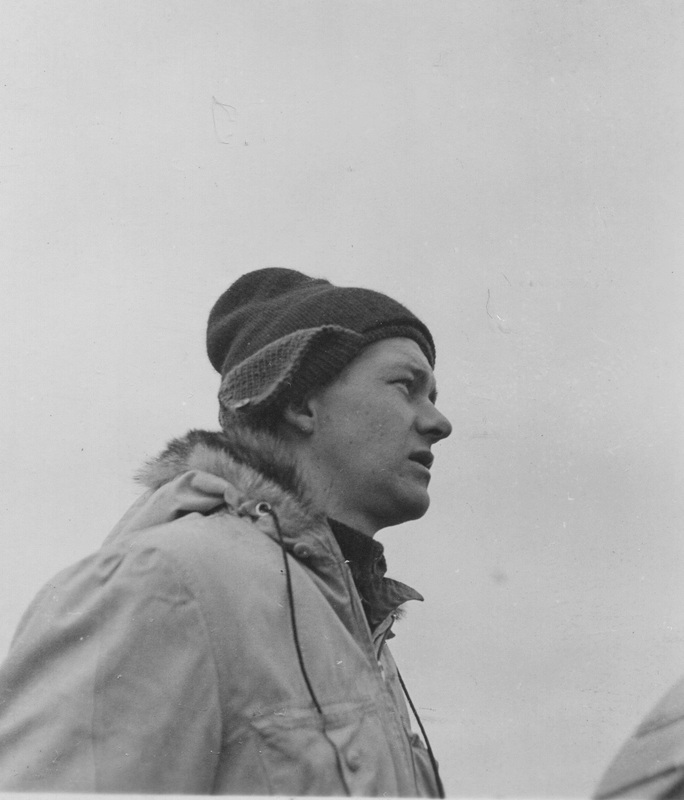 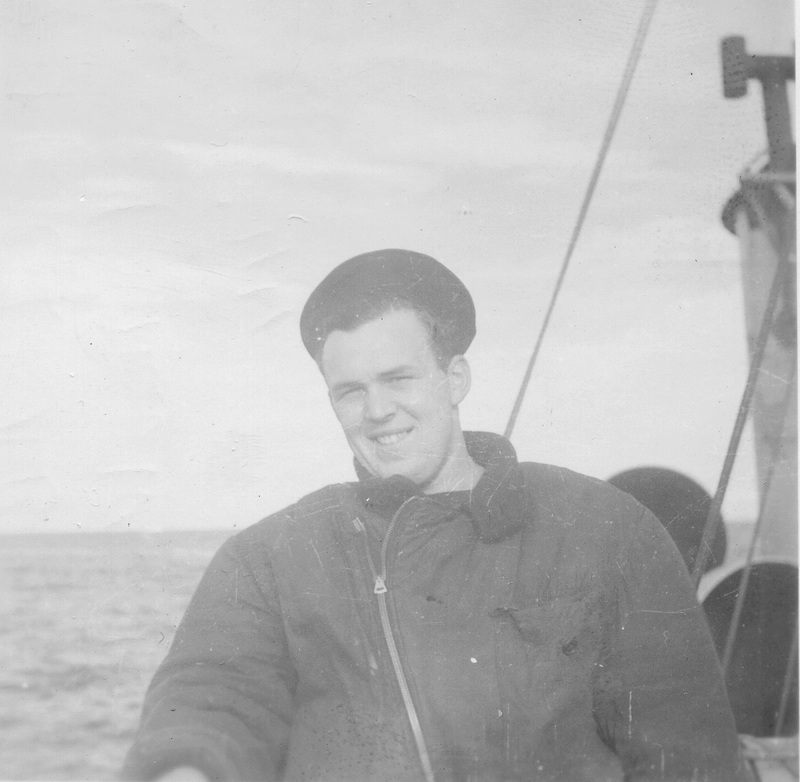 These photos are from the collection of Hector Trotter while he served in HMCS New Westminster from Dec 1943 to circa May / Jun 1945.. 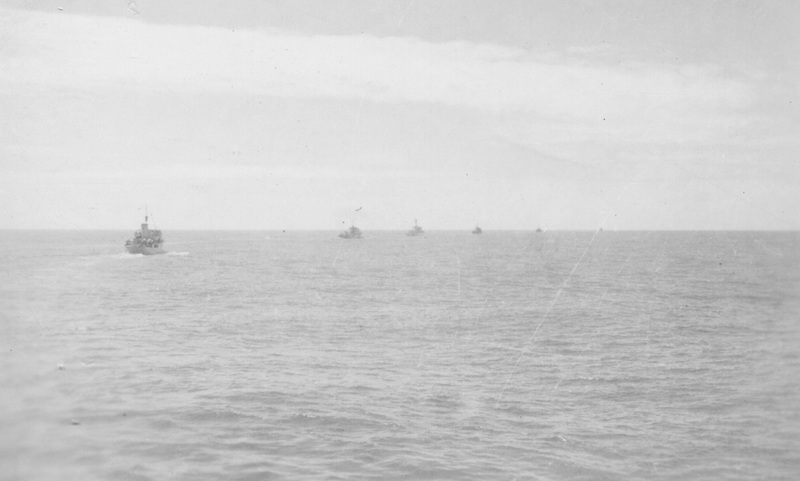 They have been sorted by developer numbers on the backs of the photos along with any information written on the photos by Hector Trotter. 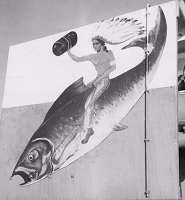 There is no guarantee the photos are properly sequenced. 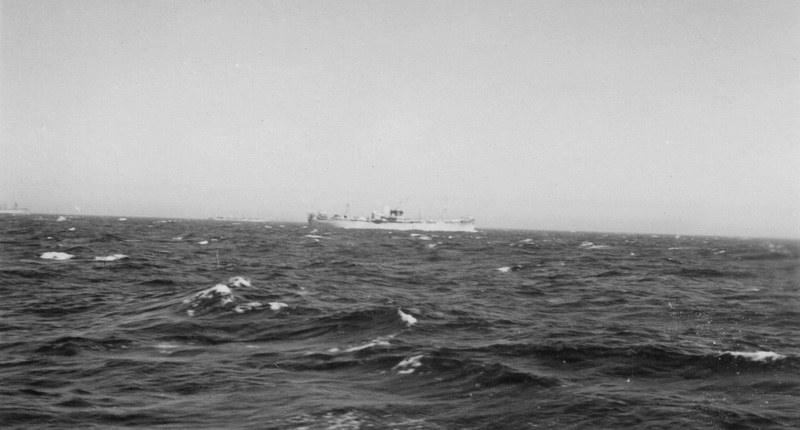 (76) MAC in convoy SC.153 (77) Swordfish flying near MAC (78) unknown merchant ship (79) HMCS New Westminster fueling from unknown oiler (80) HMCS New Westminster fueling at sea from unknown oiler. 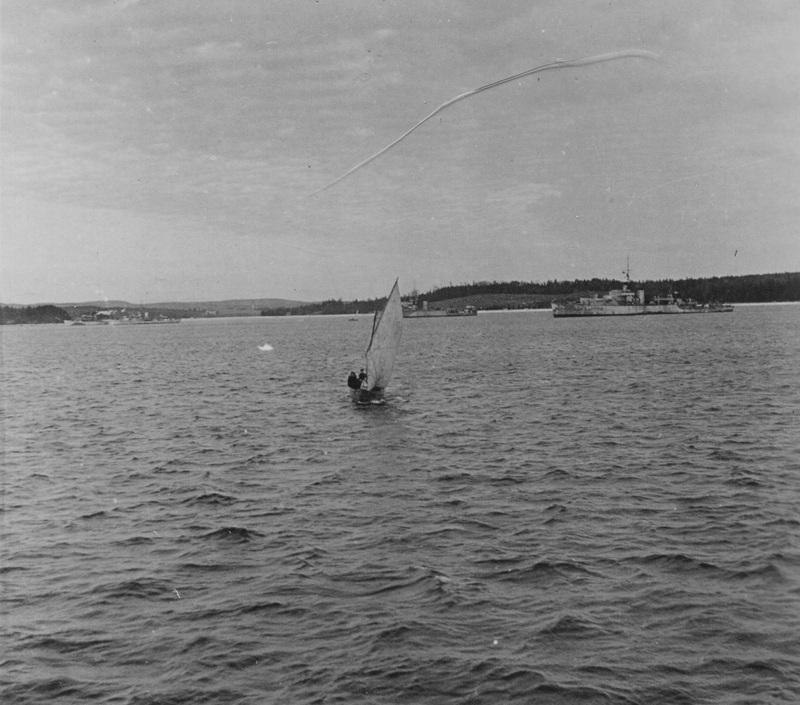 Webmaster's note: The above photos were group by the developer's batch number on the back of the photos. 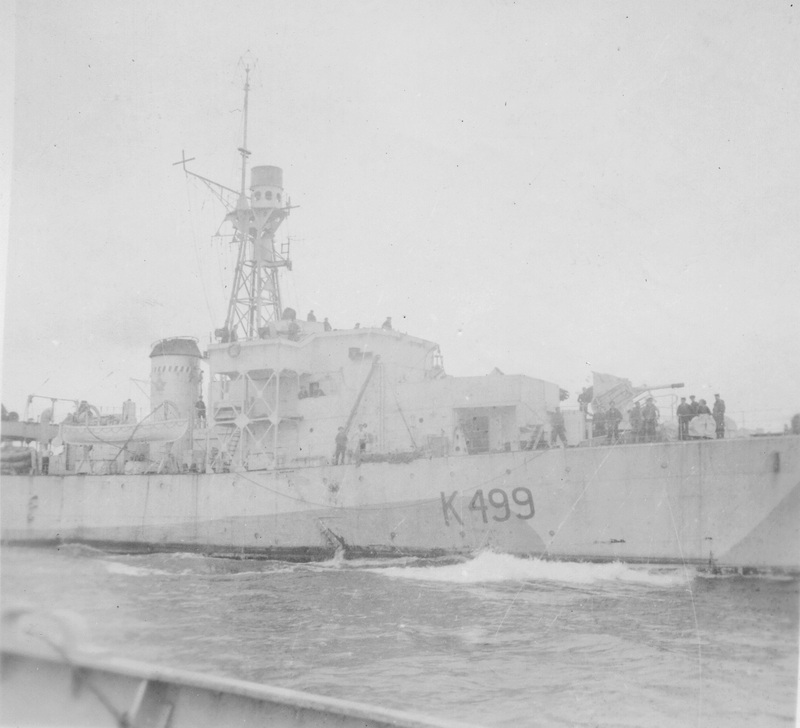 Note that in photos 60 to 62 New Westminster does not yet have her rocket launchers on the side of the gun mount - but in photos 79 and 80 - her rocket launchers are visible. 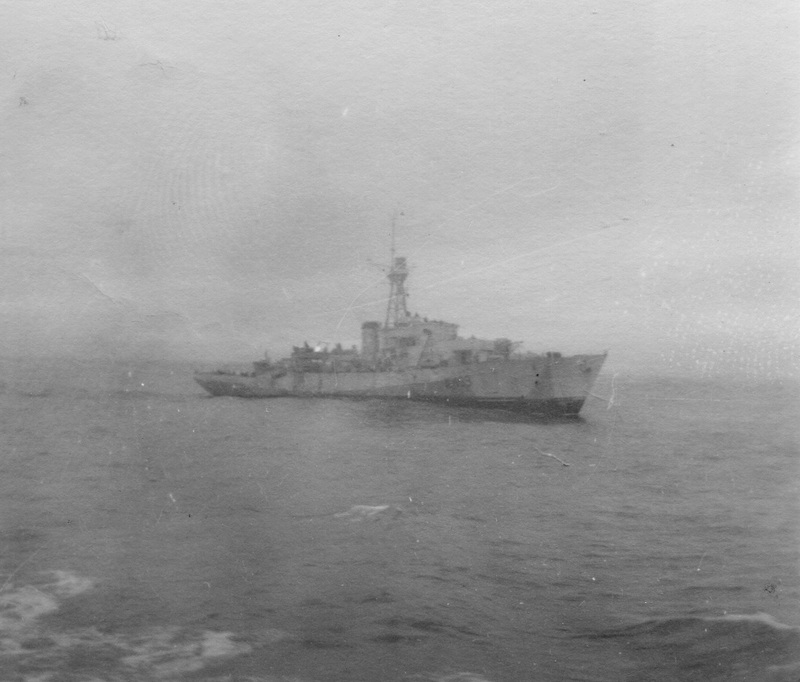 The oiler in both these photos are different from photos 60-64.. 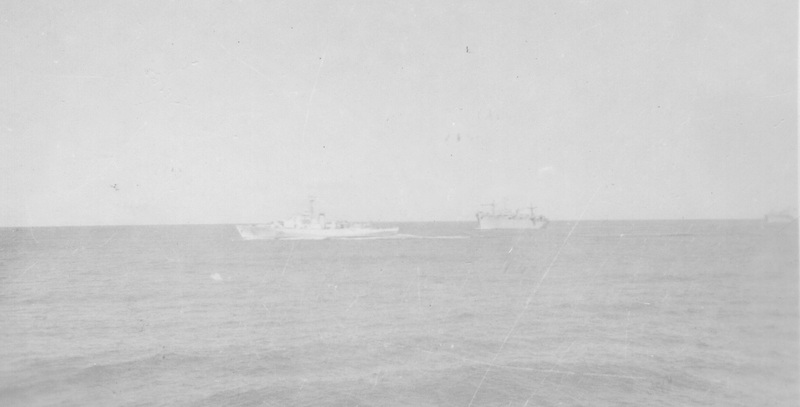 It is possible that photos 79 and 80 are from a later convoy. 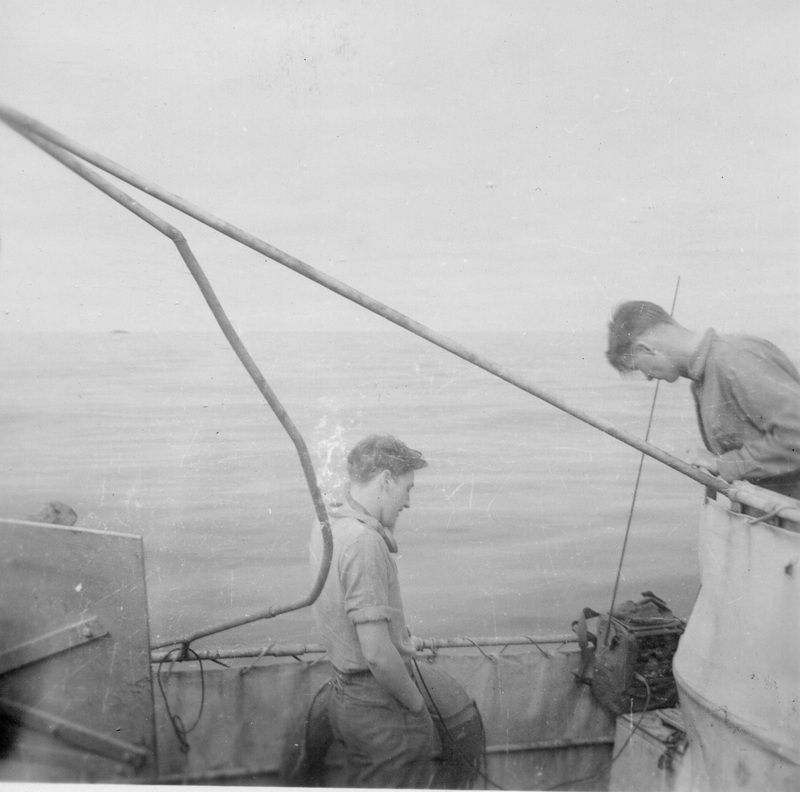 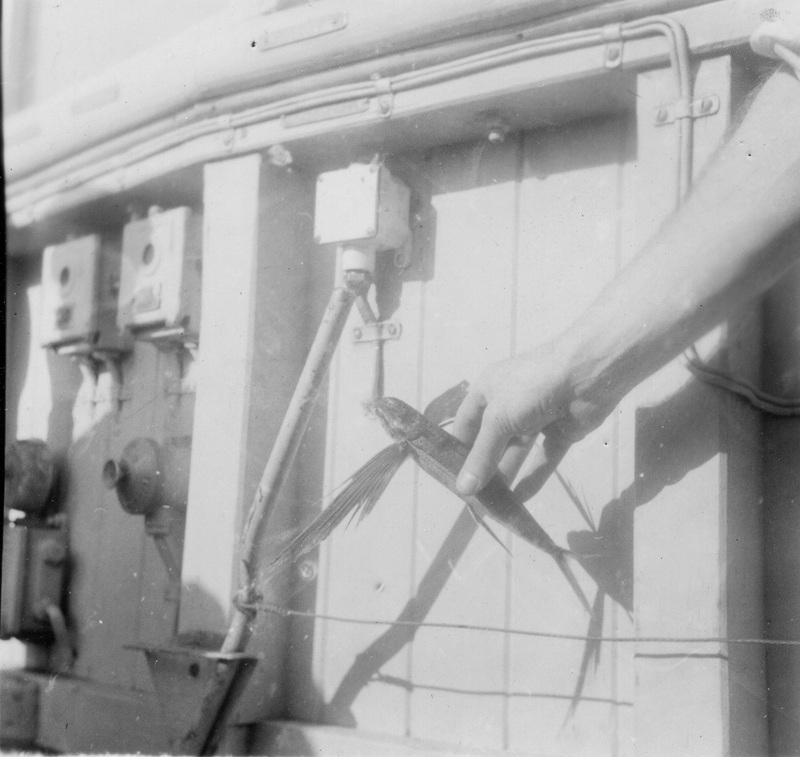 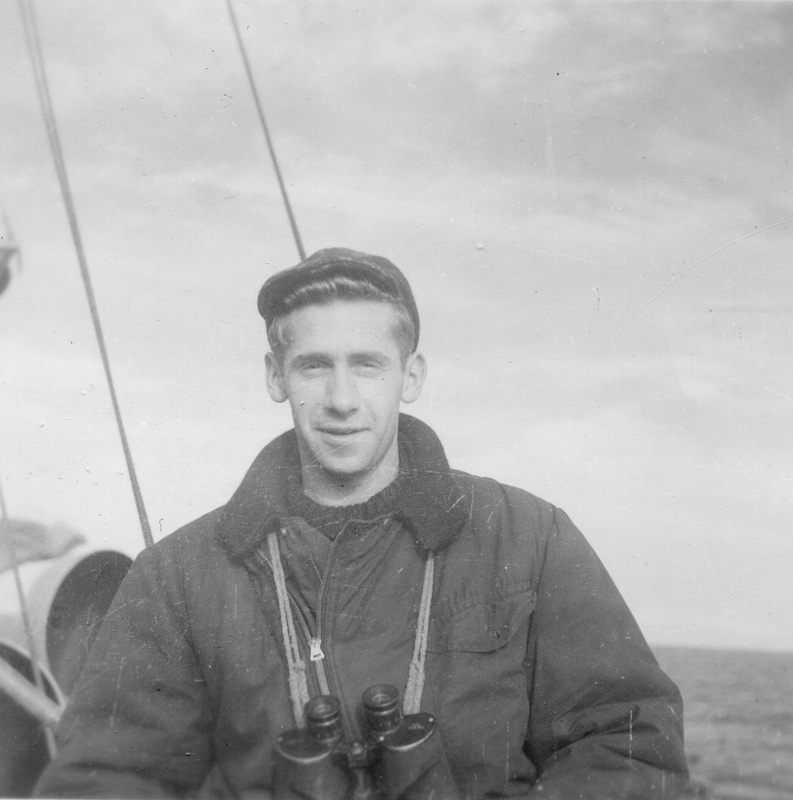 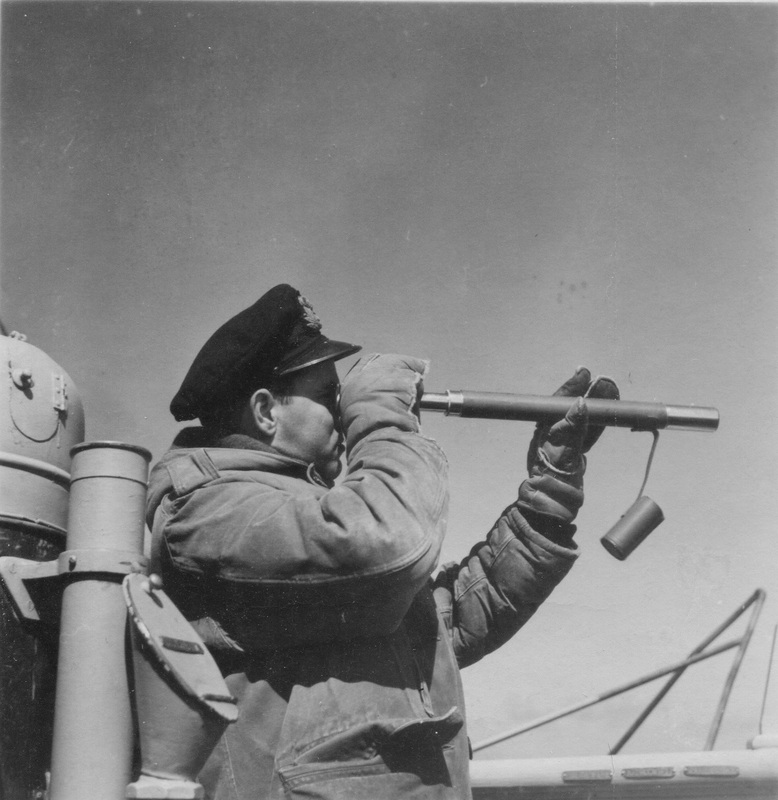 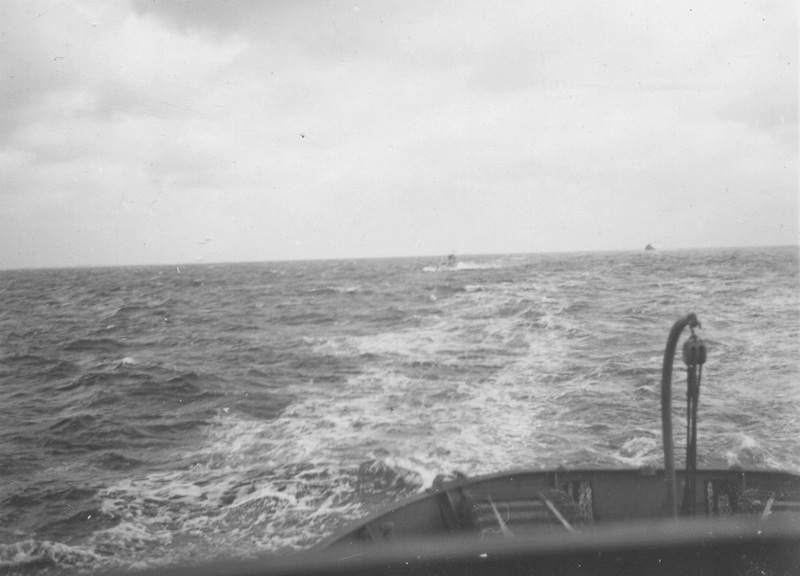 Webmaster's note: The above photos were annotated April 1944 - but no indication of which convoy - JX.285 or O.233. 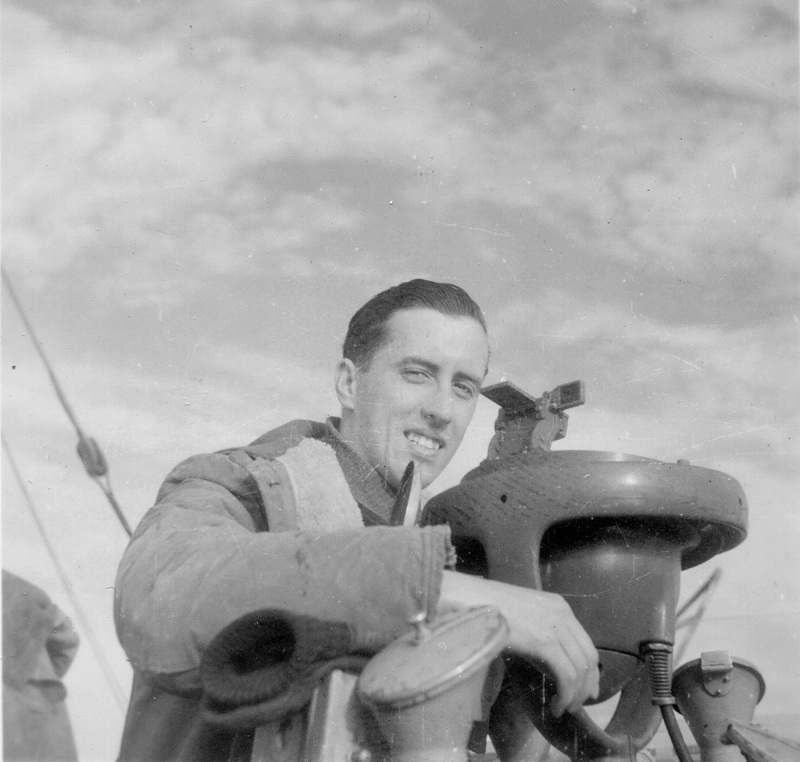 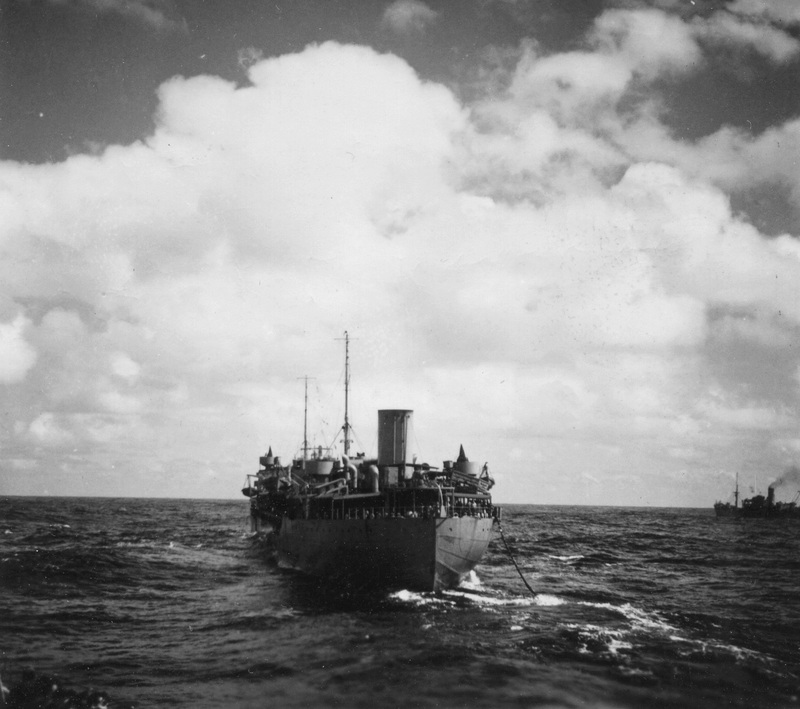 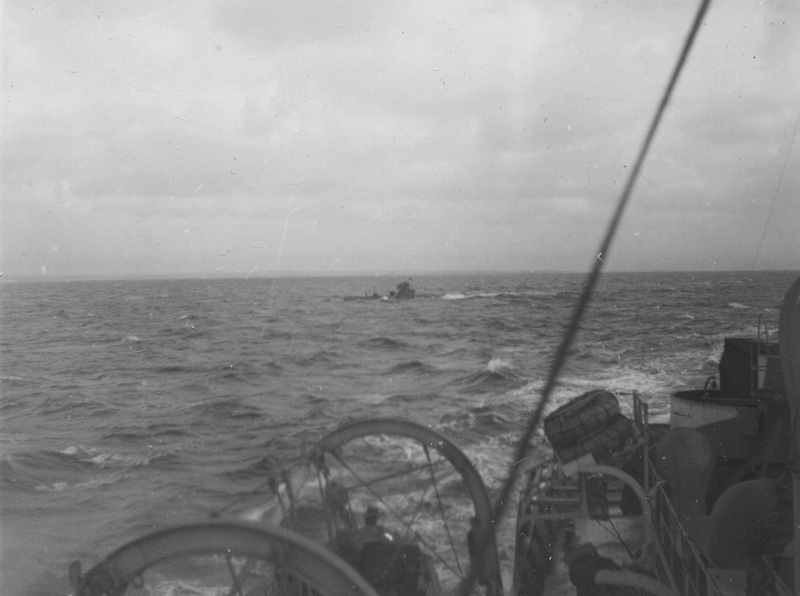 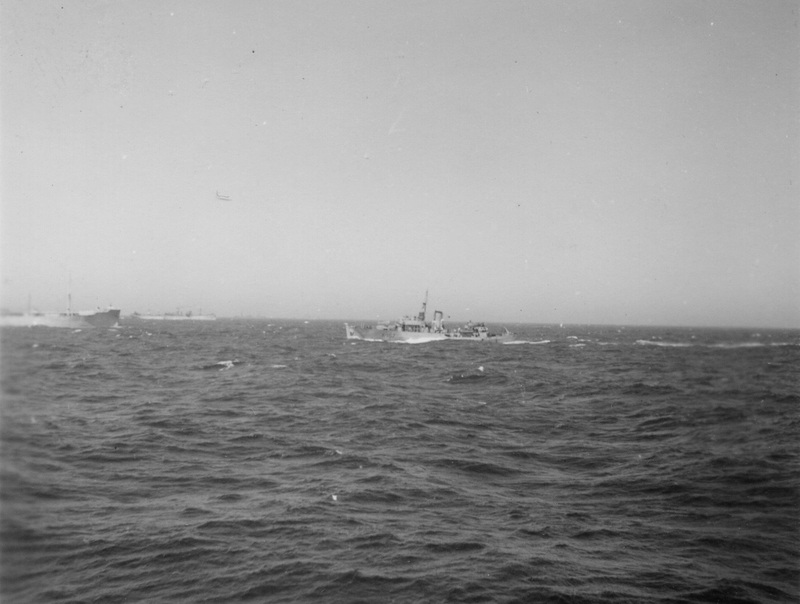 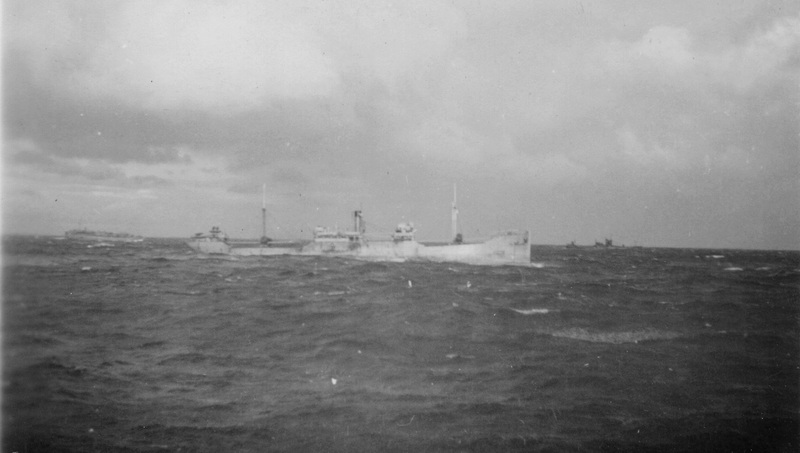 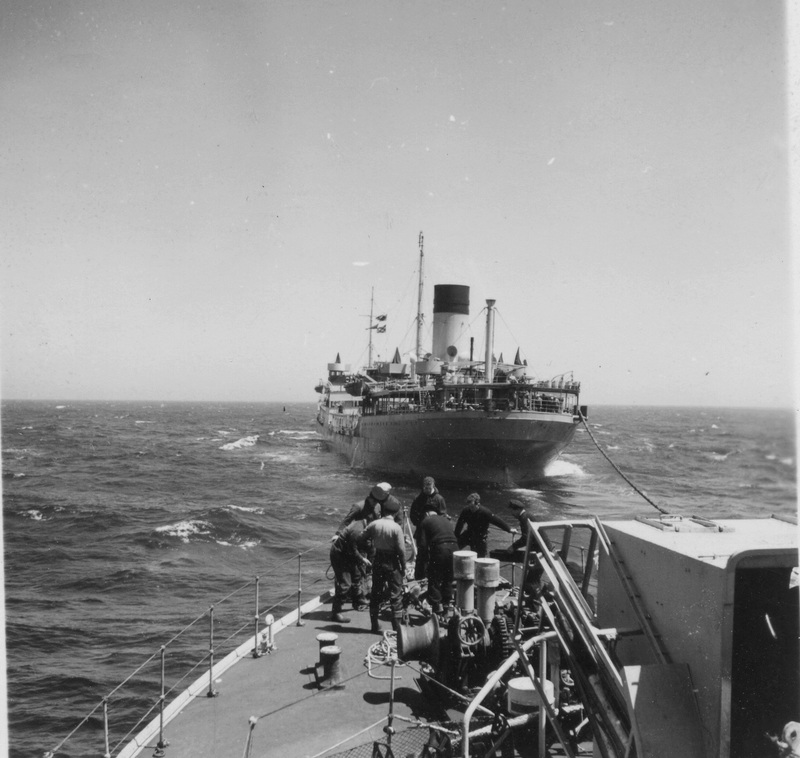 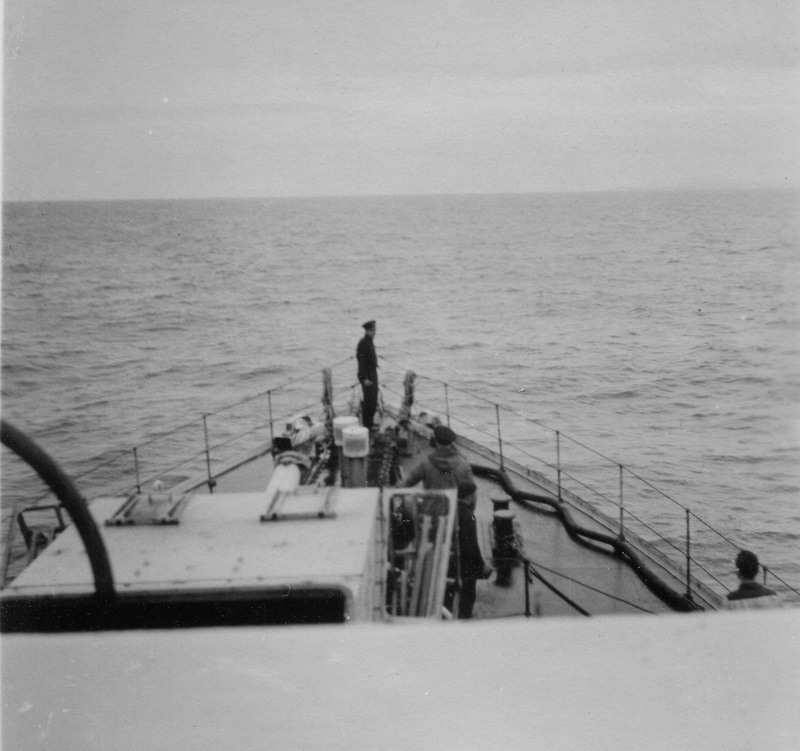 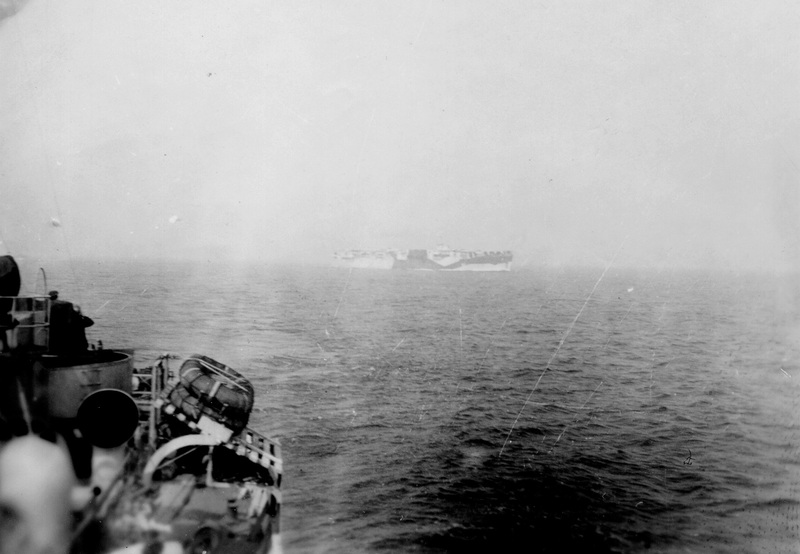 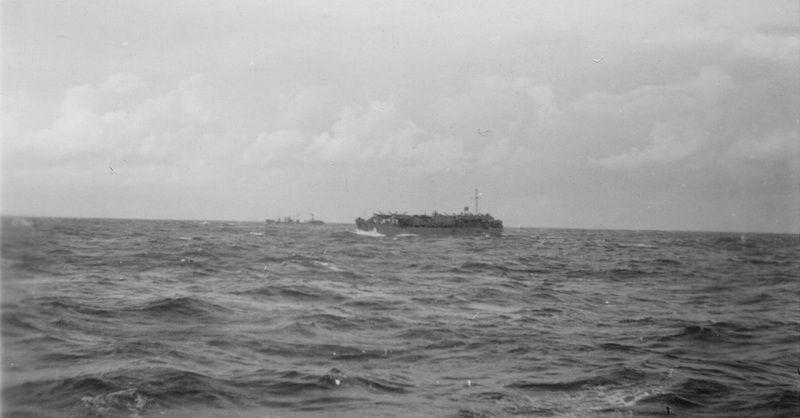 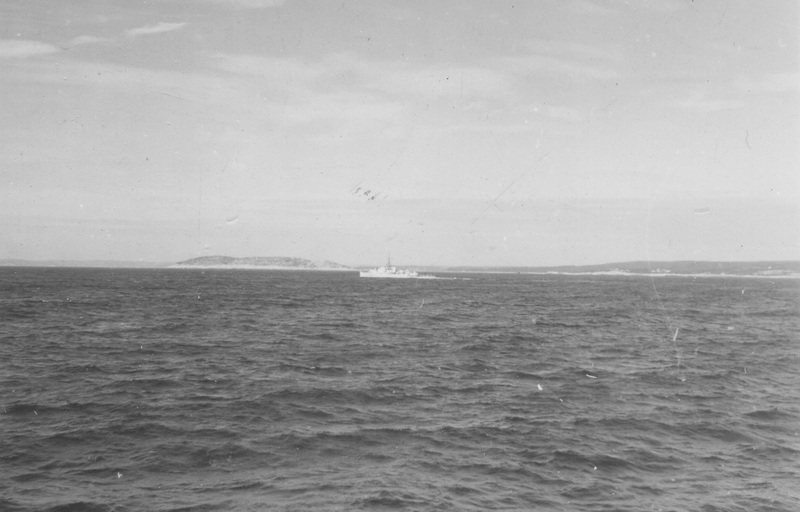 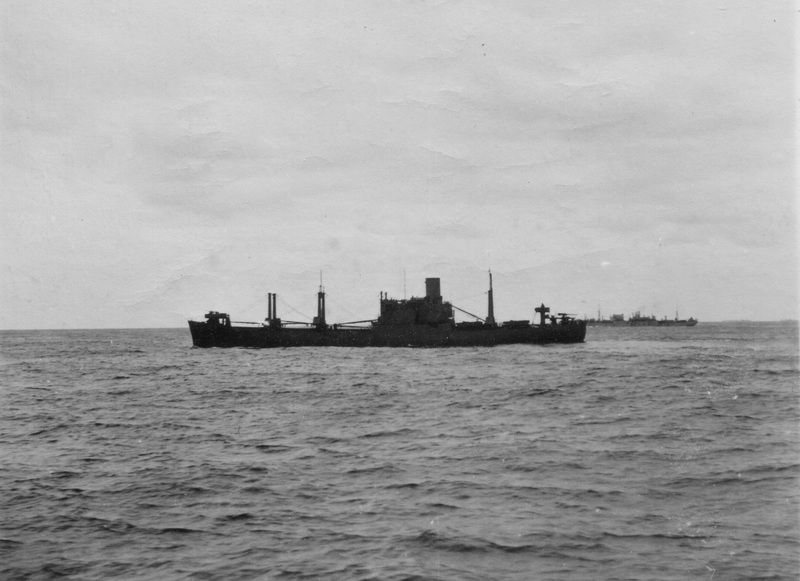 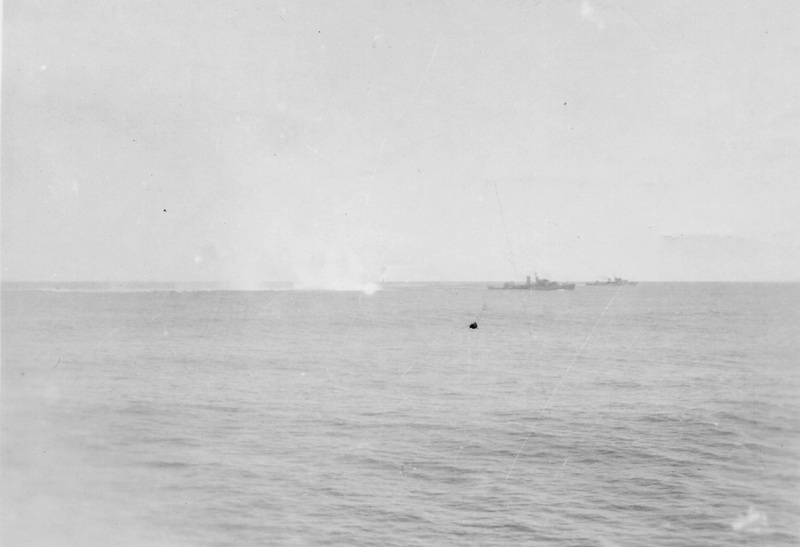 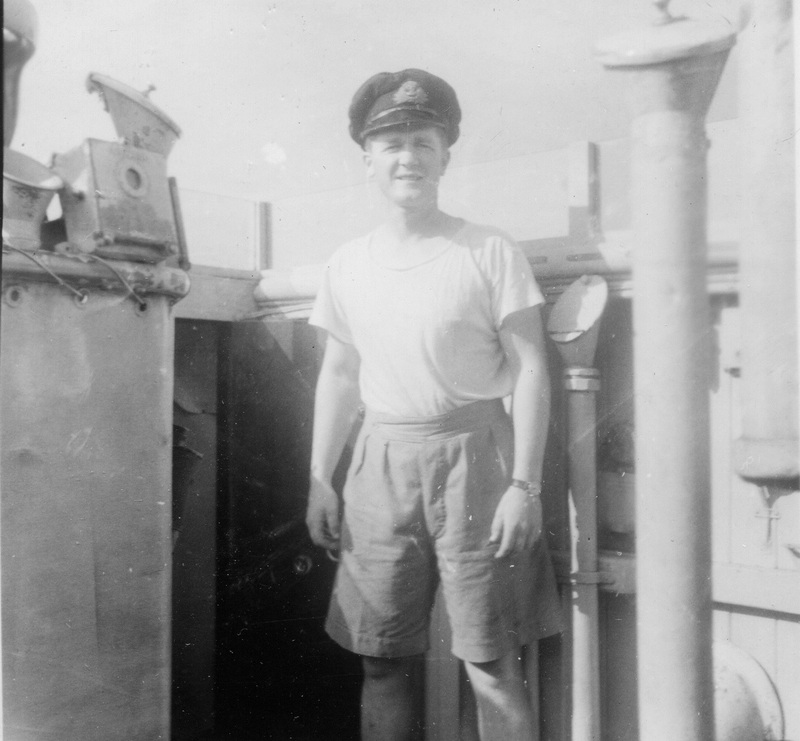 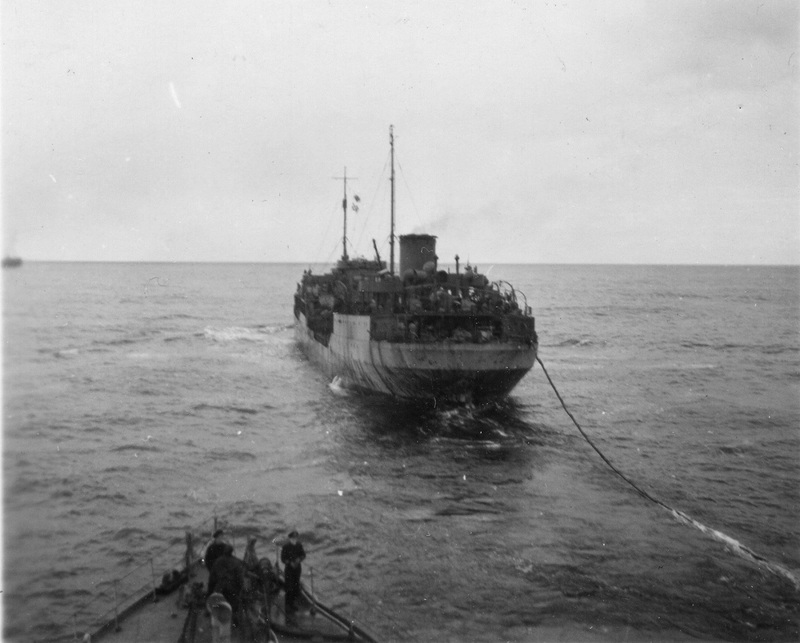 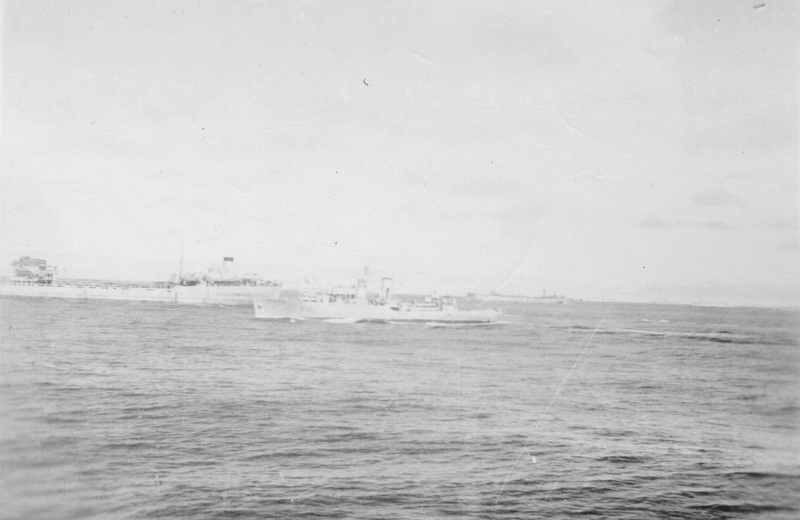 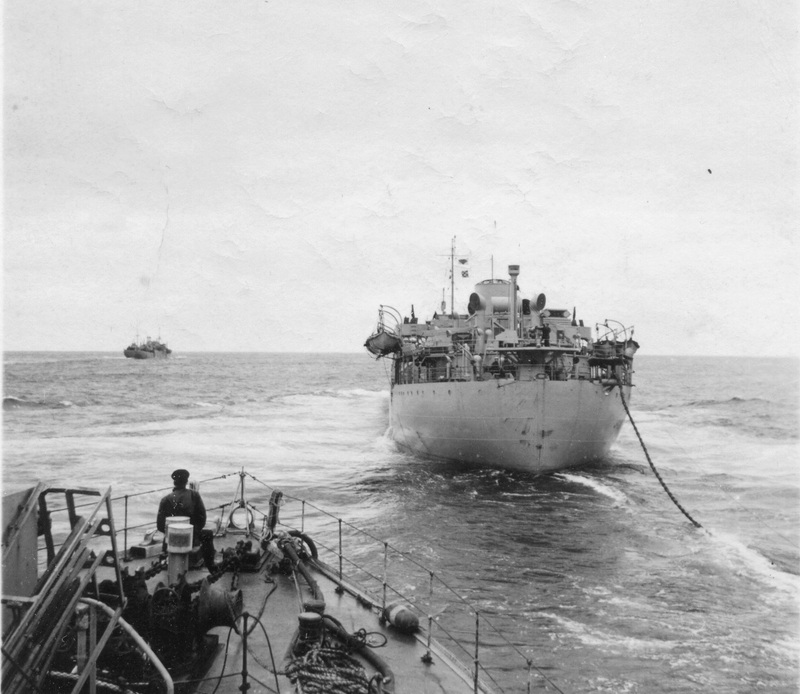 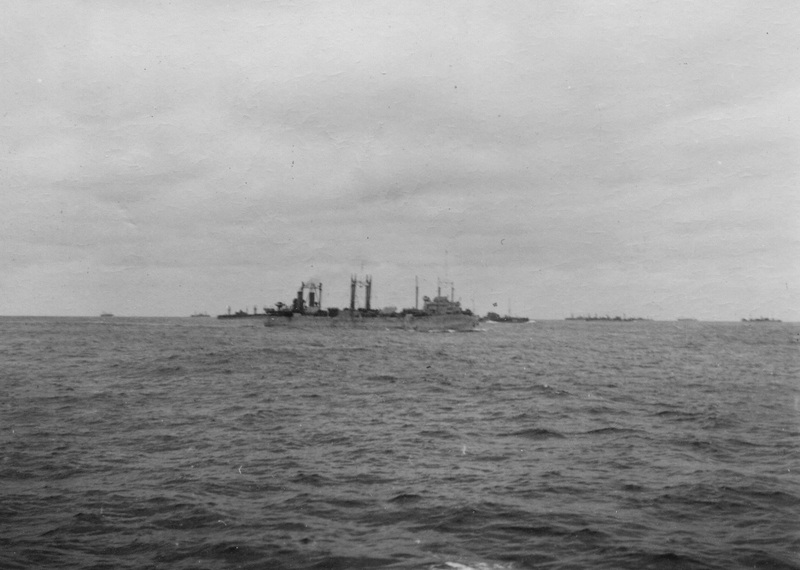 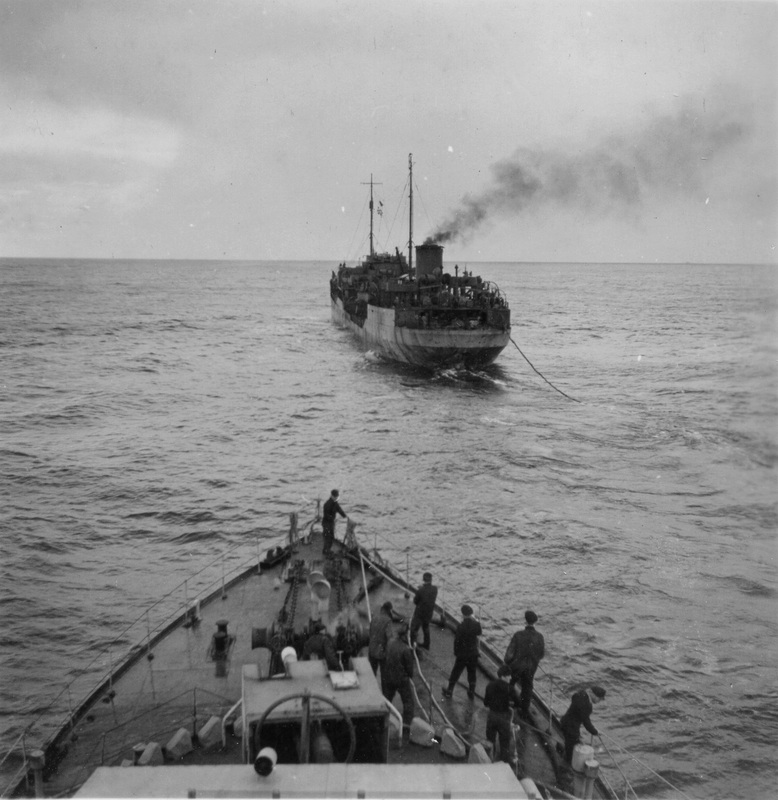 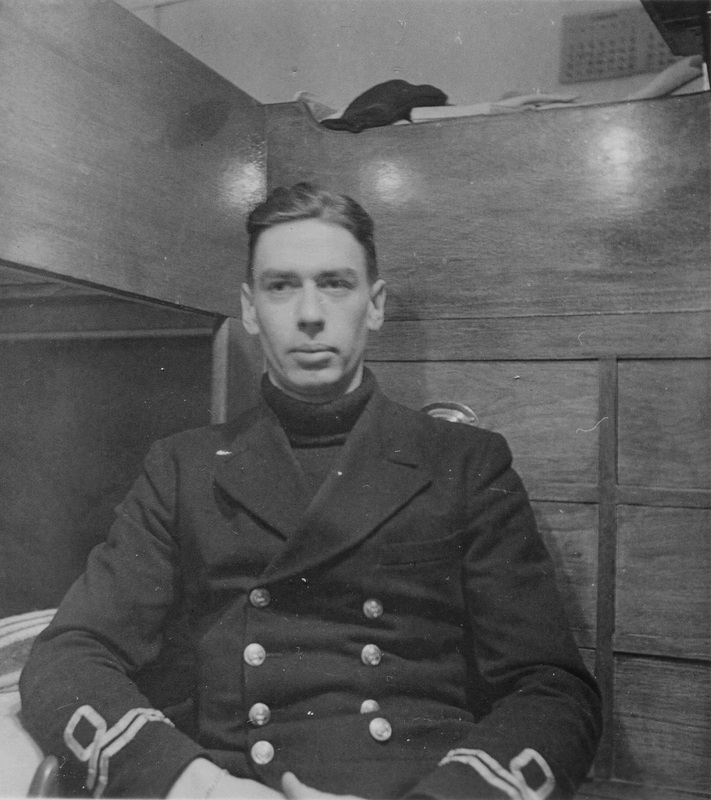 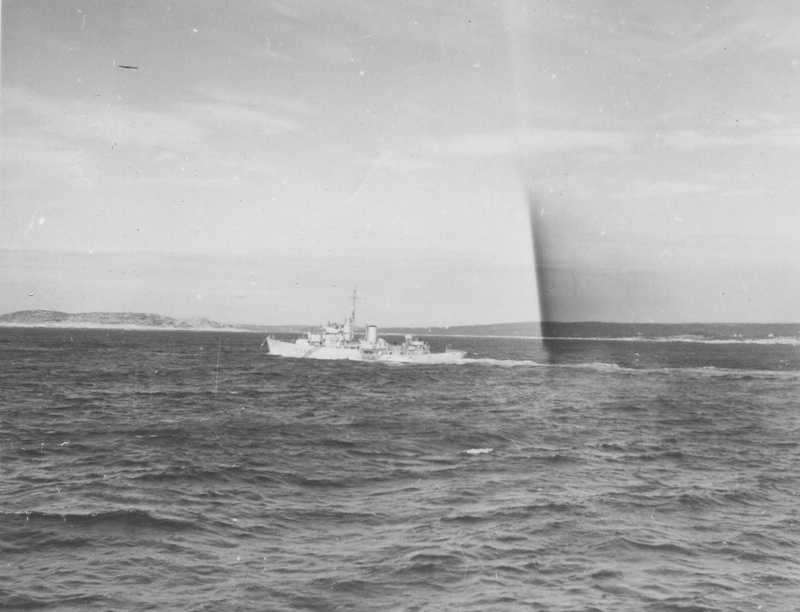 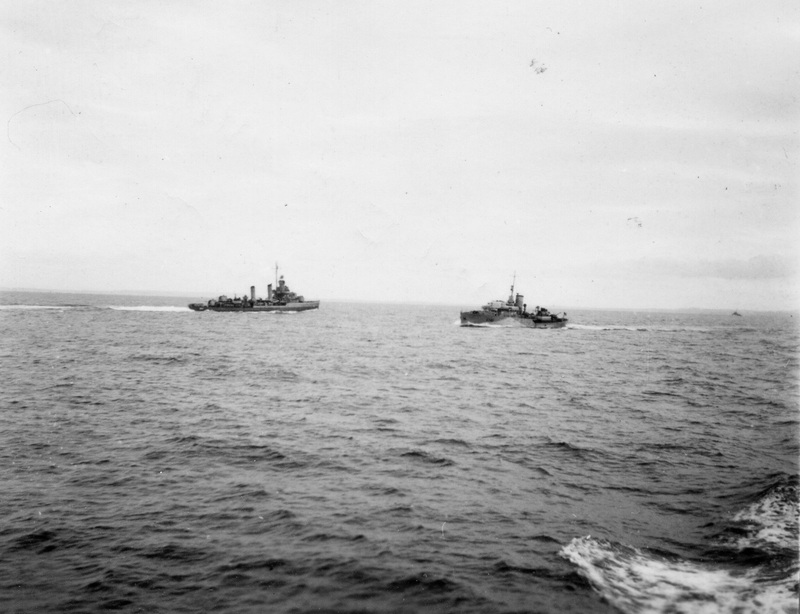 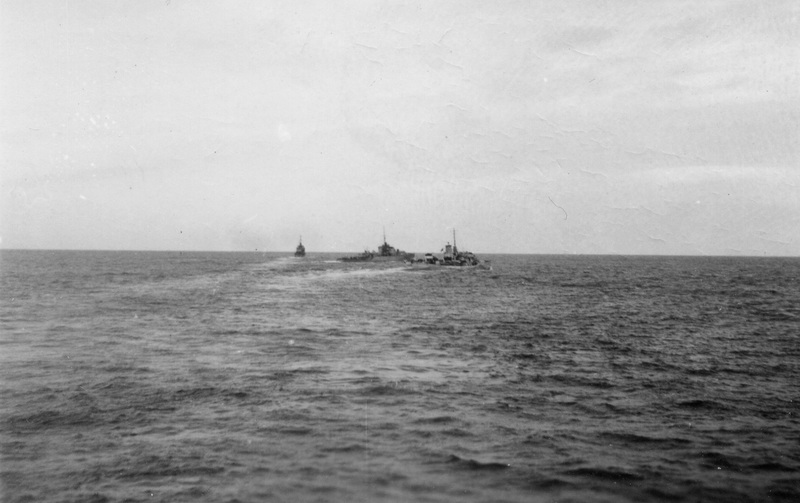 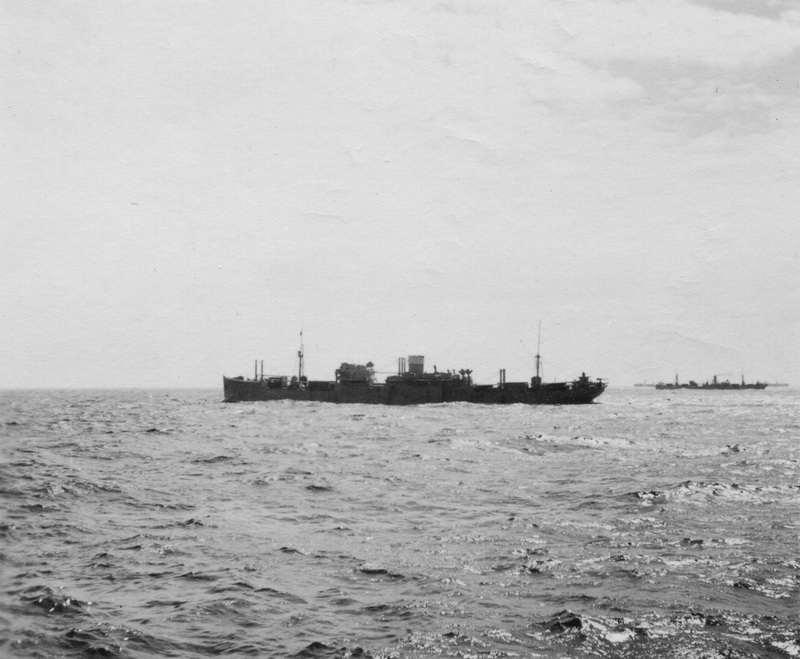 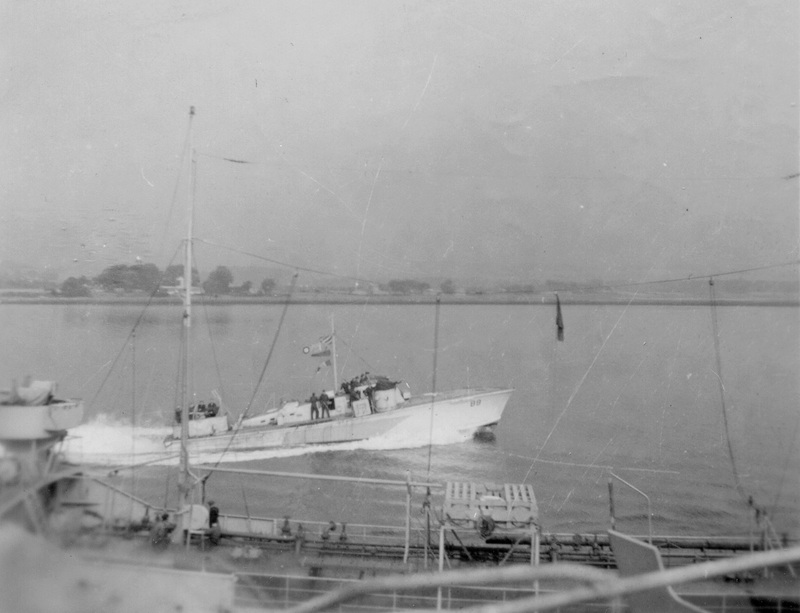 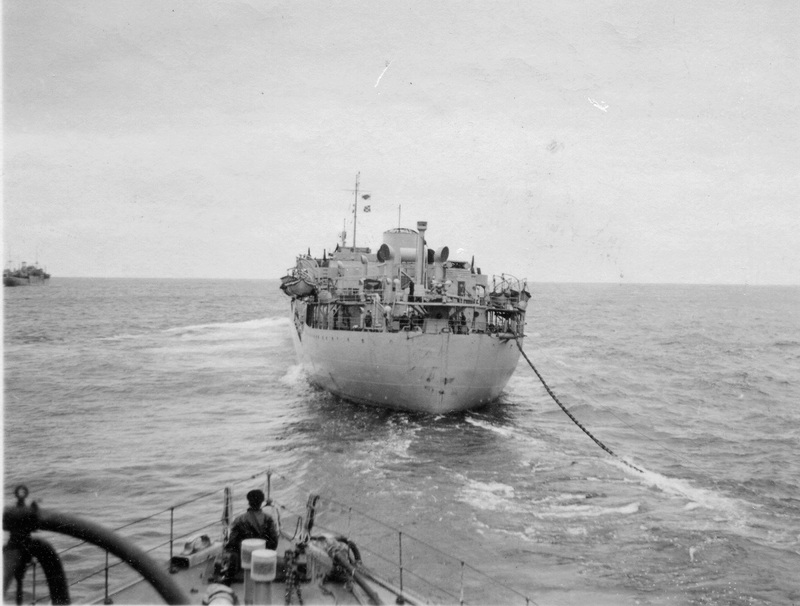 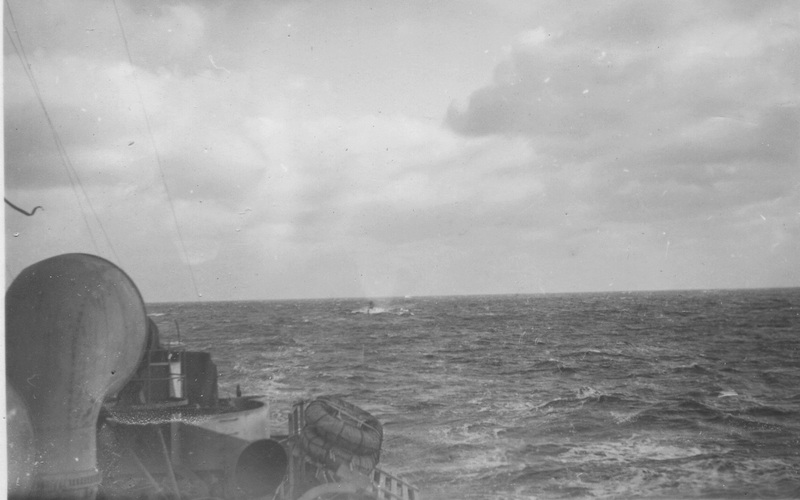 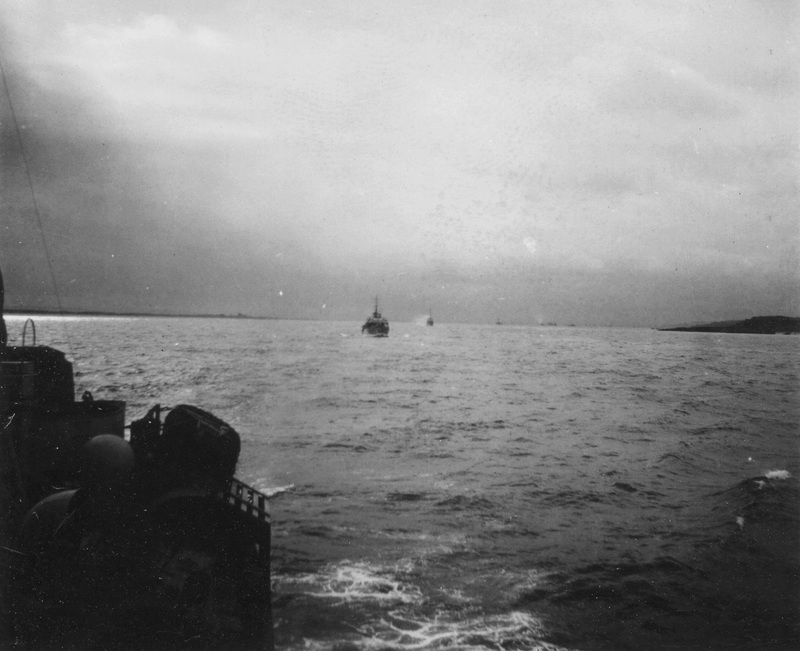 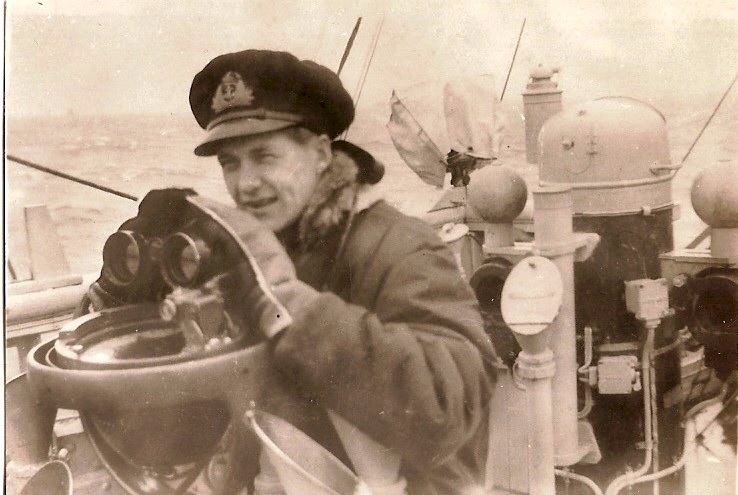 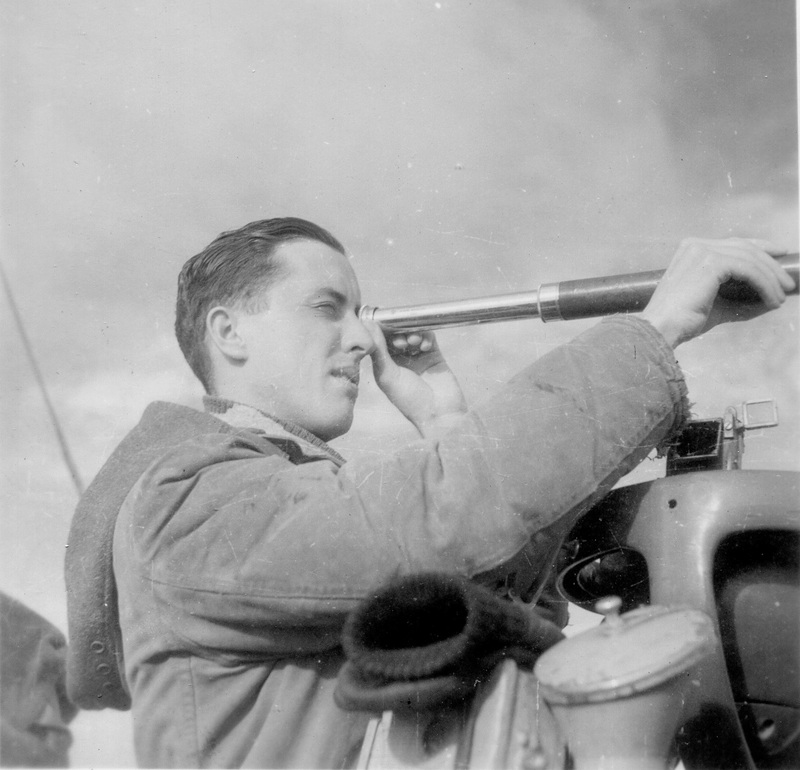 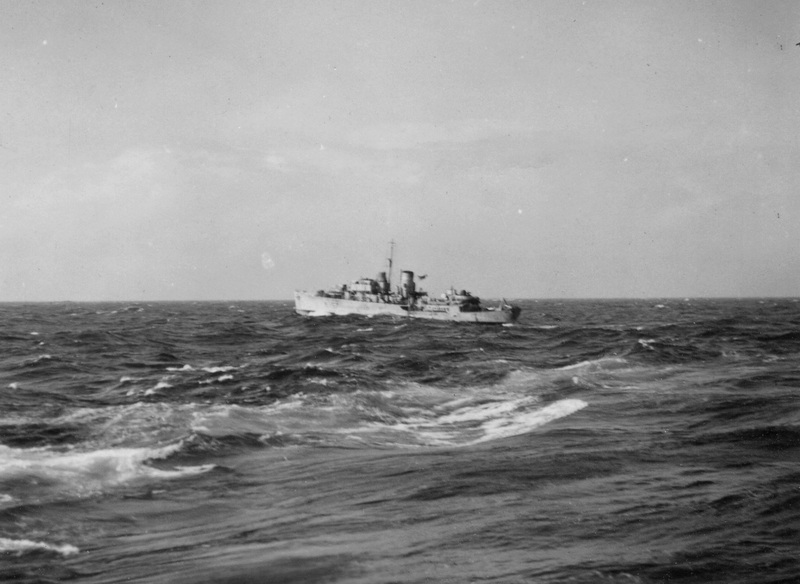 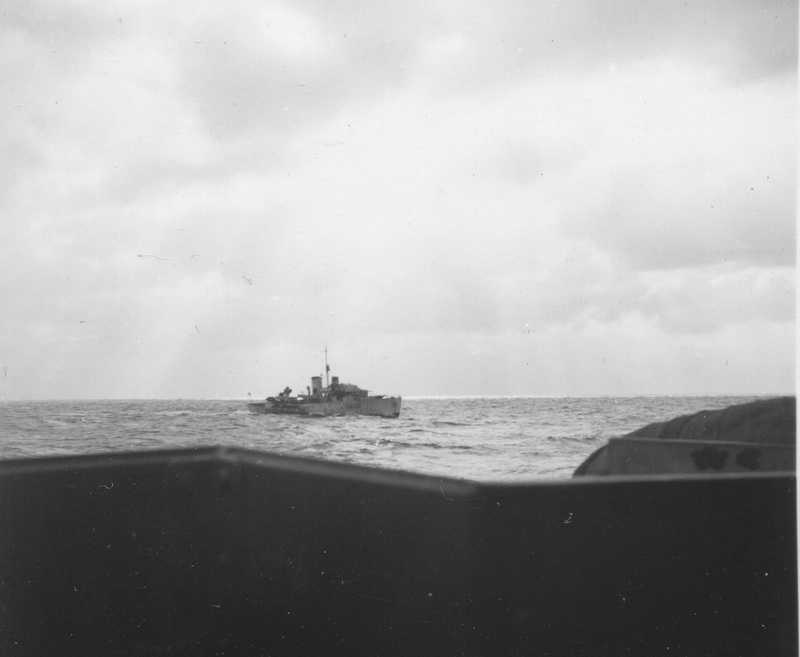 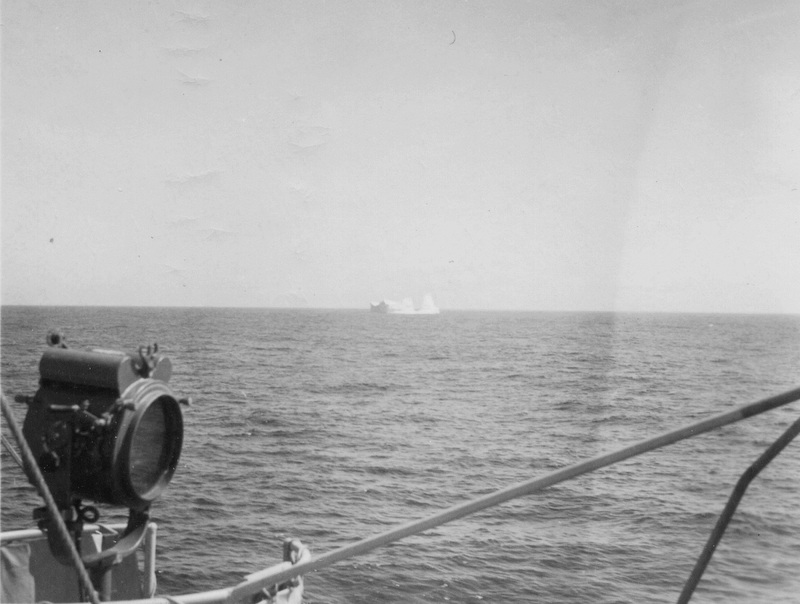 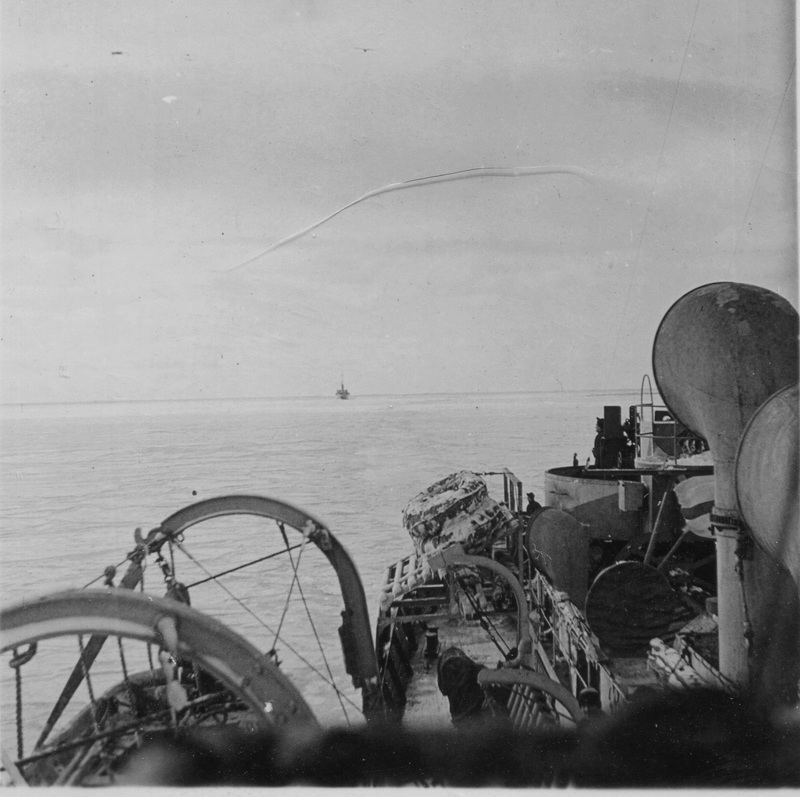 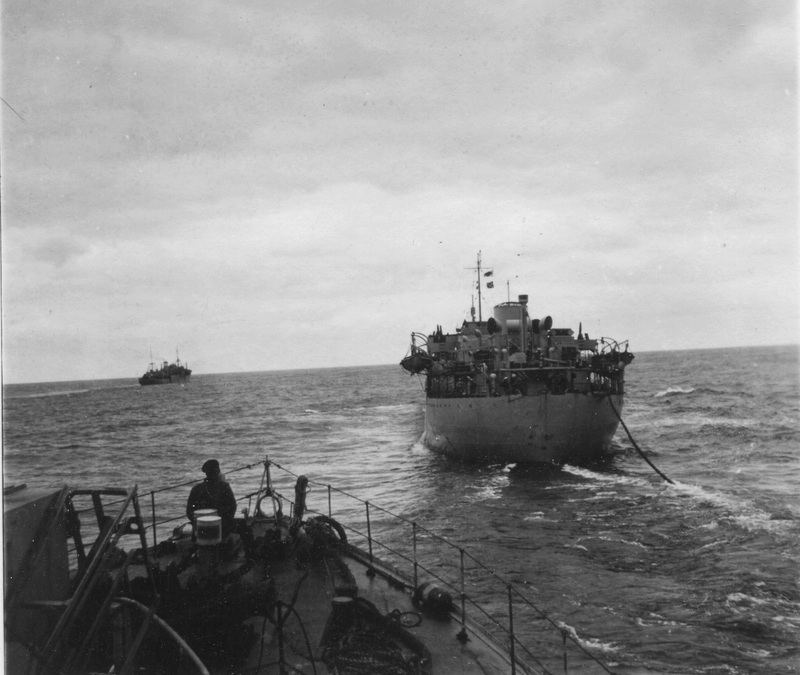 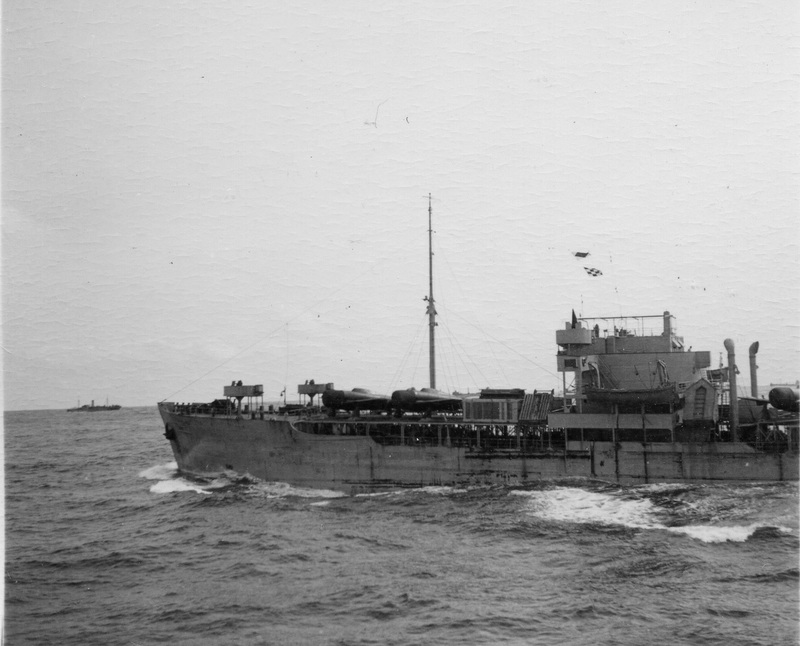 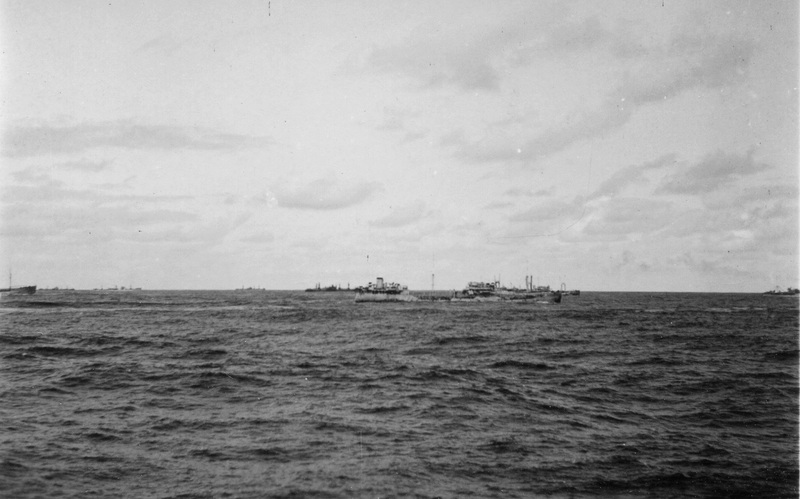 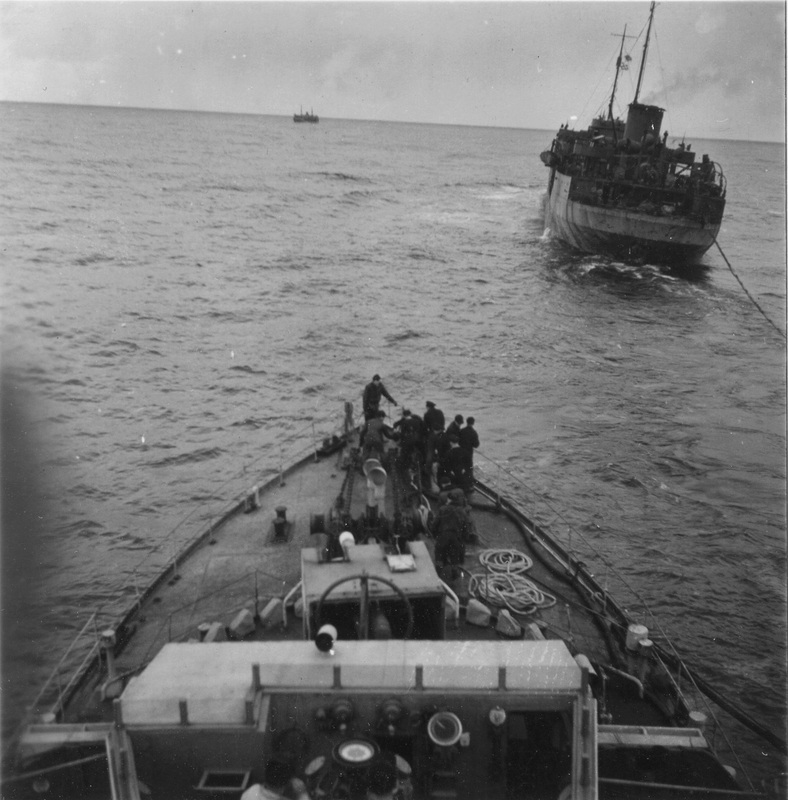 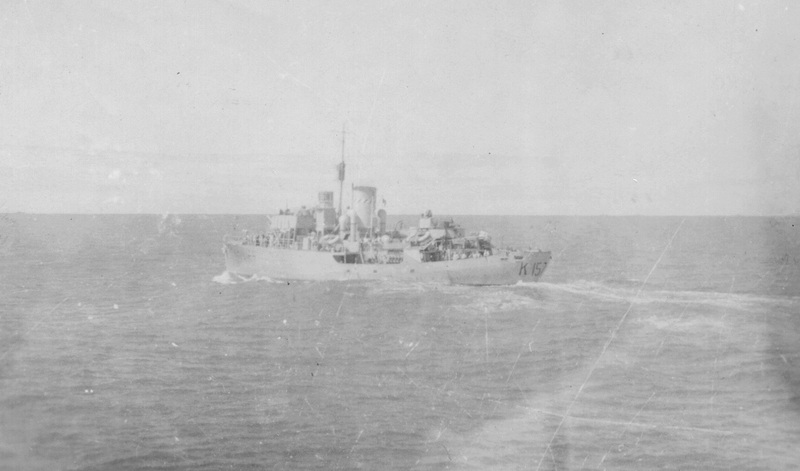 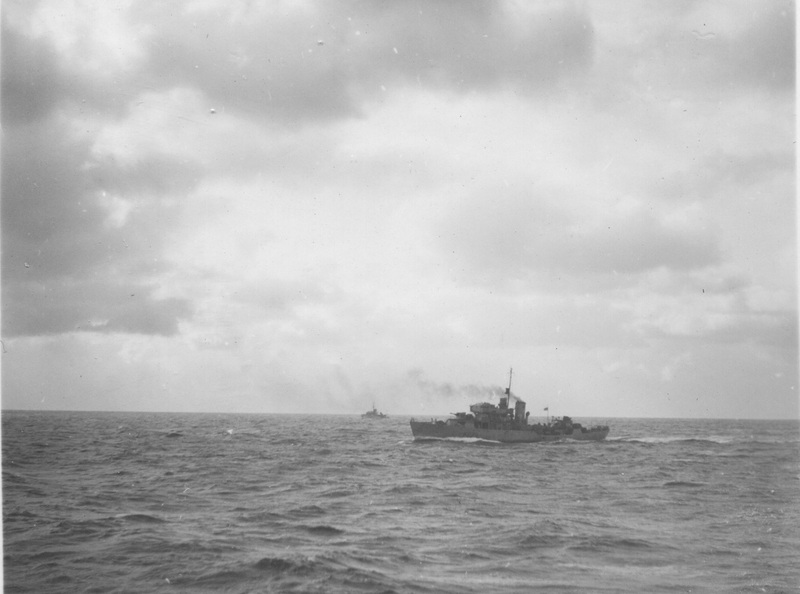 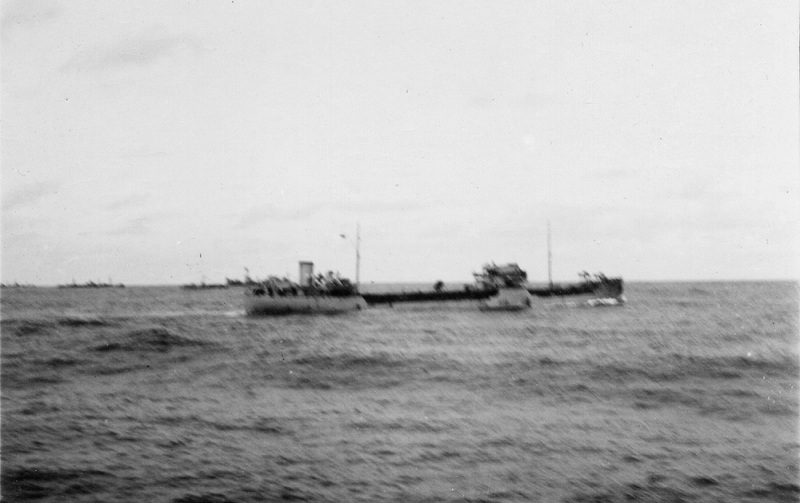 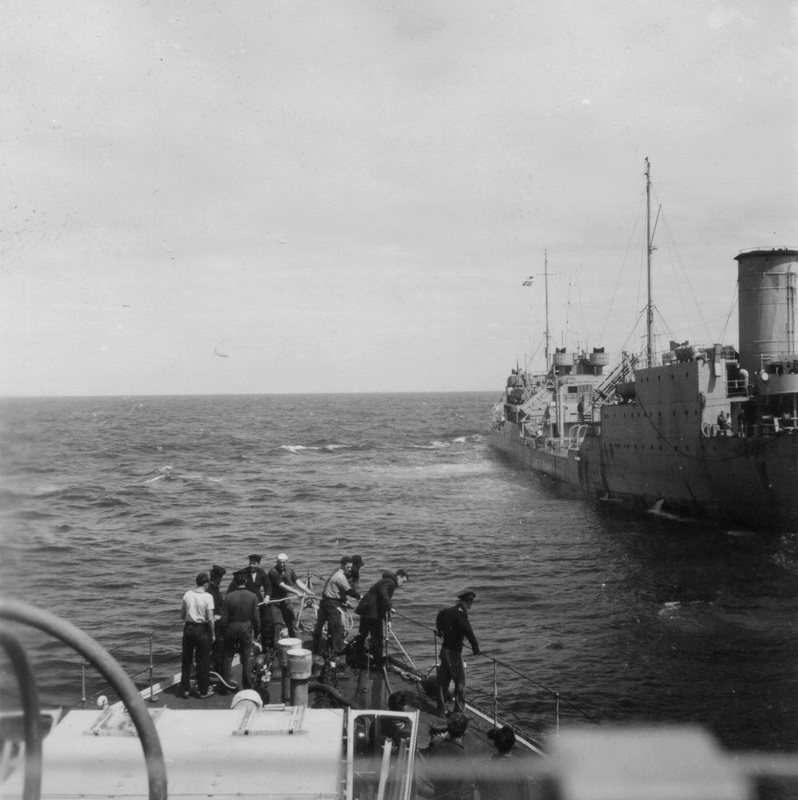 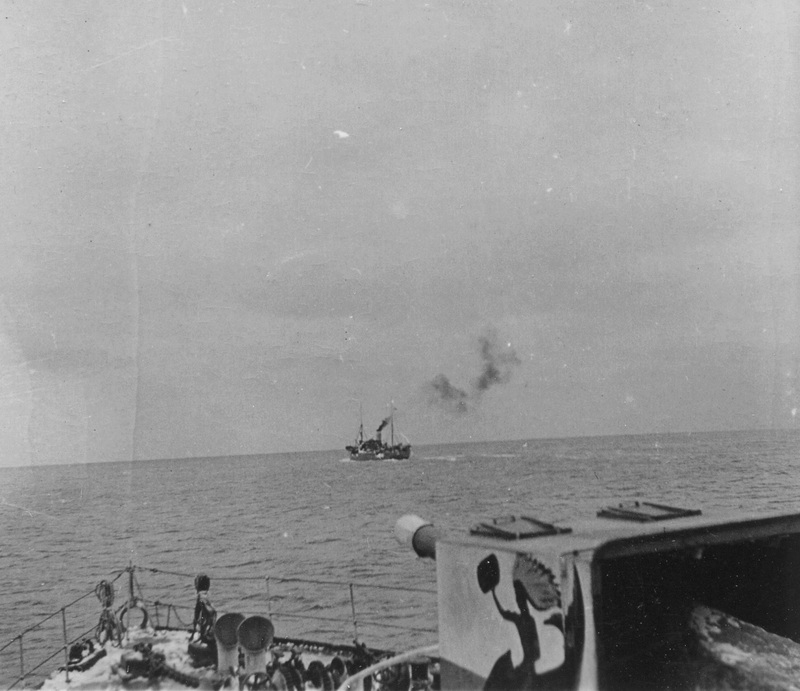 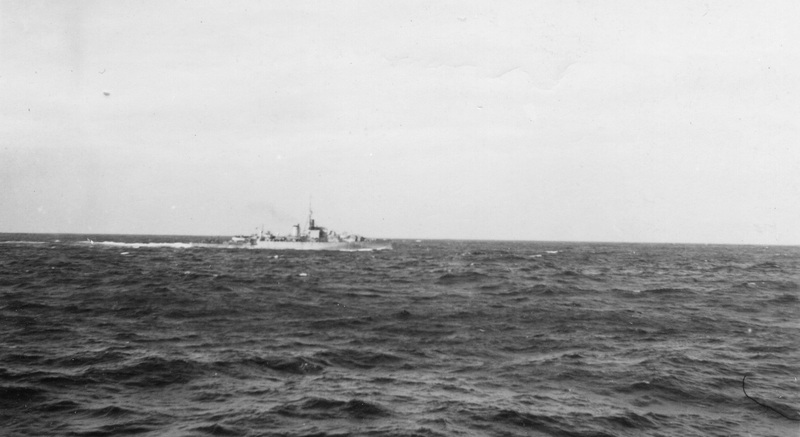 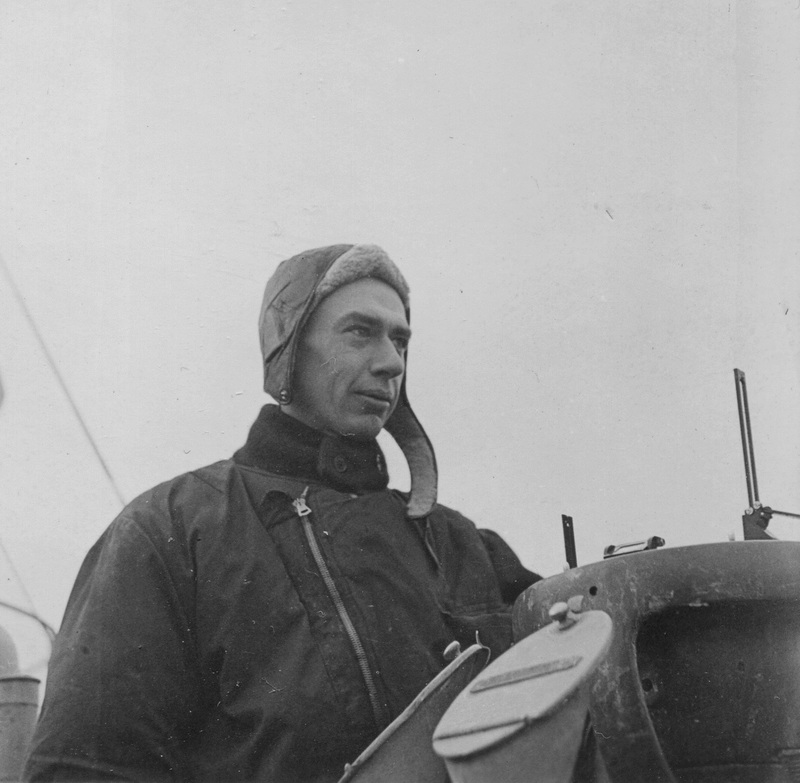 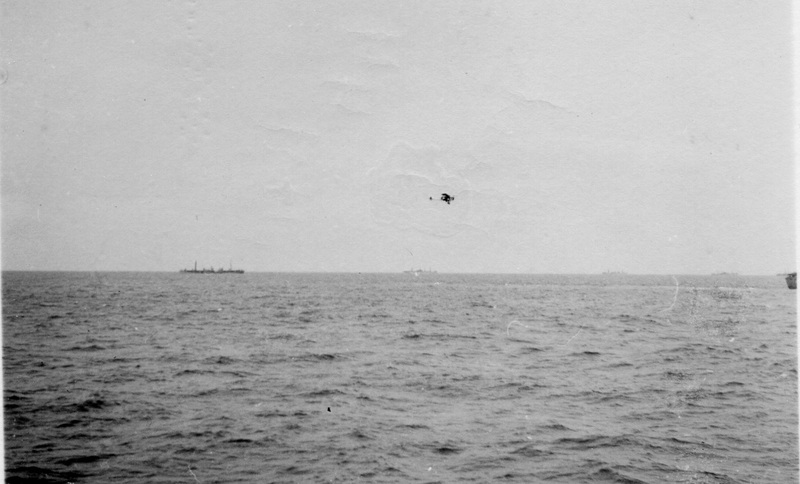 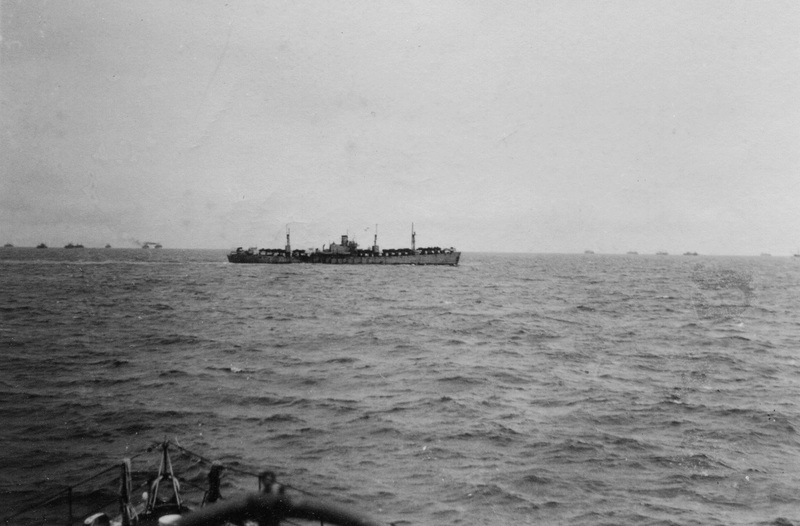 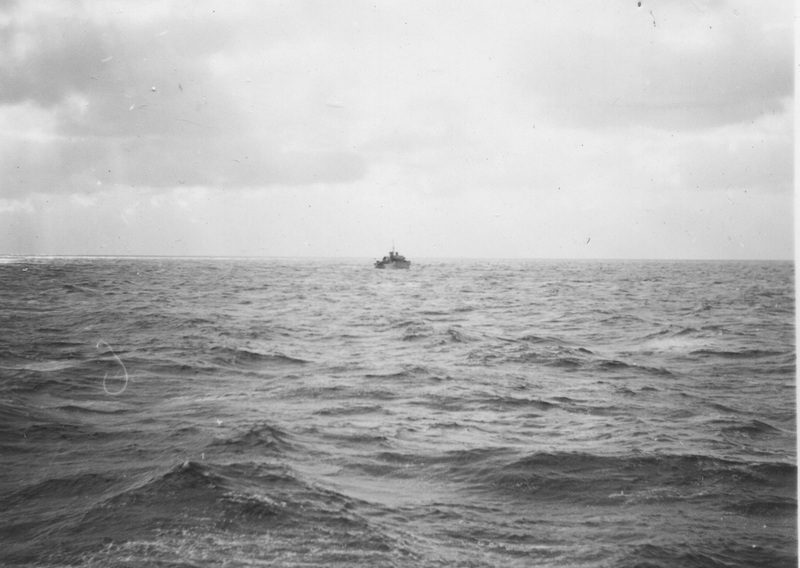 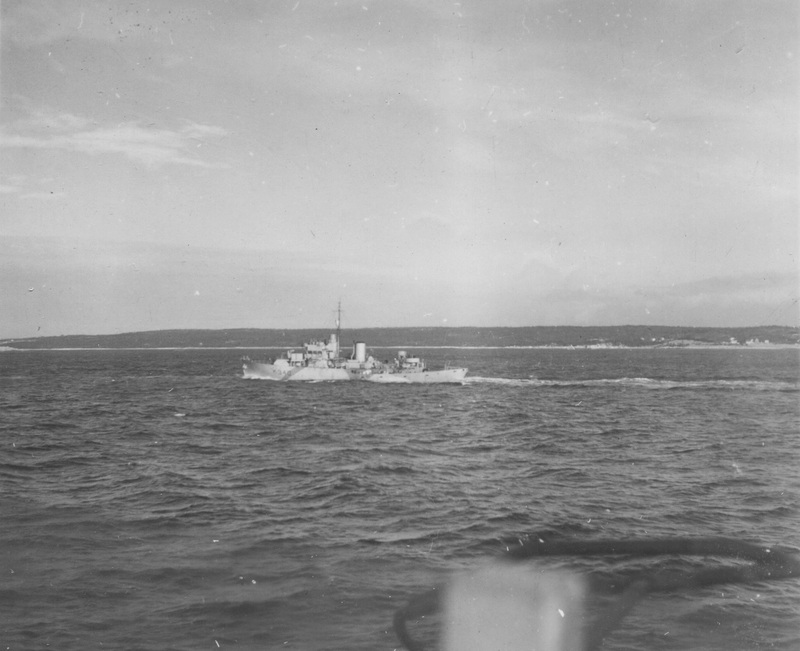 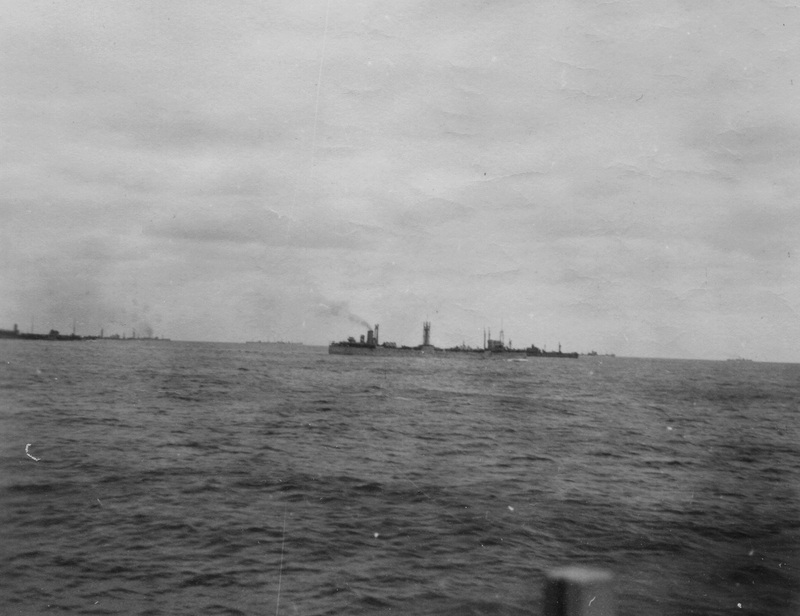 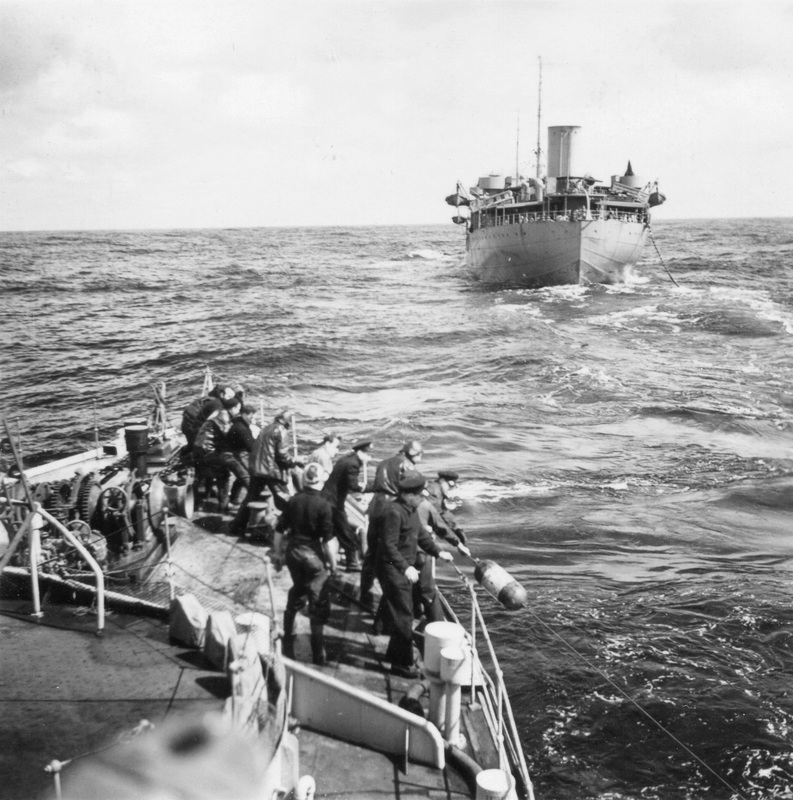 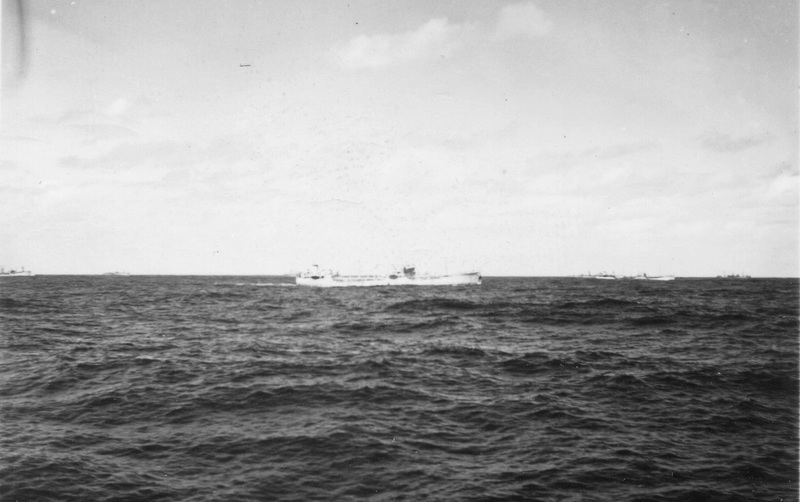 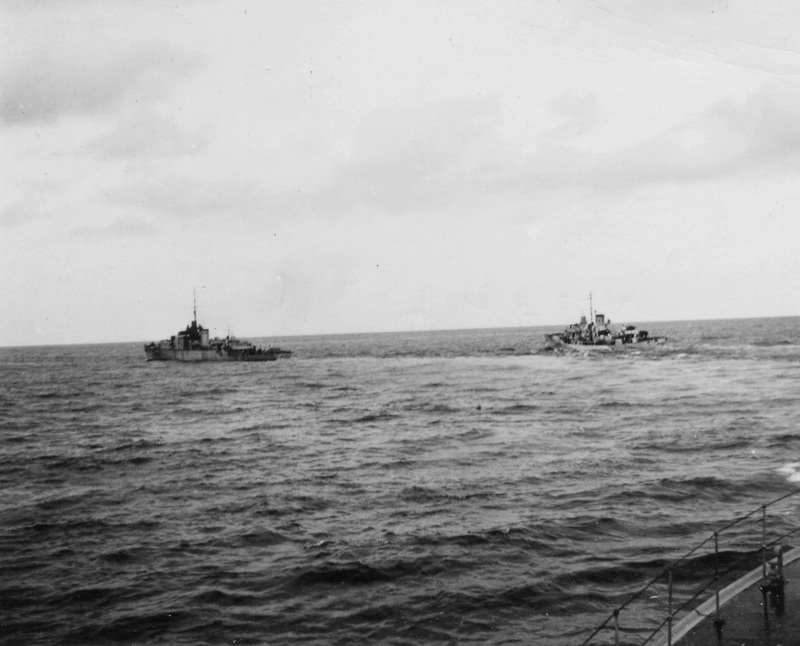 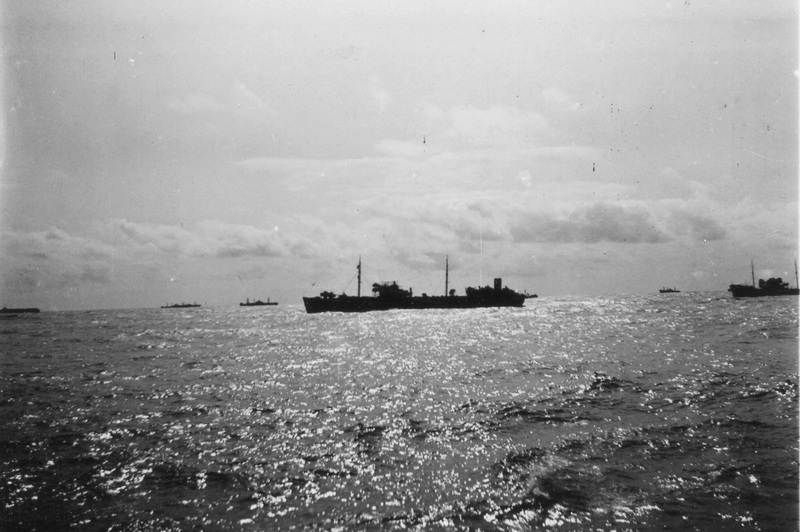 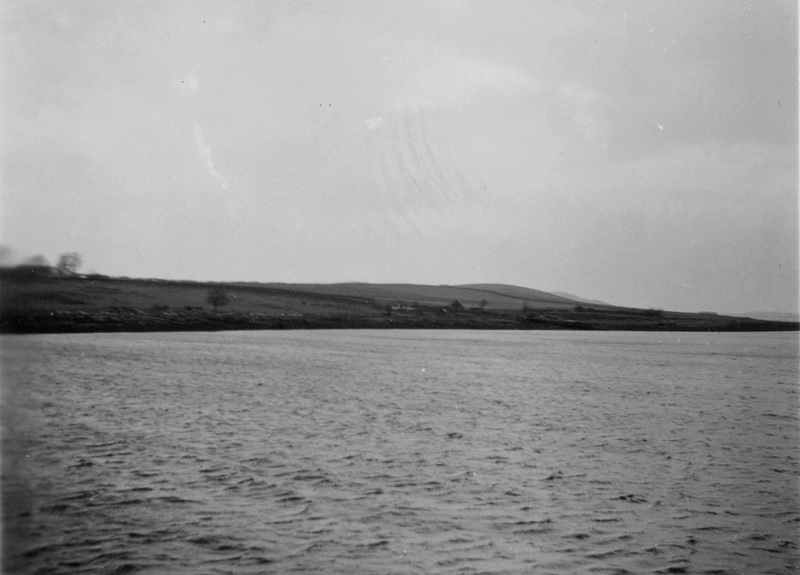 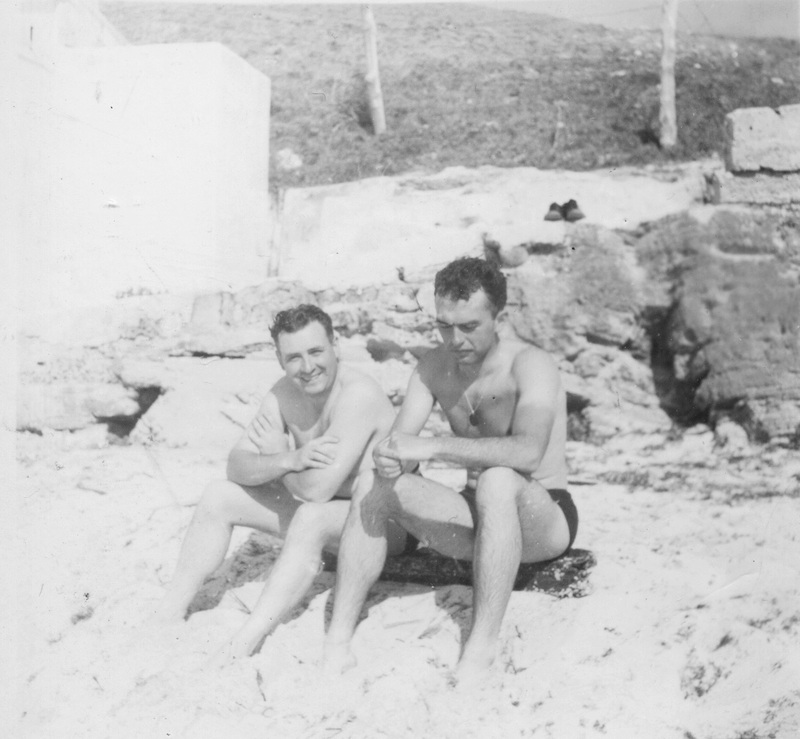 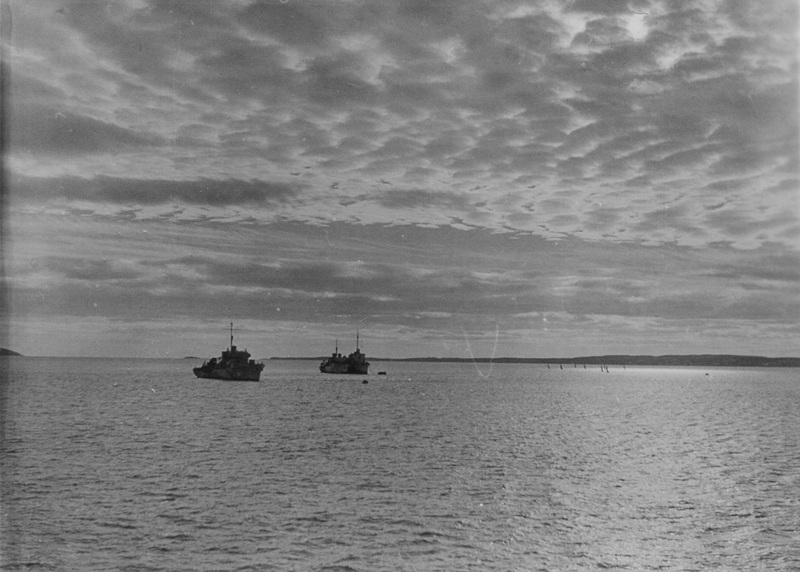 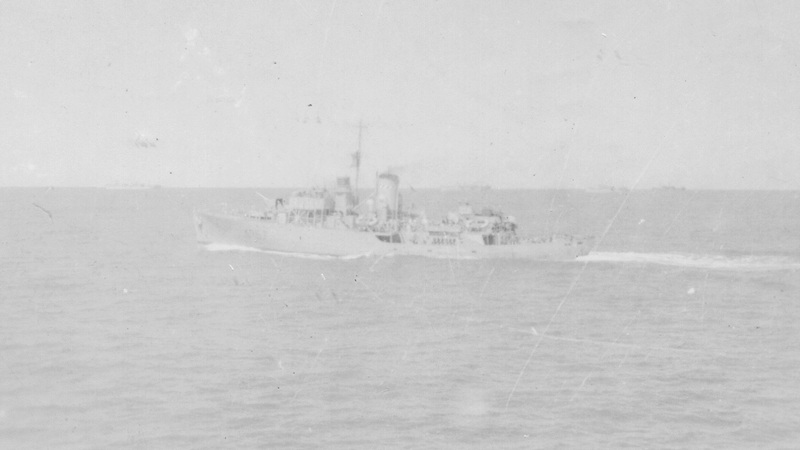 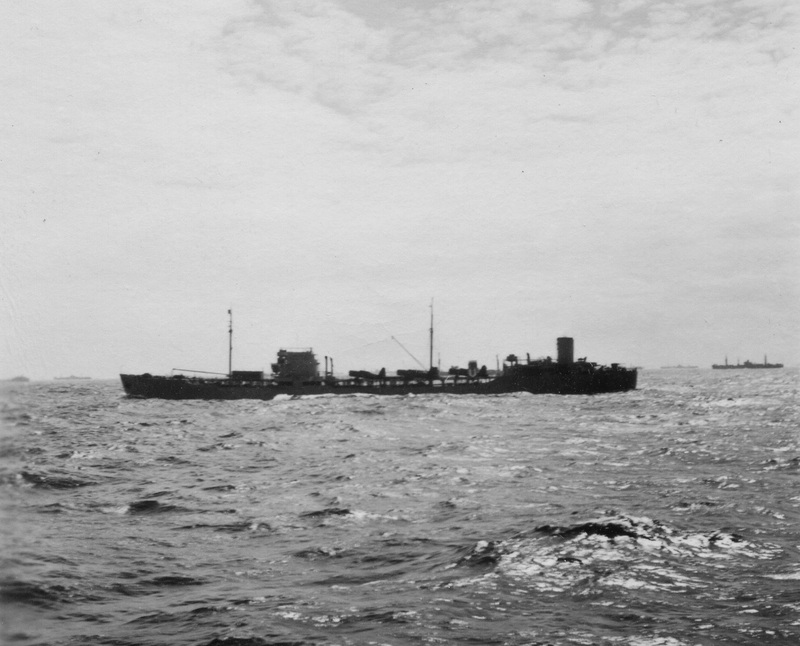 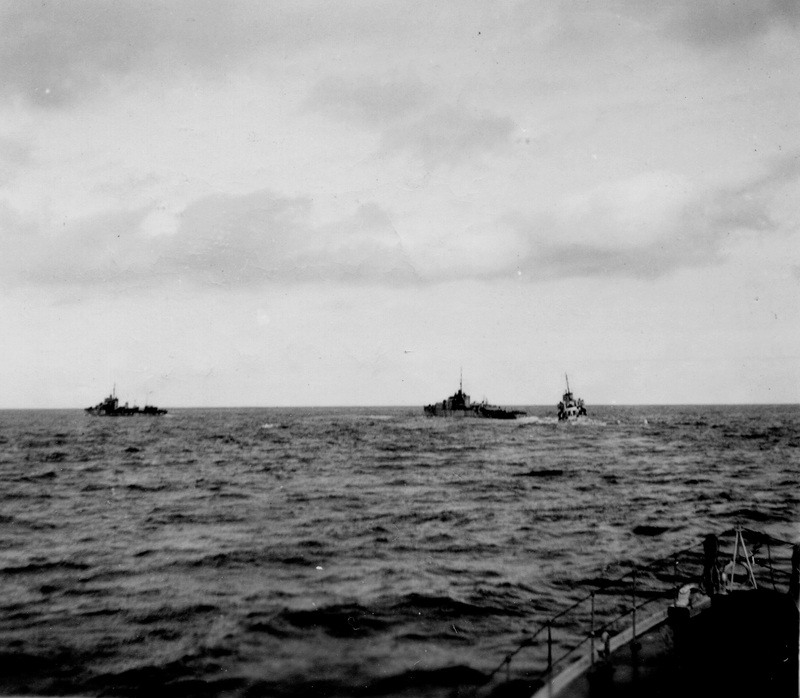 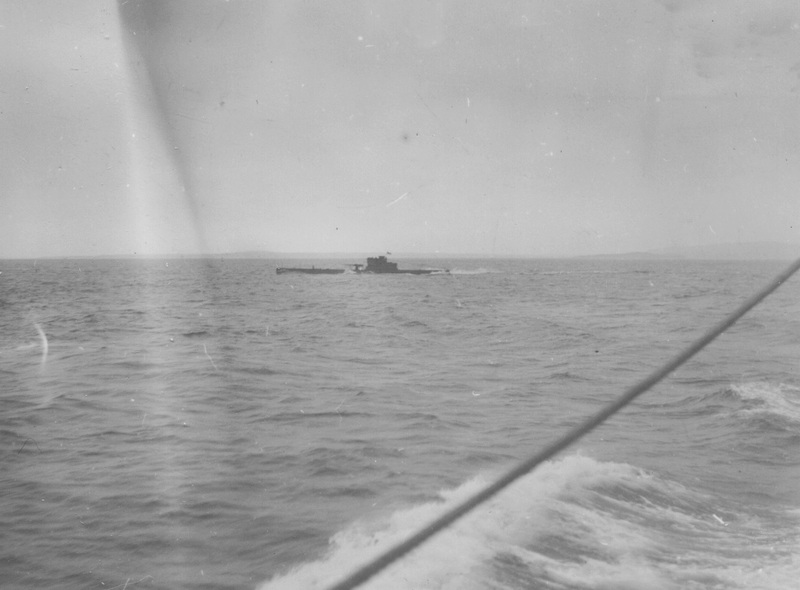 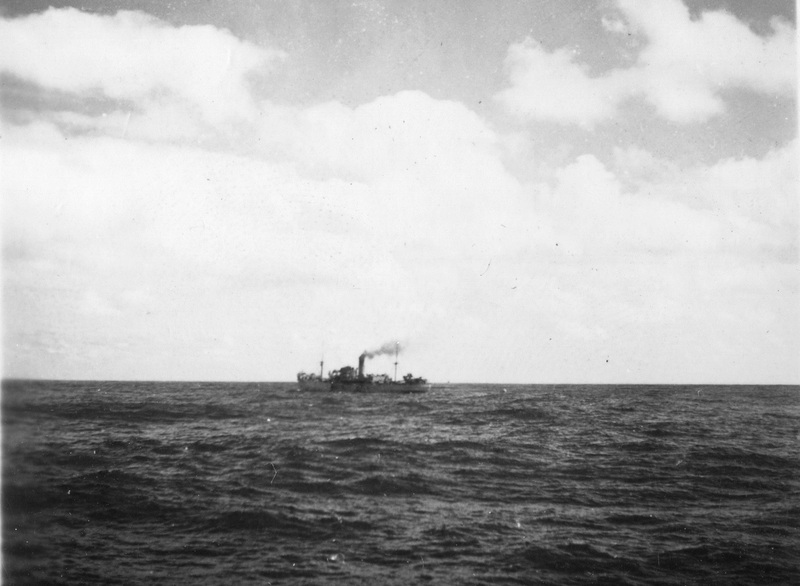 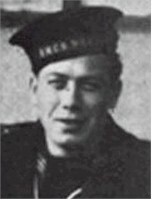 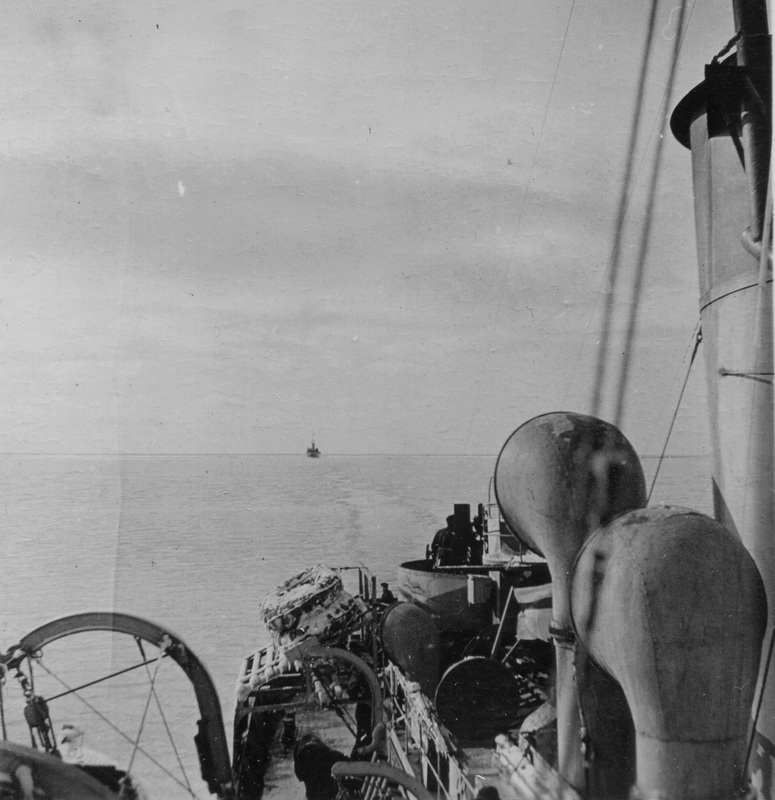 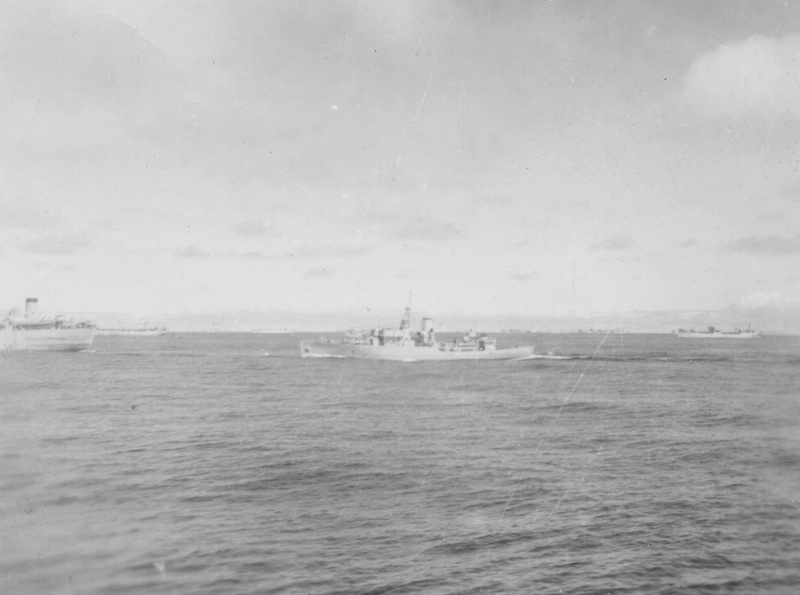 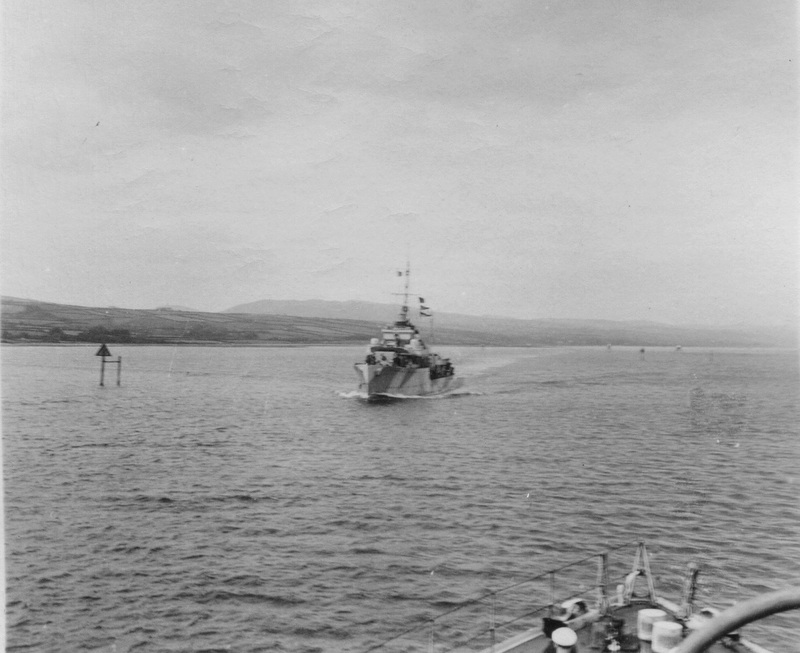 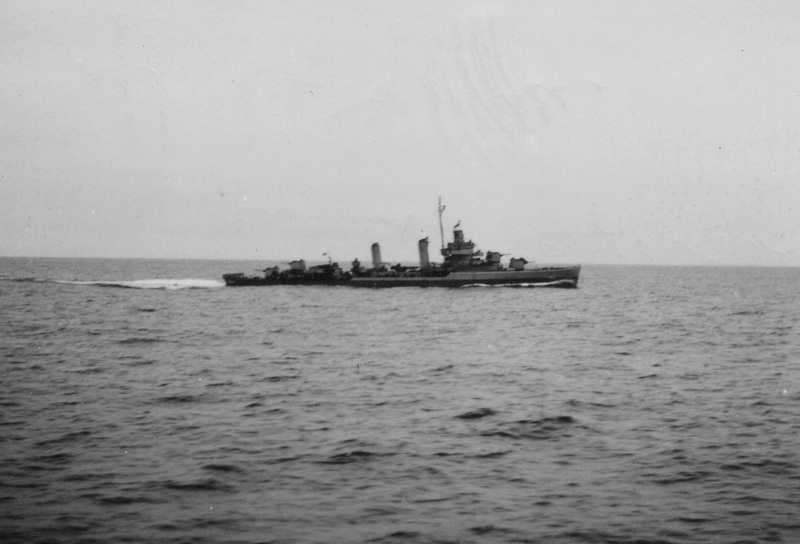 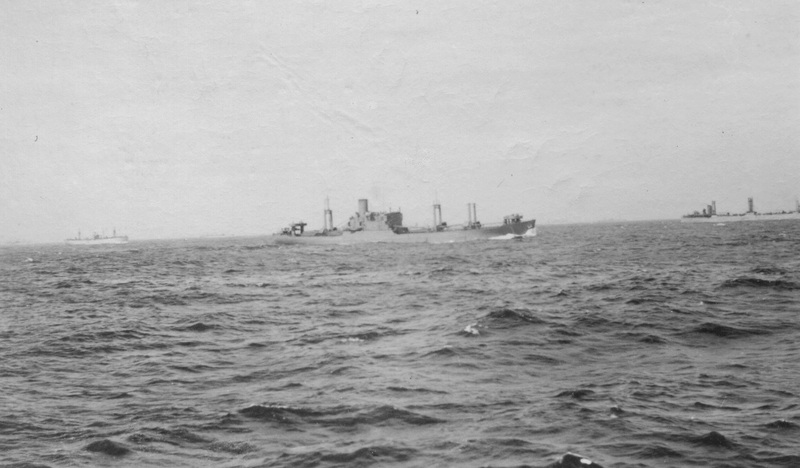 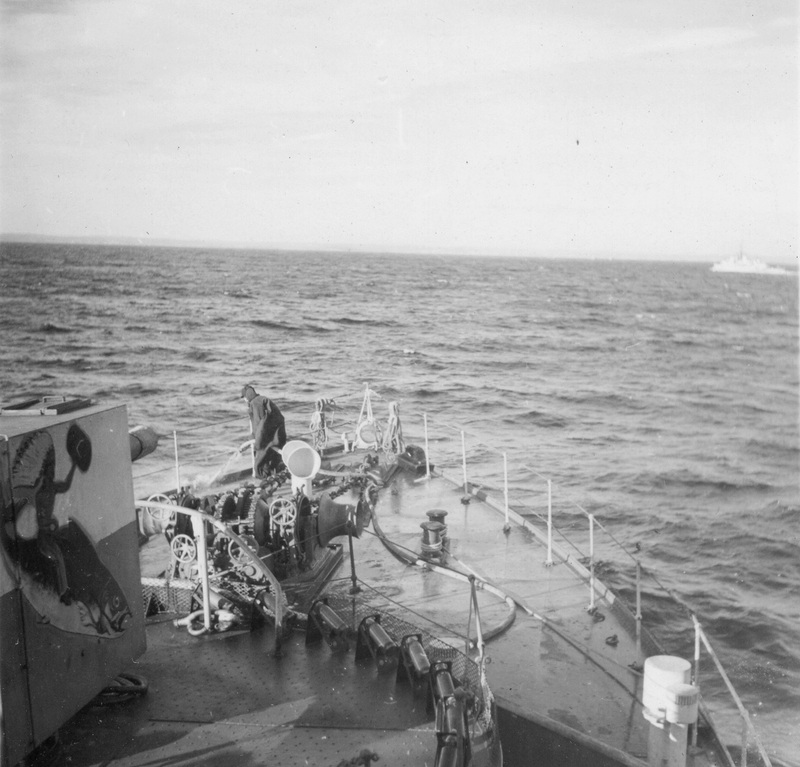 As both convoys were at sea during some point in Apr 1944, they could be from either convoy. 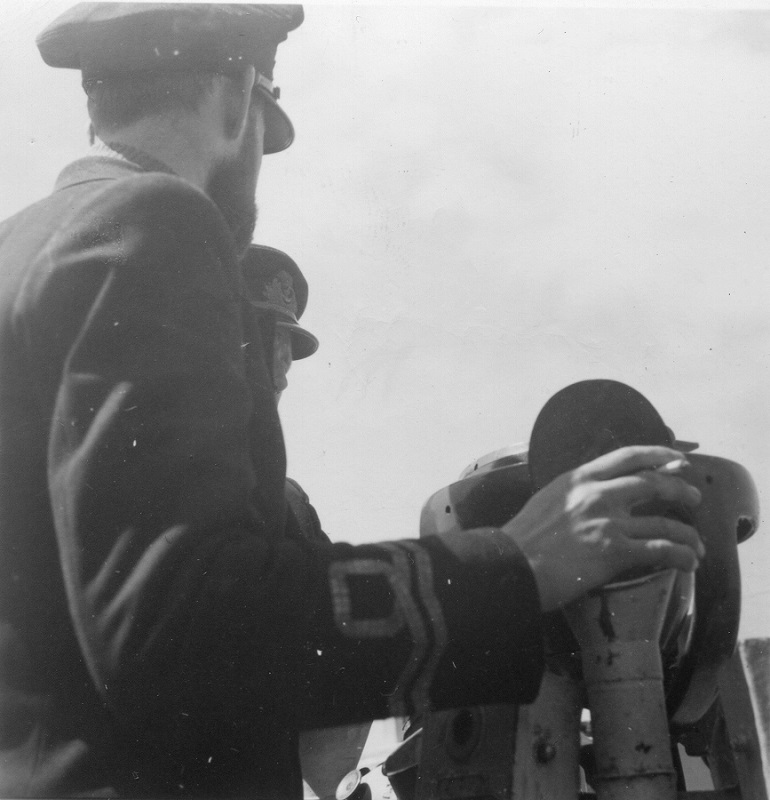 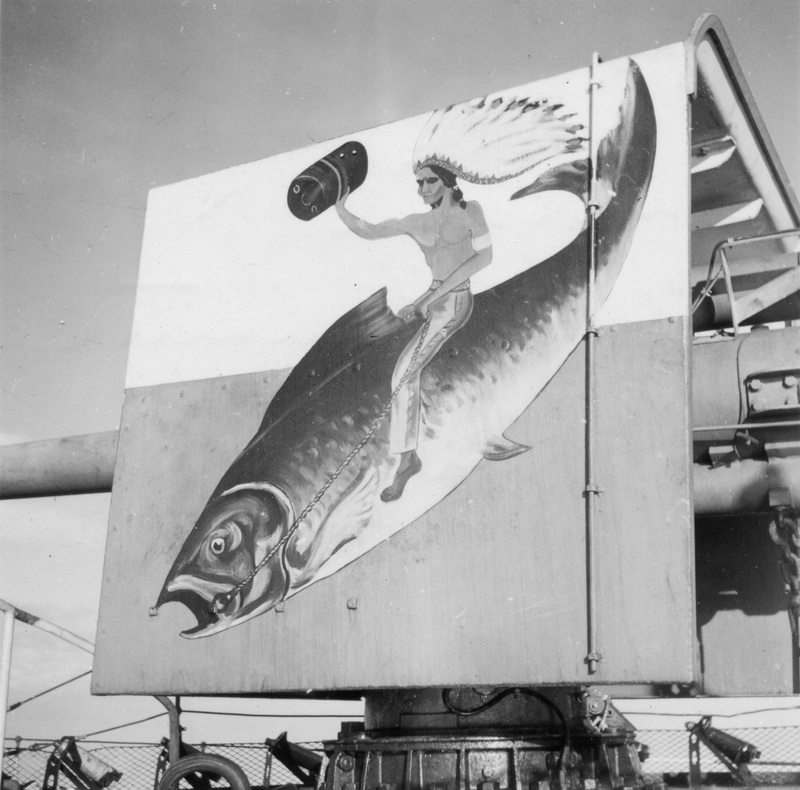 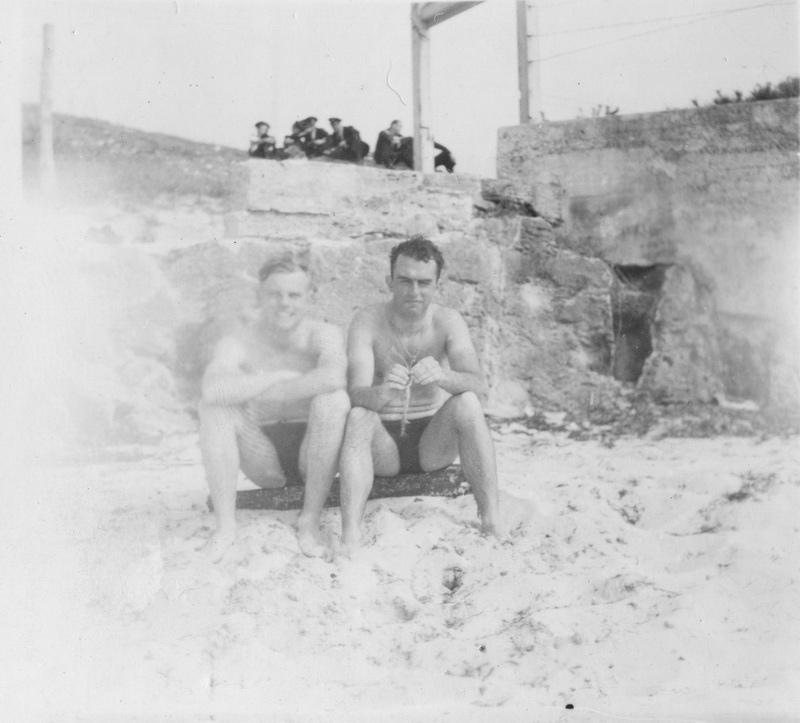 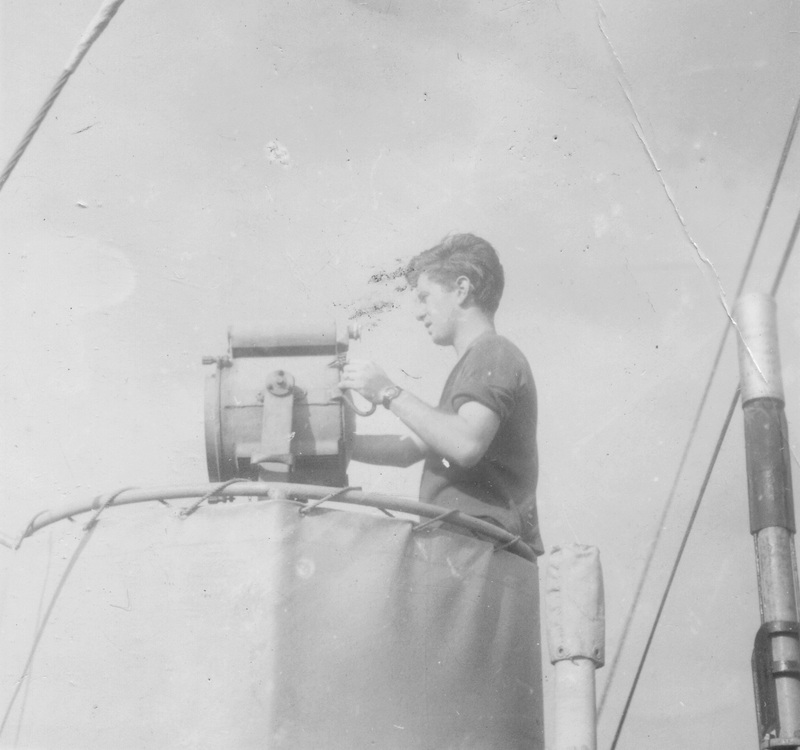 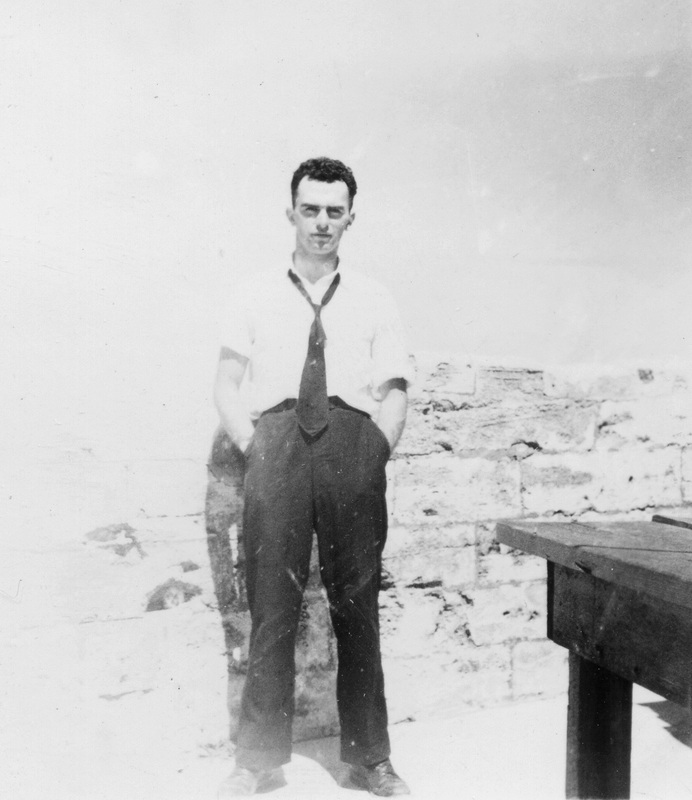 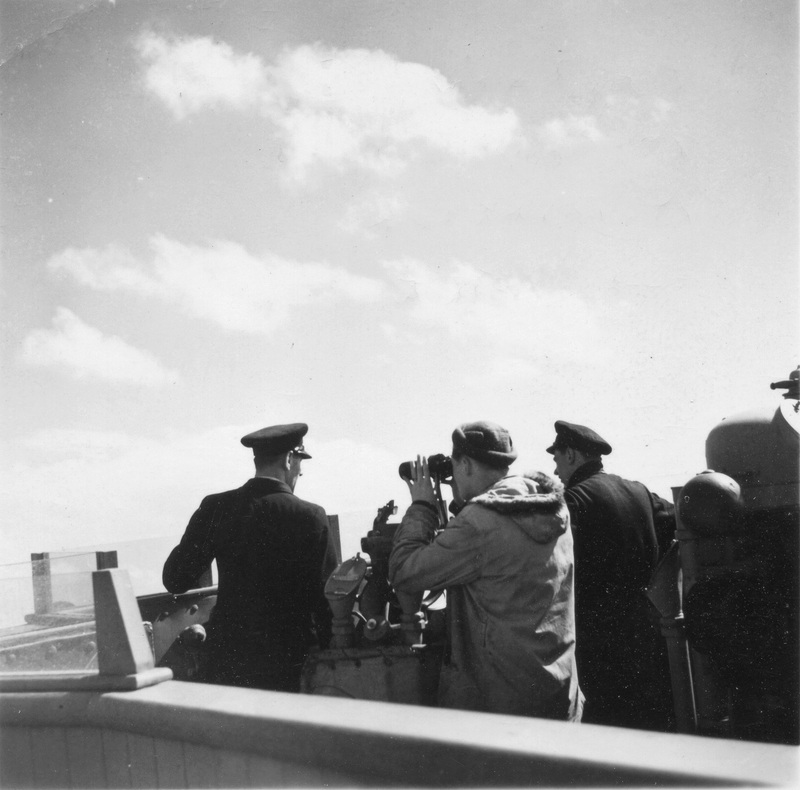 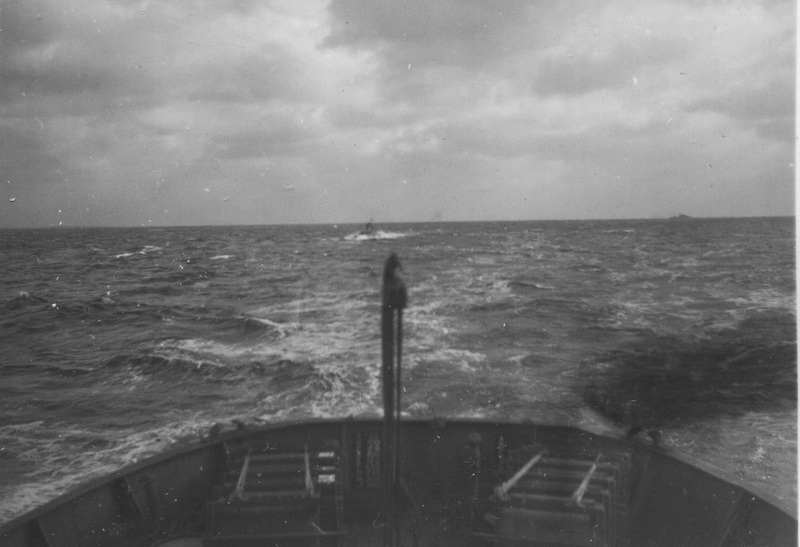 Webmaster's note: This batch of photos was dated 1944 with no indication of month or convoy. 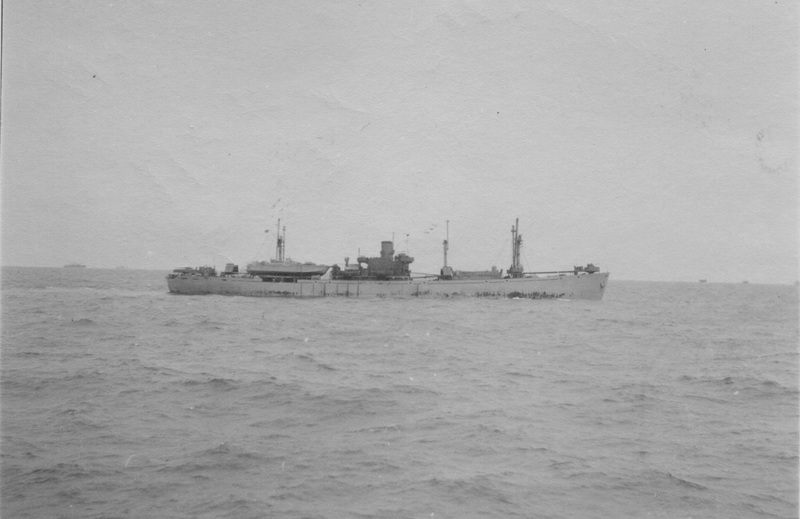 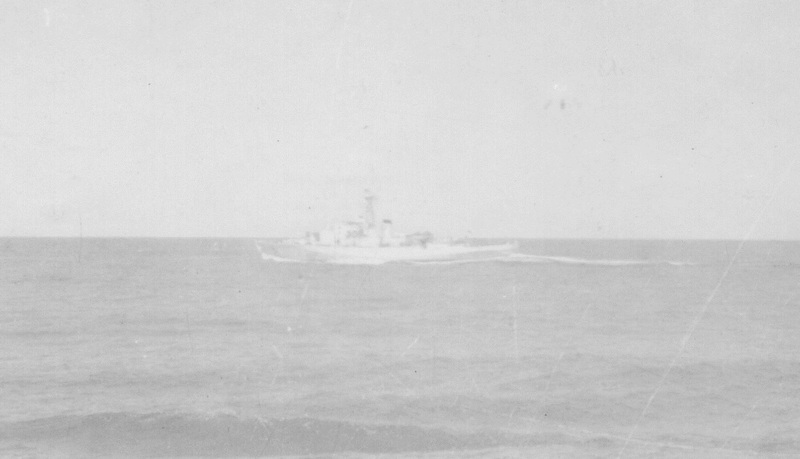 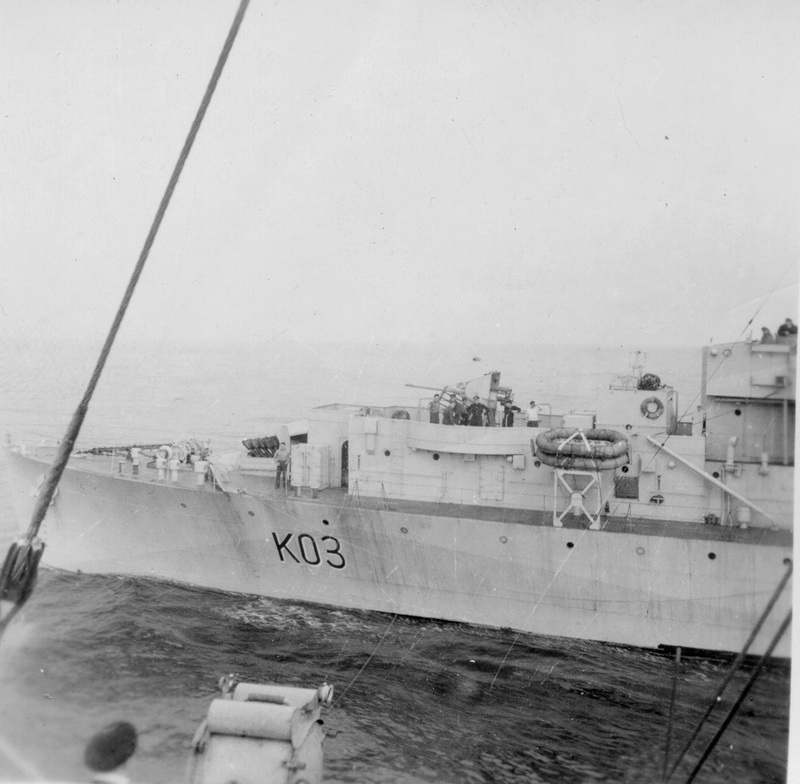 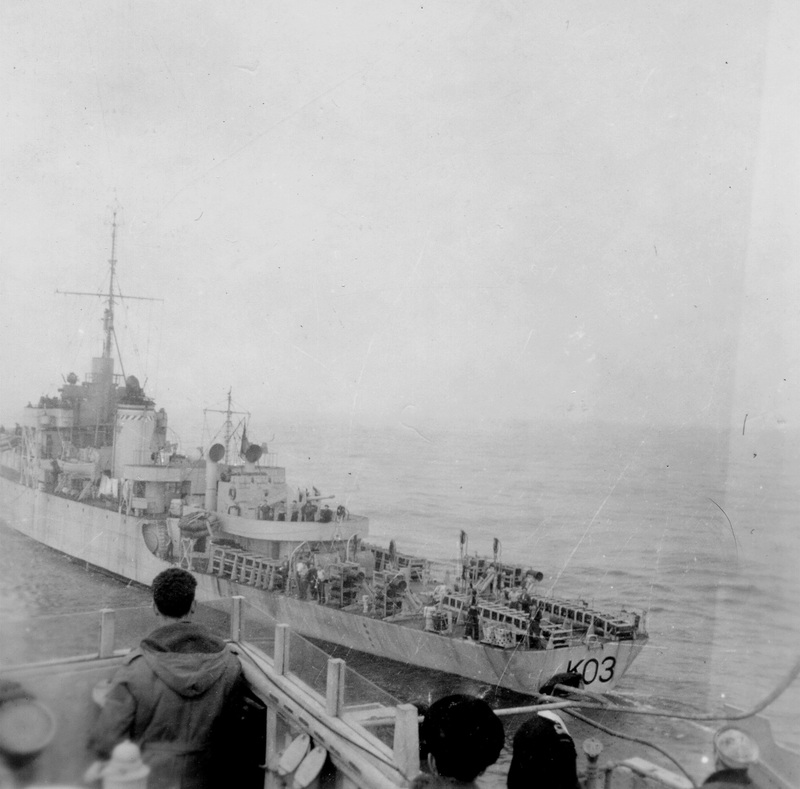 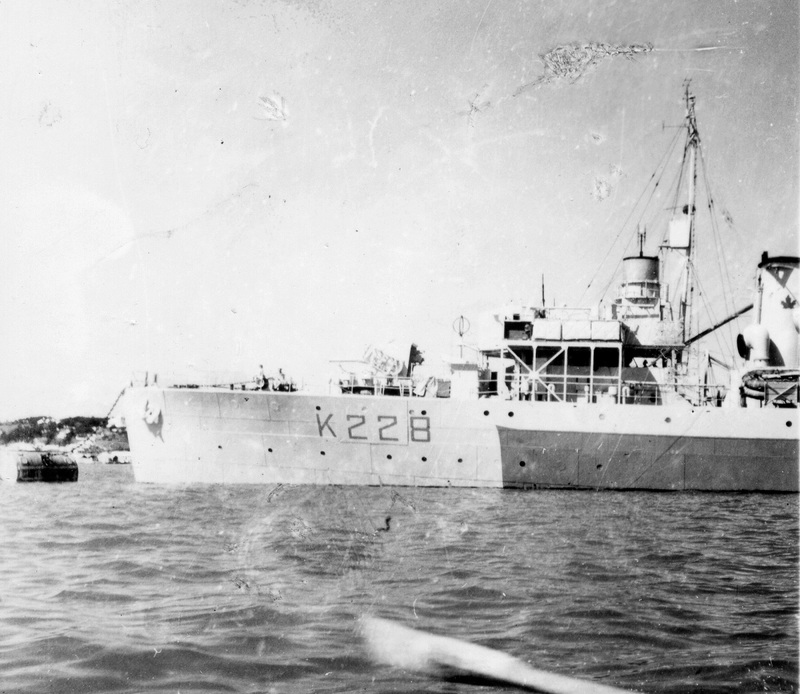 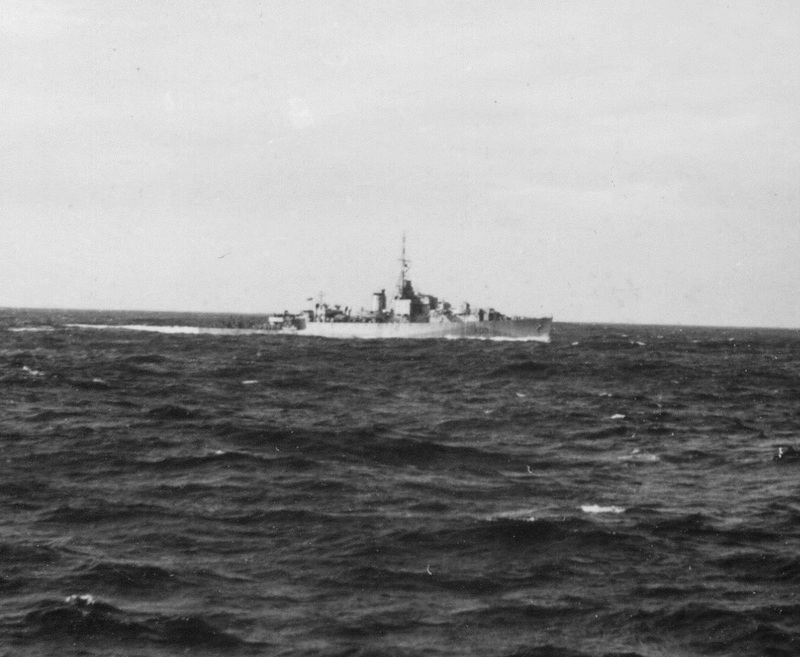 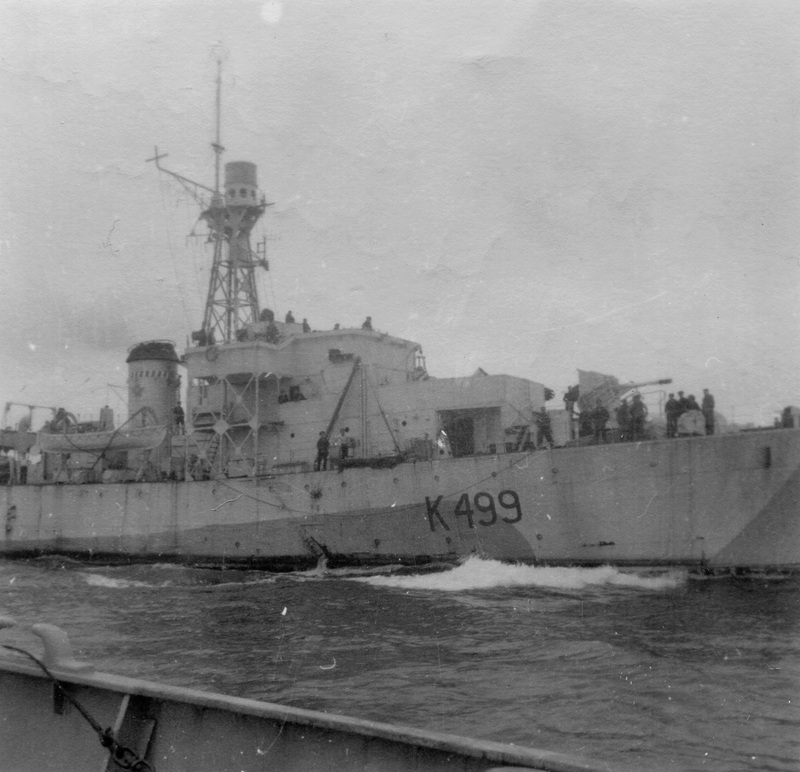 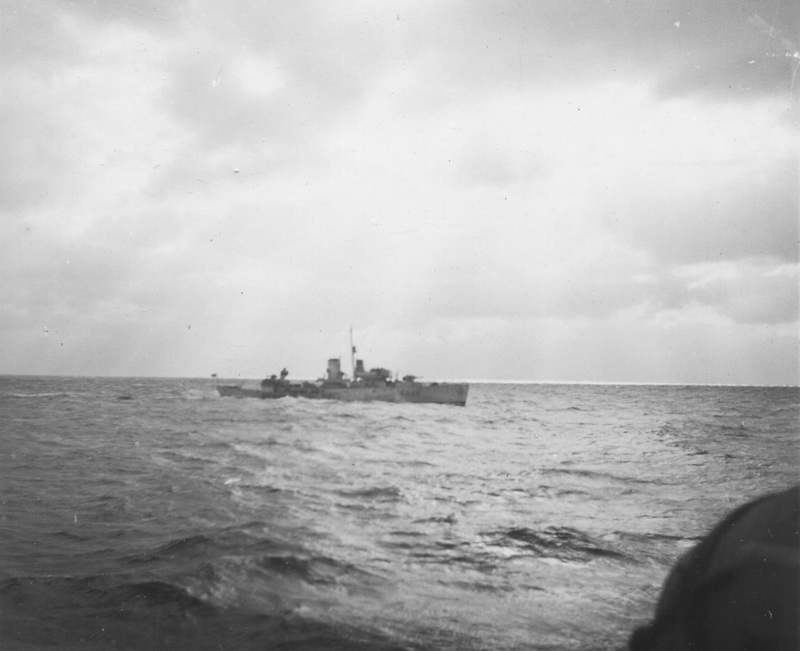 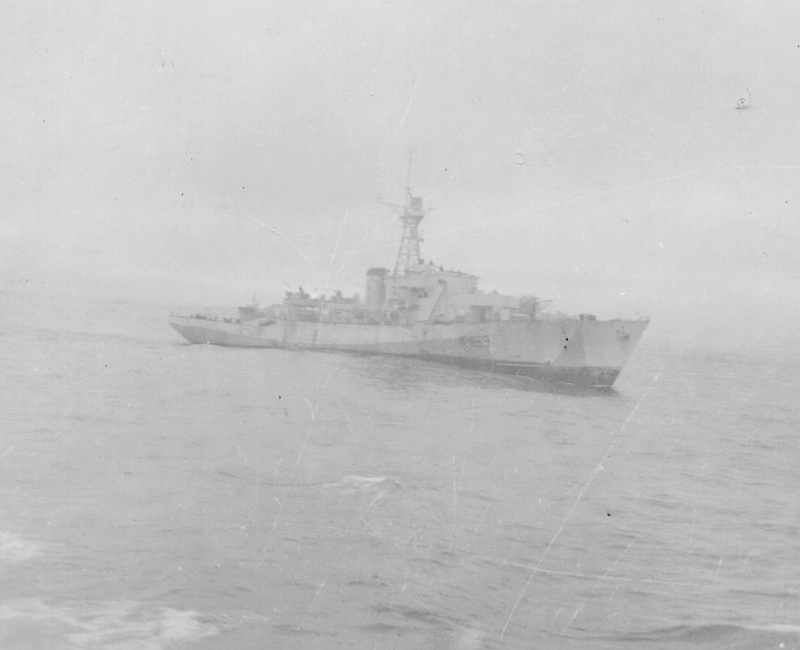 HMCS Hespeler K489 joined EG C5 in Apr 1944 and her first convoy was ON.233 - departing Liverpool on 23 Apr 1944. 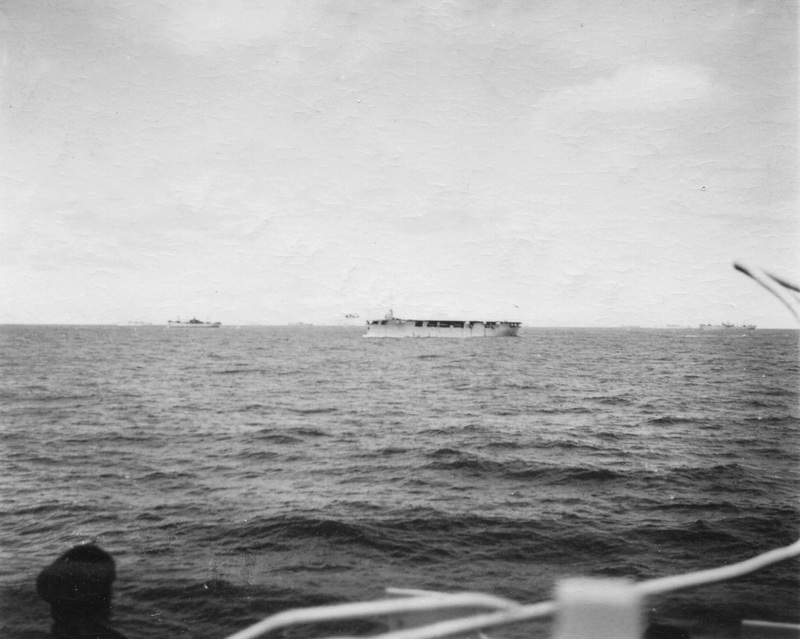 It is not known if these photos are from that convoy or a later convoy. 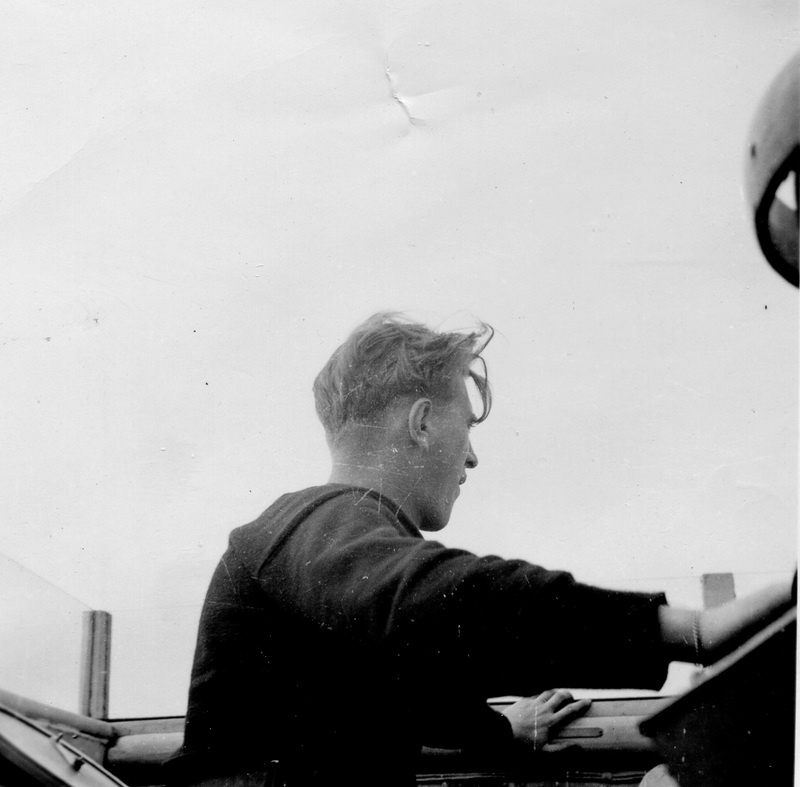 Webmaster's note. 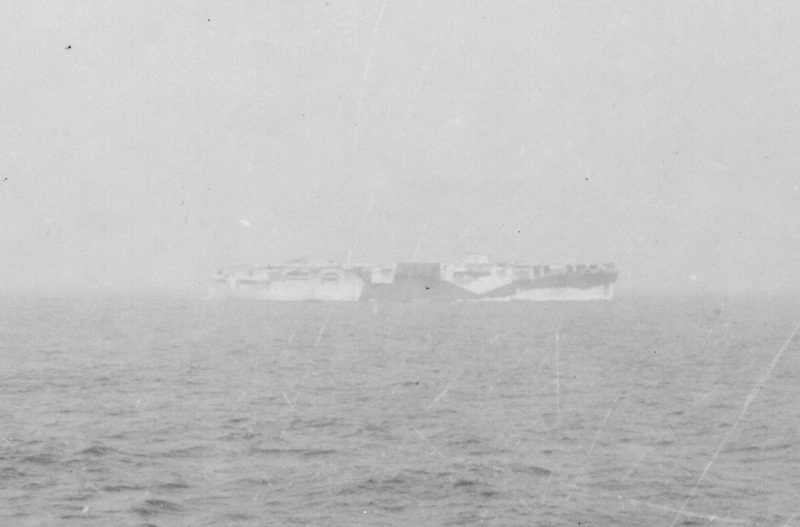 The above photos were in the same batch of photos labeled Convoy HX.290 and Convoy ON.238. 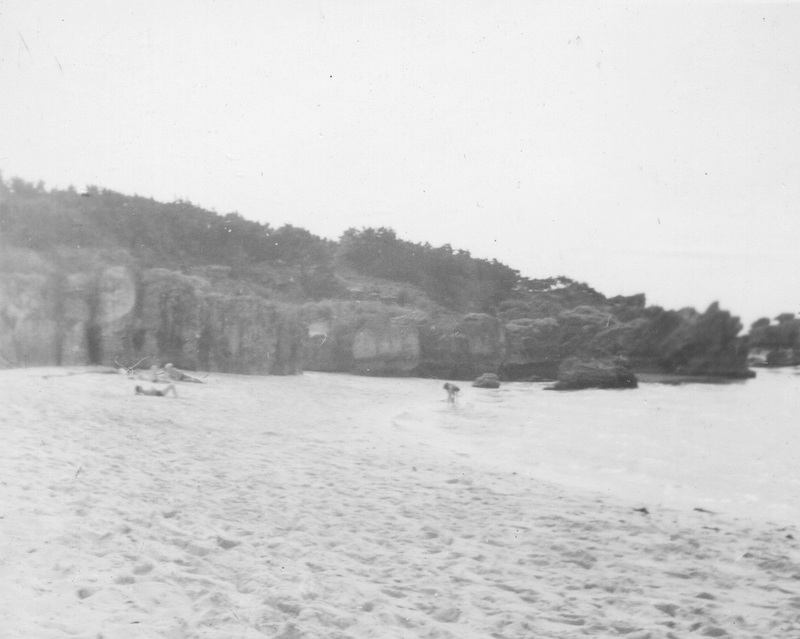 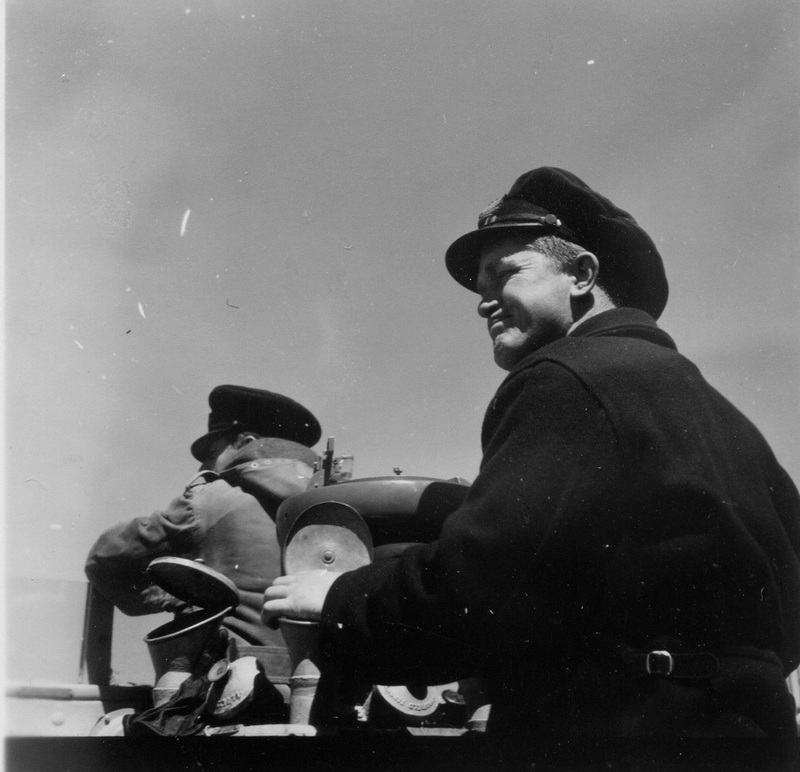 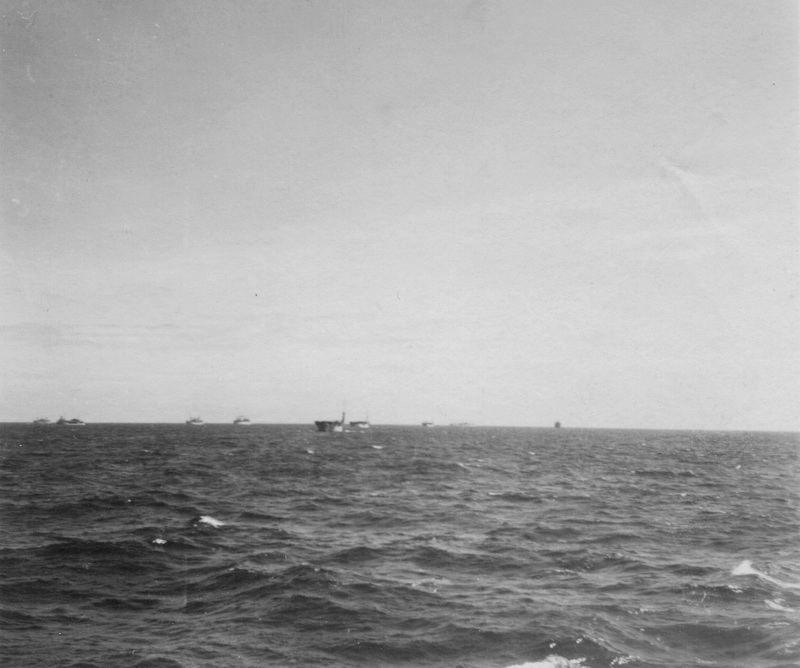 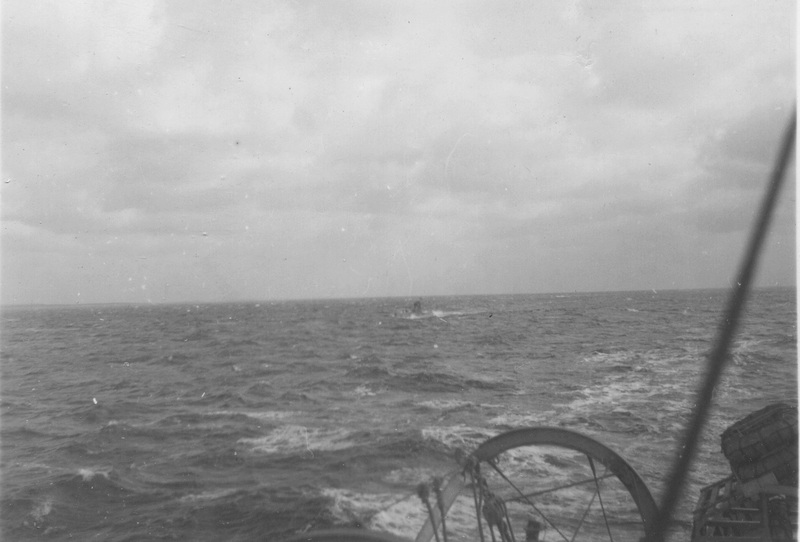 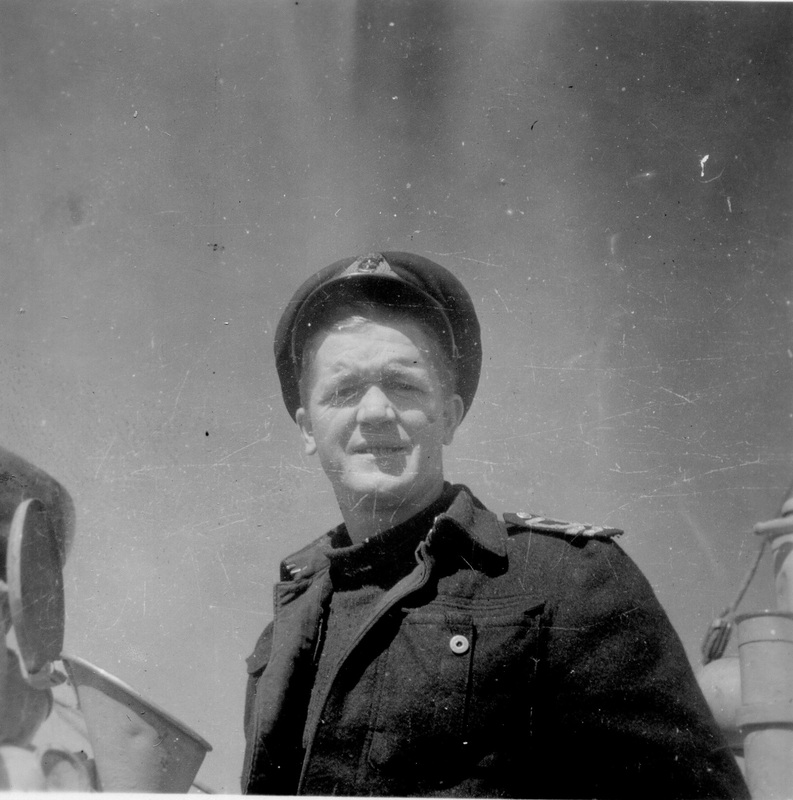 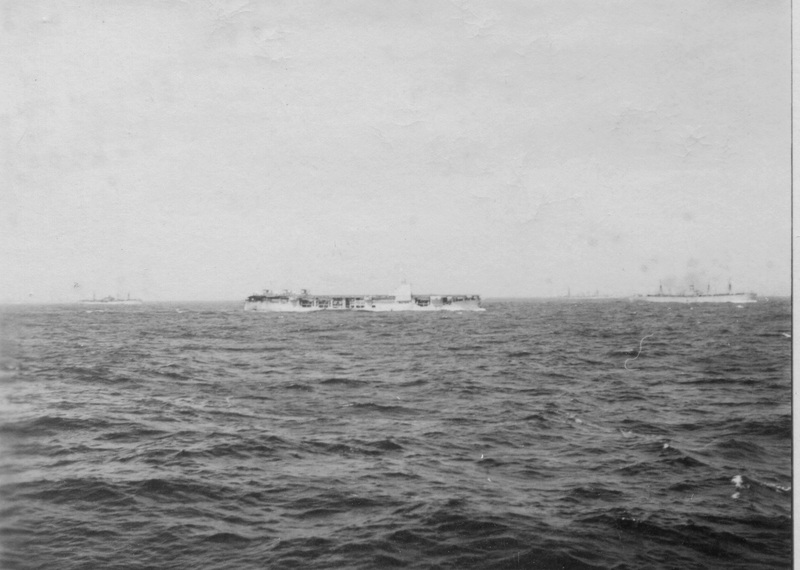 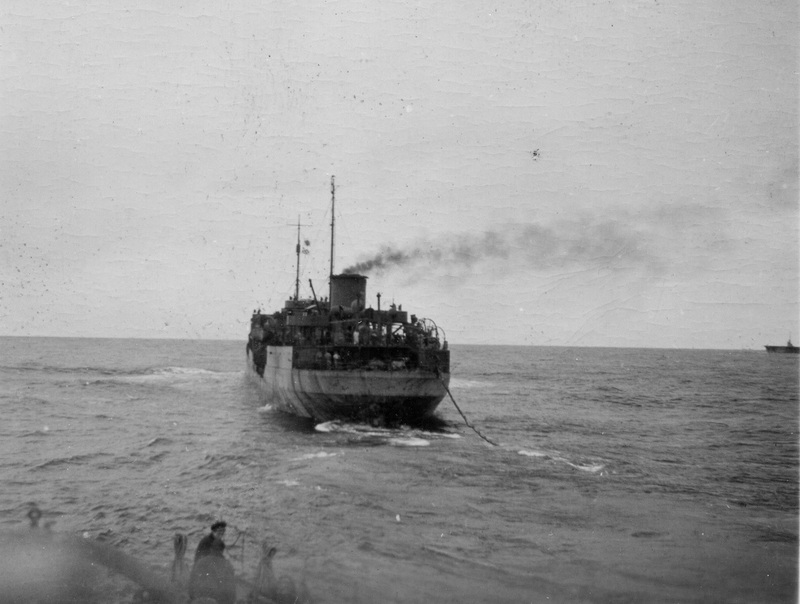 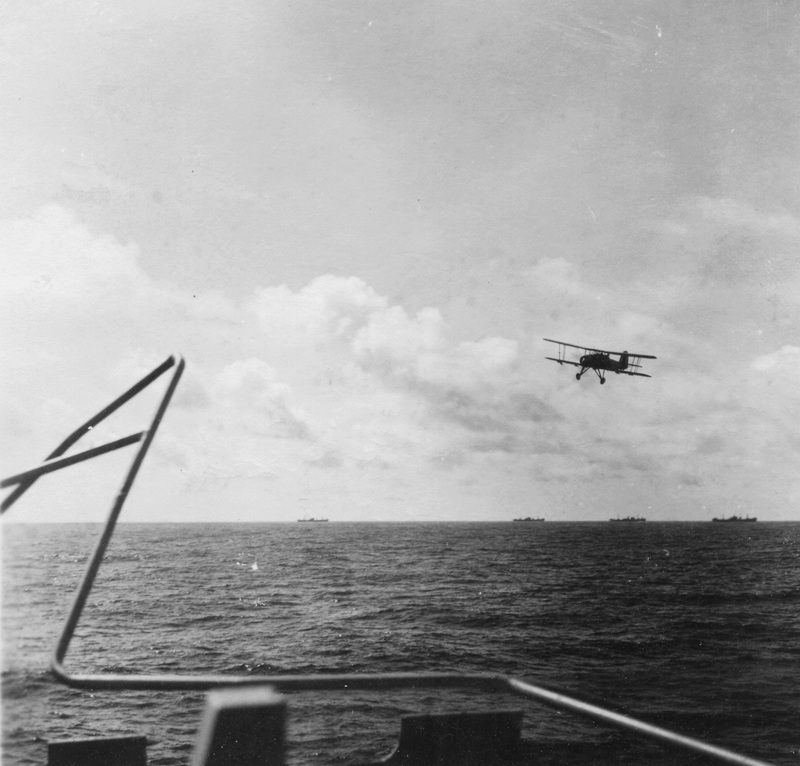 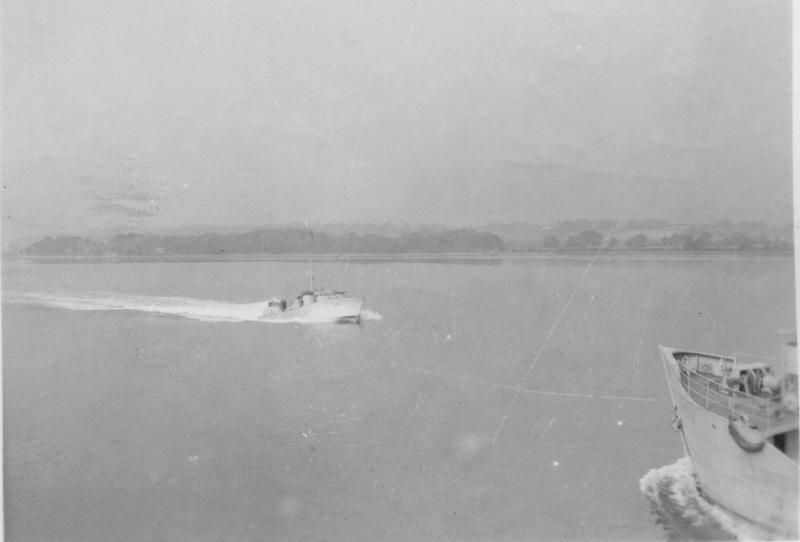 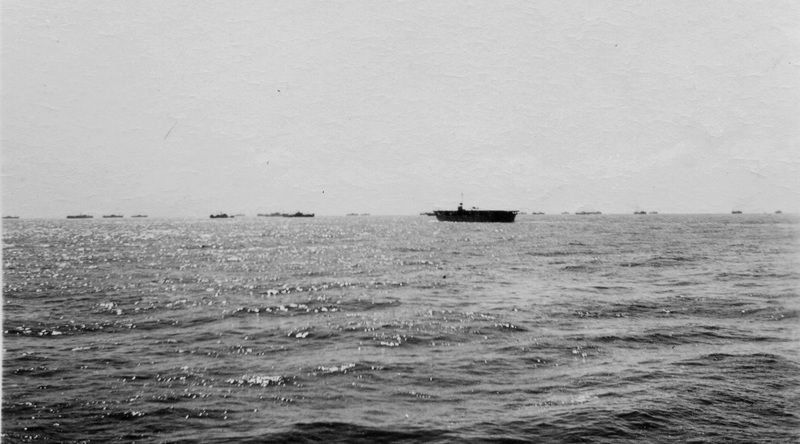 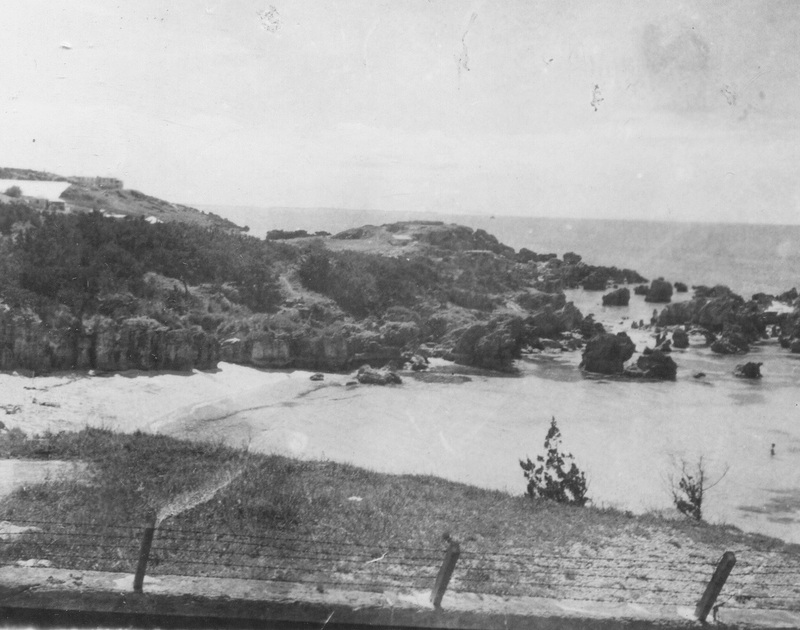 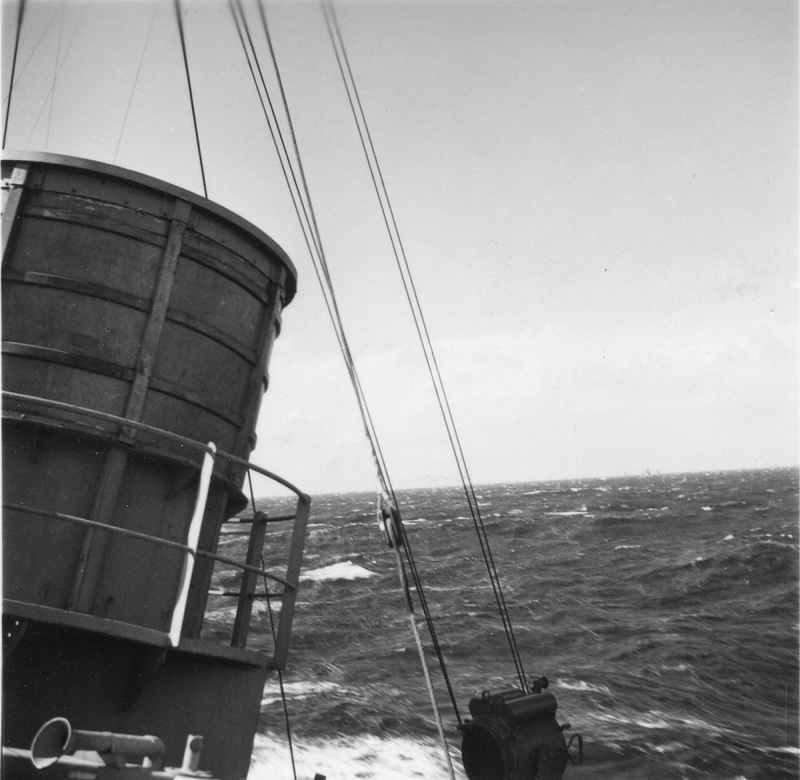 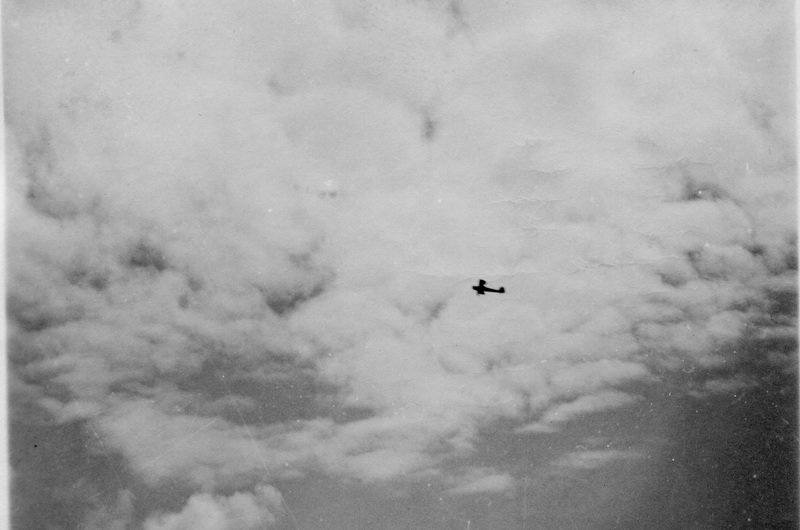 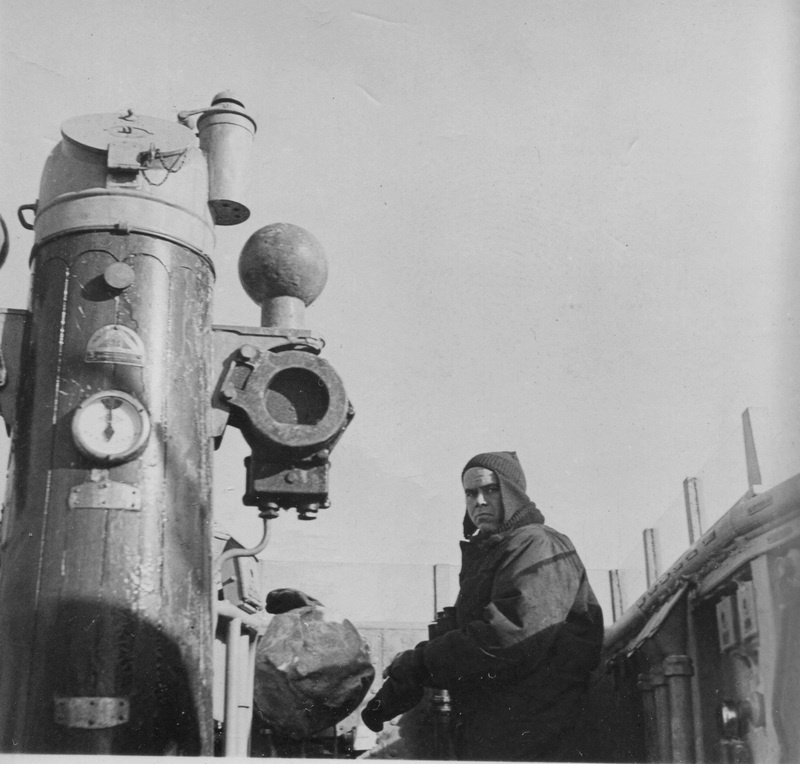 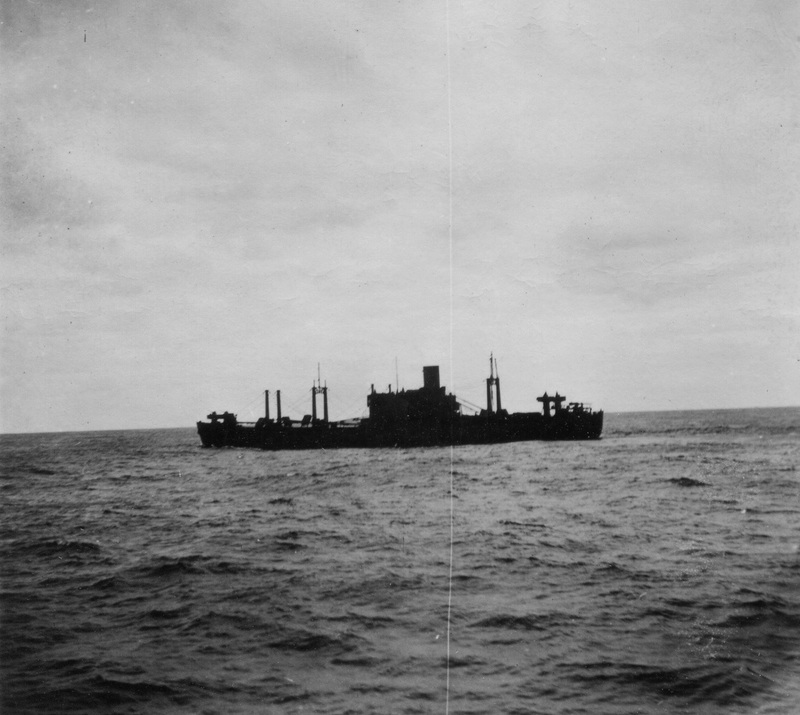 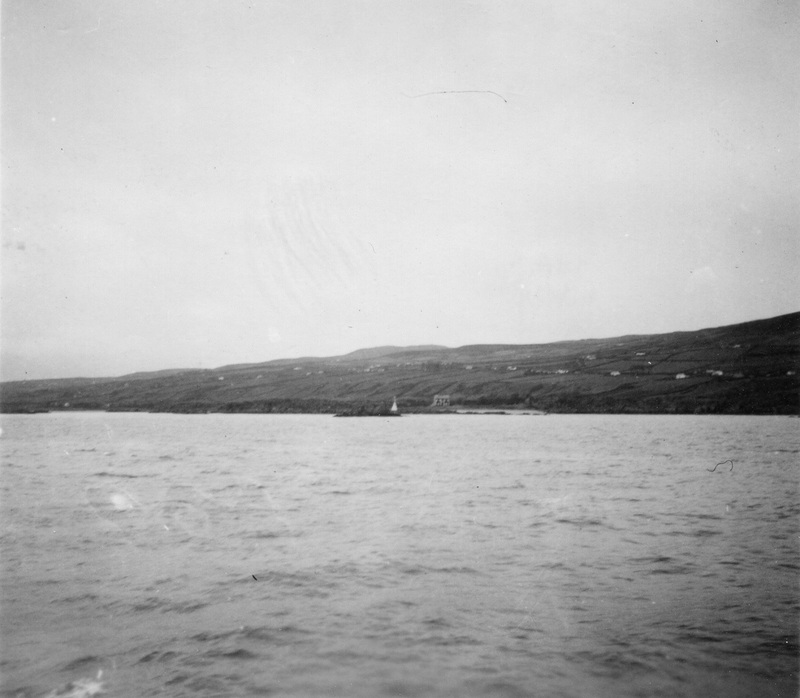 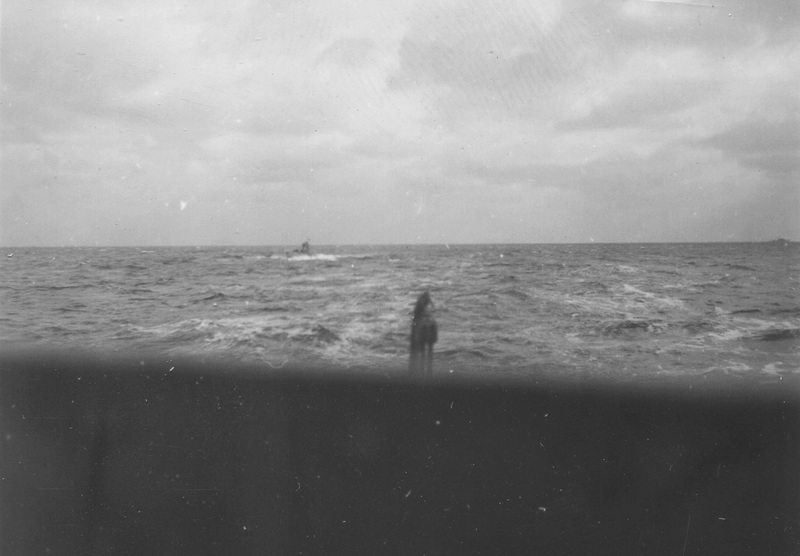 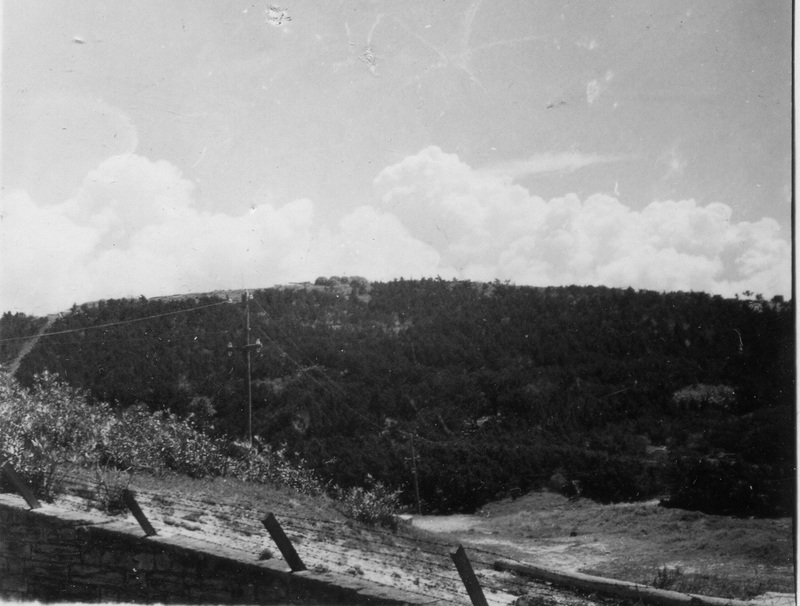 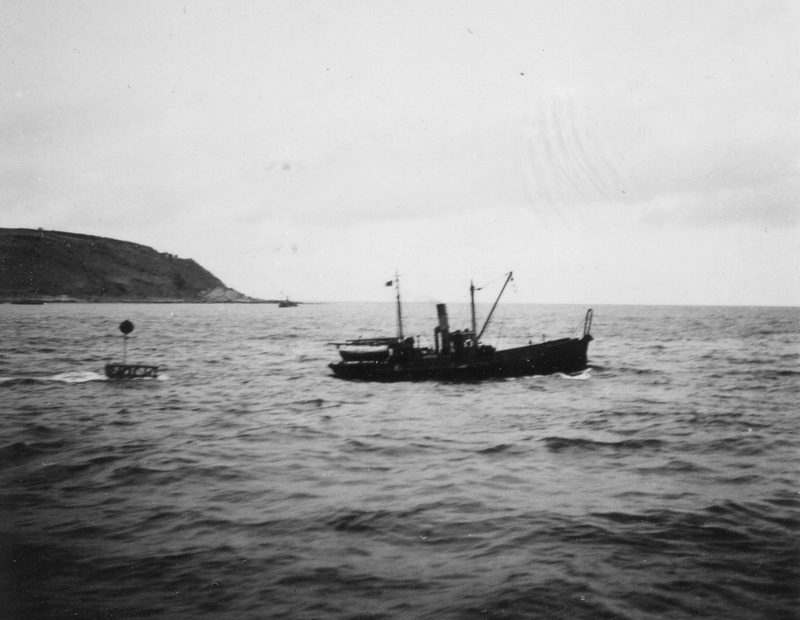 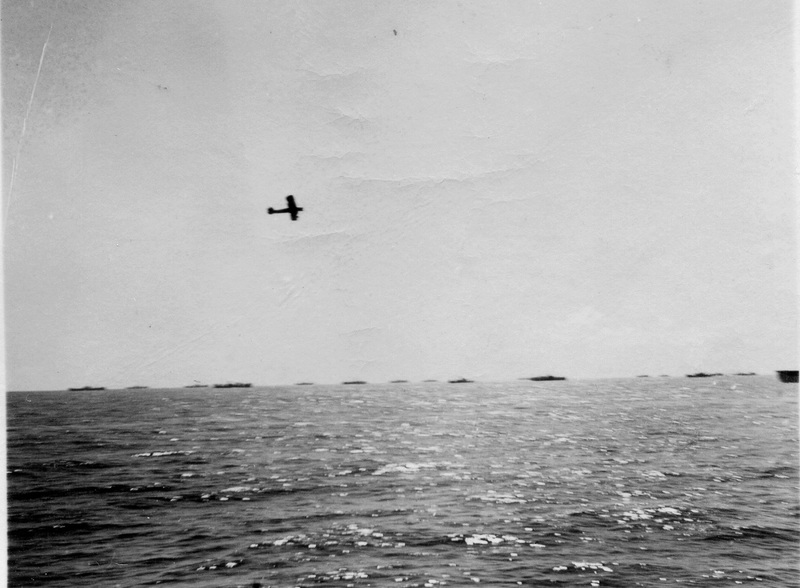 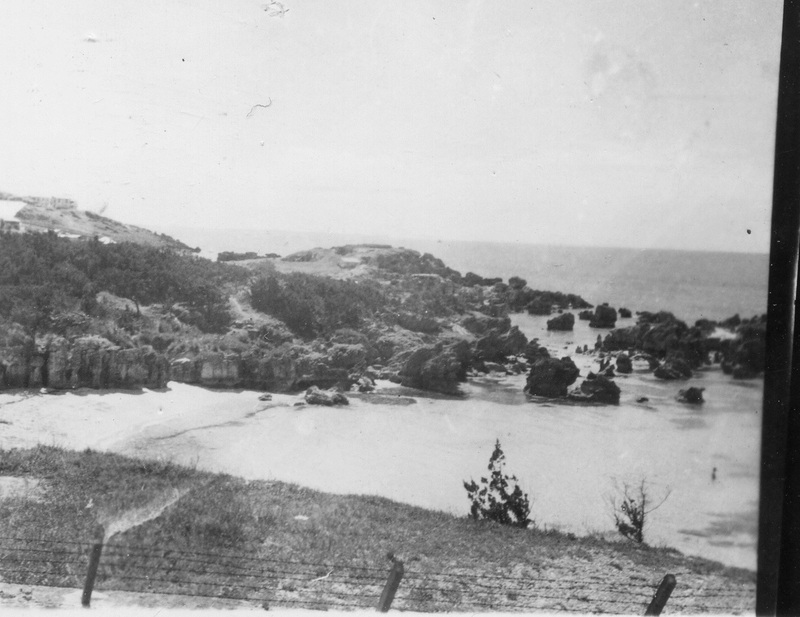 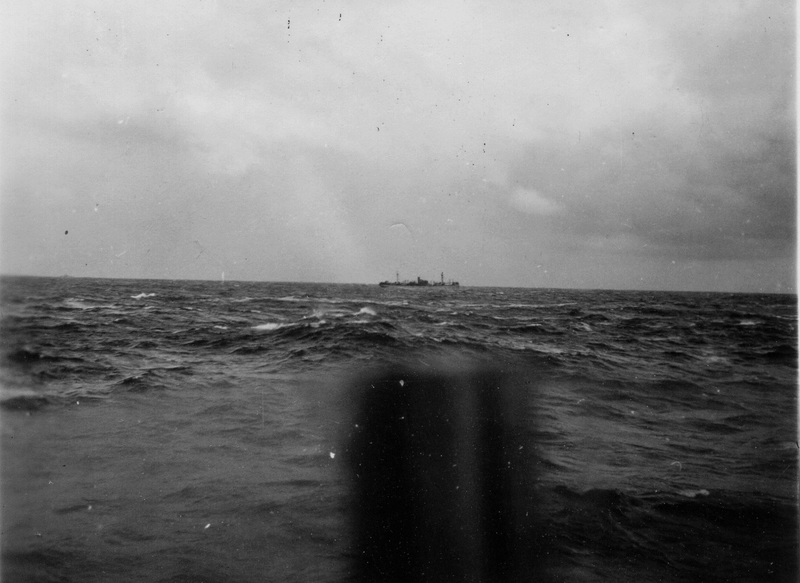 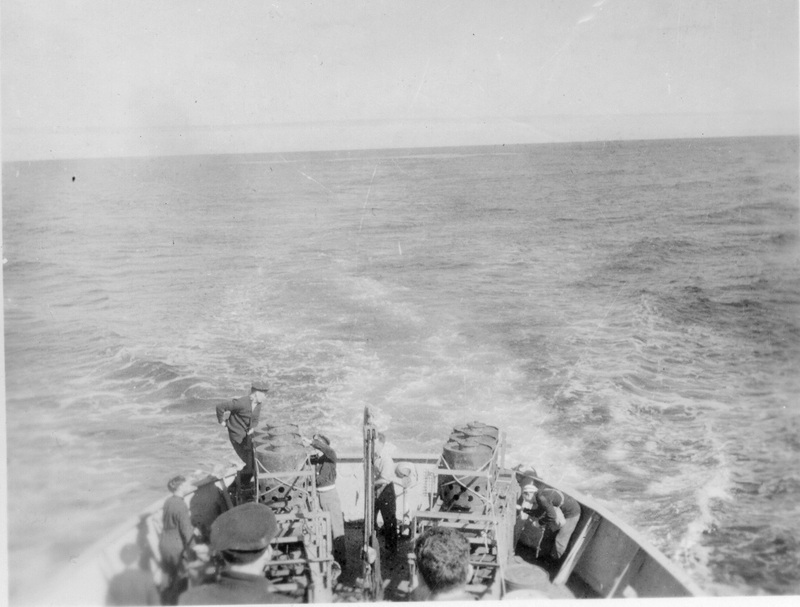 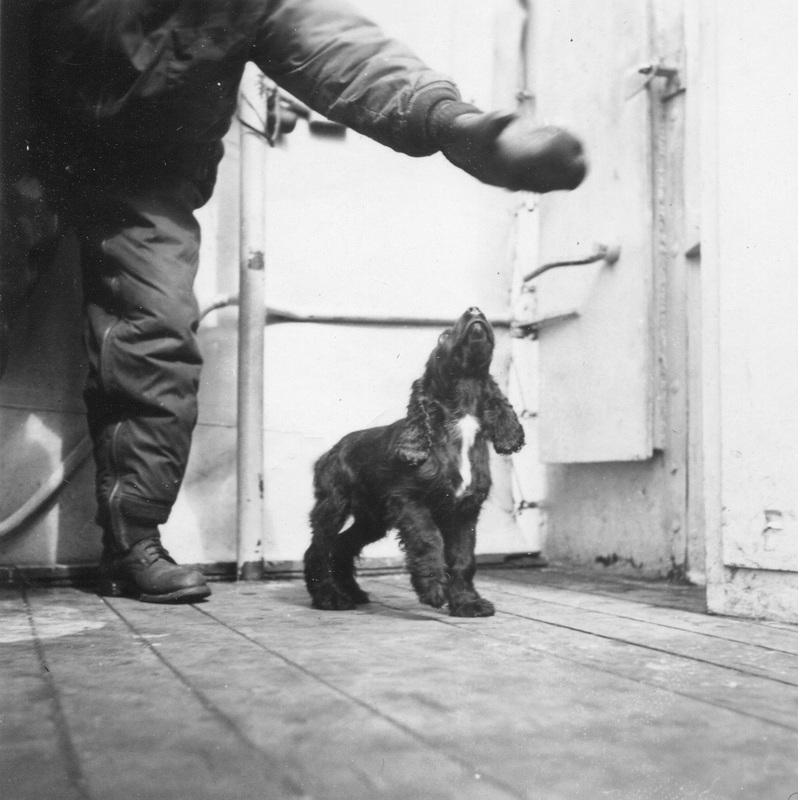 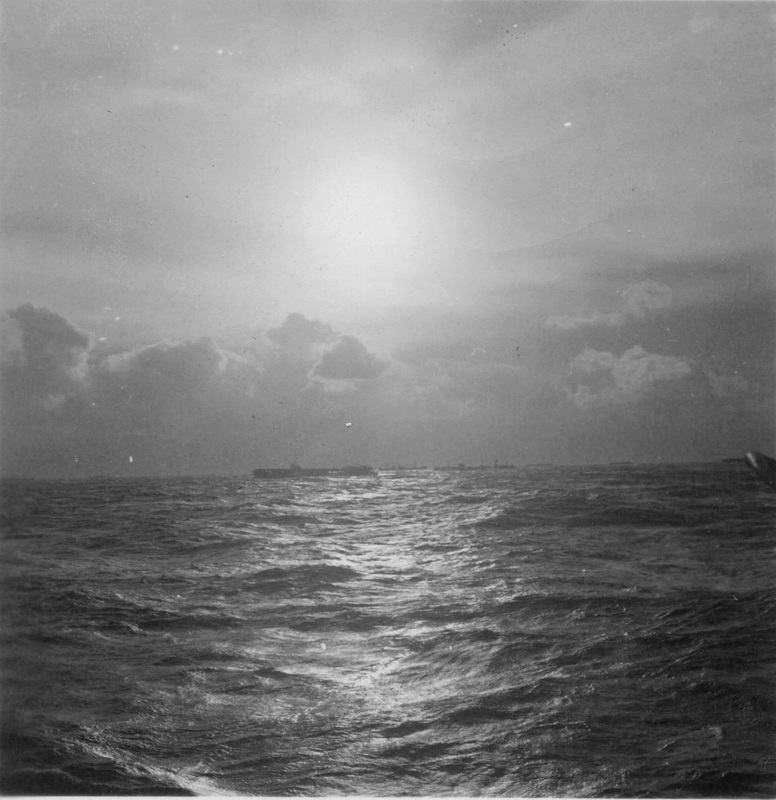 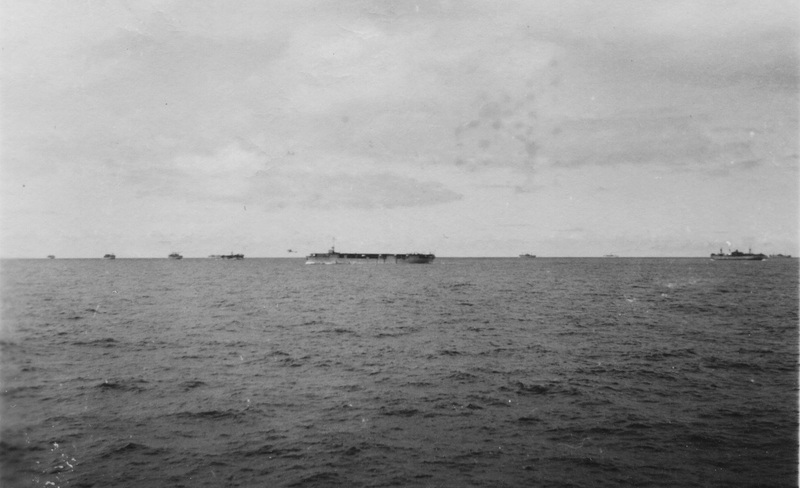 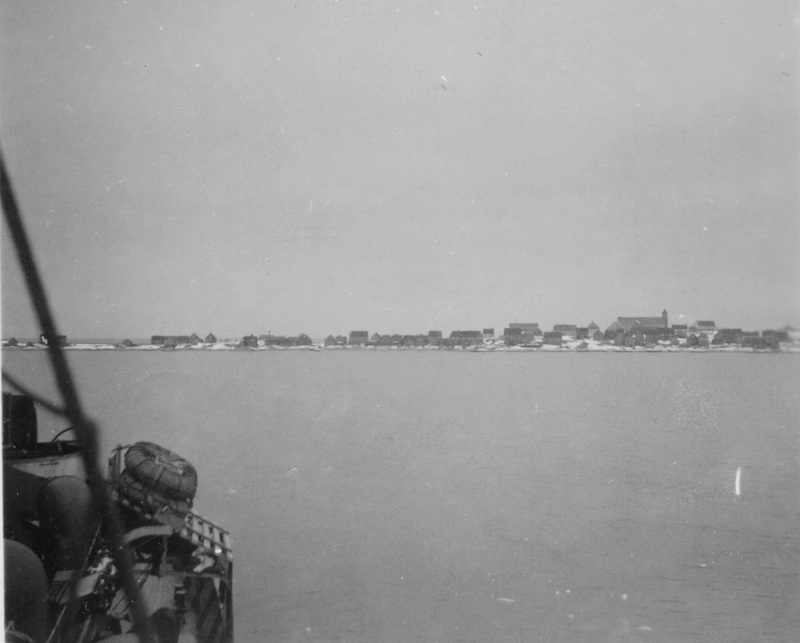 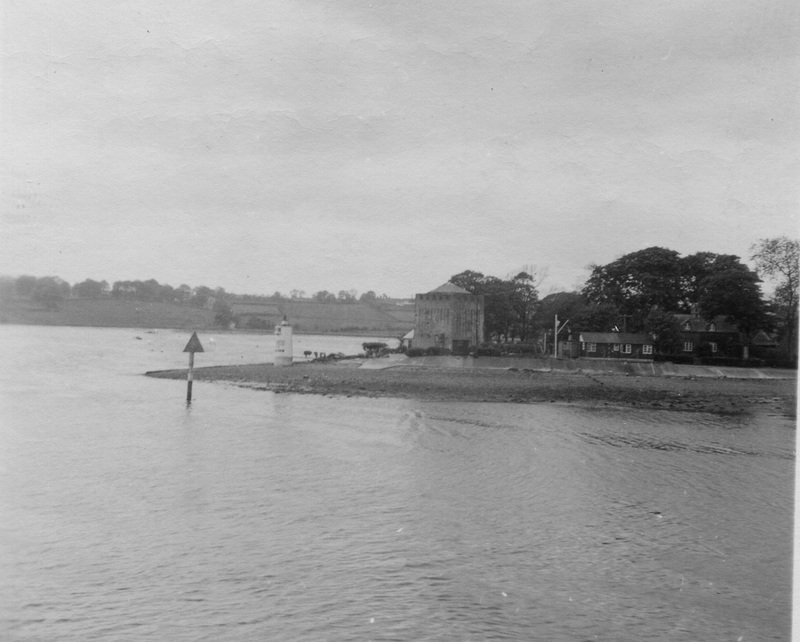 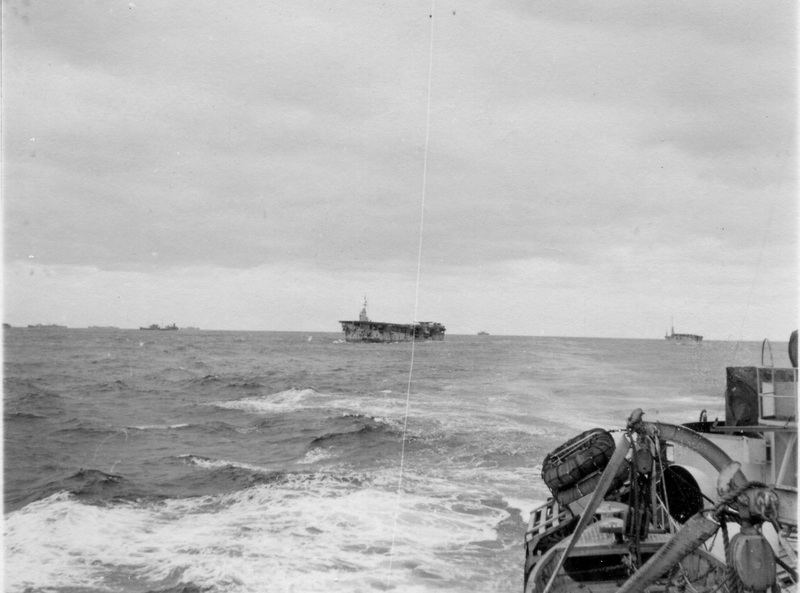 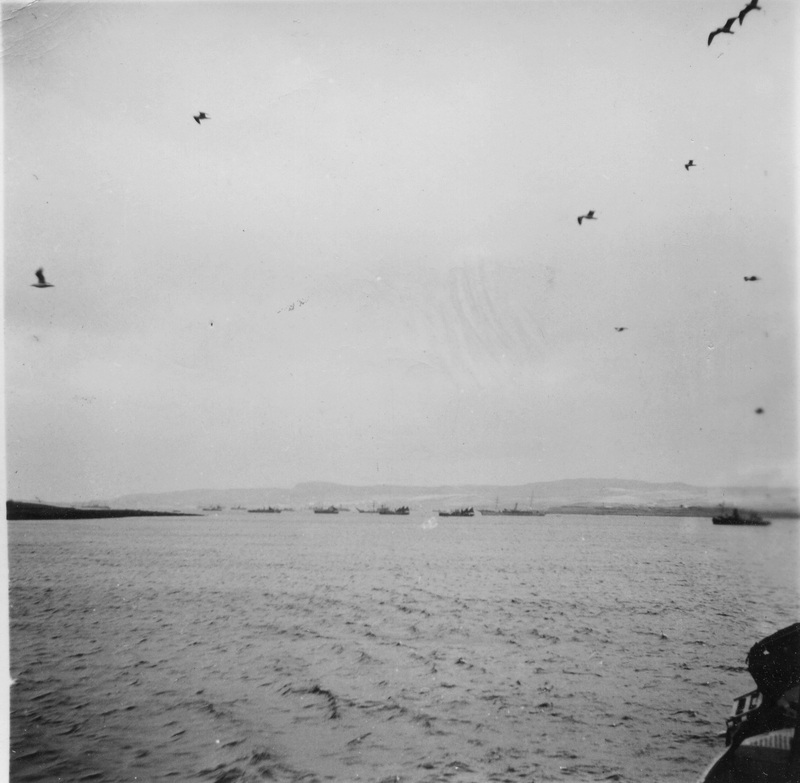 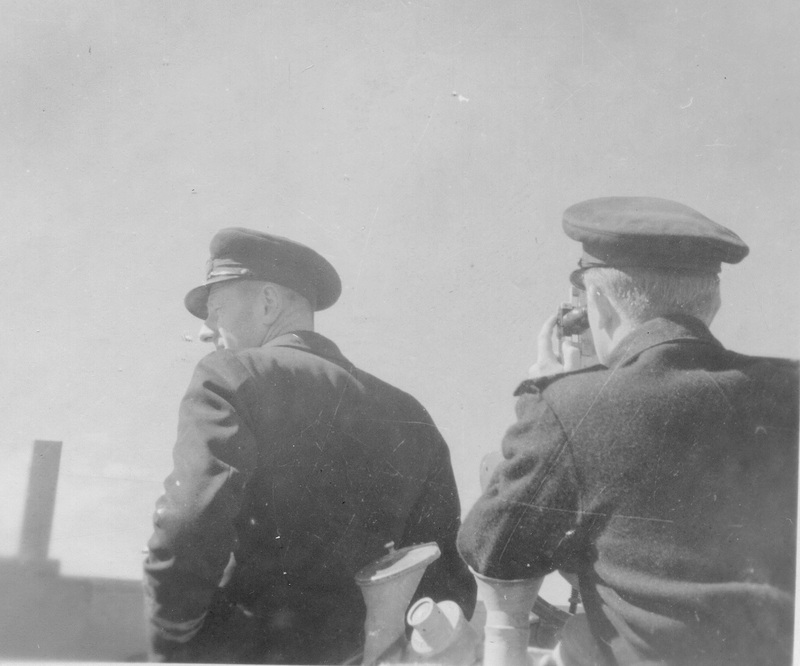 These photos were labeled May 1944 with no indication of which convoy. 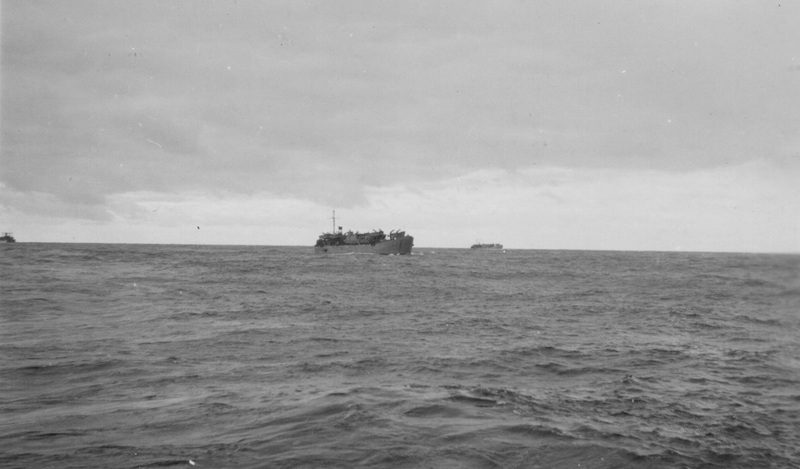  As both convoys were at sea during some point in May 1944, they could be from either convoy.